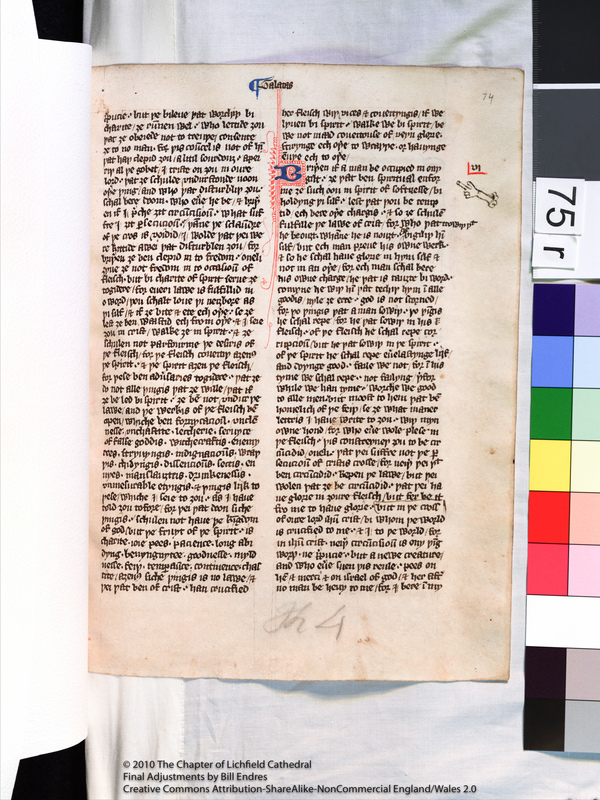 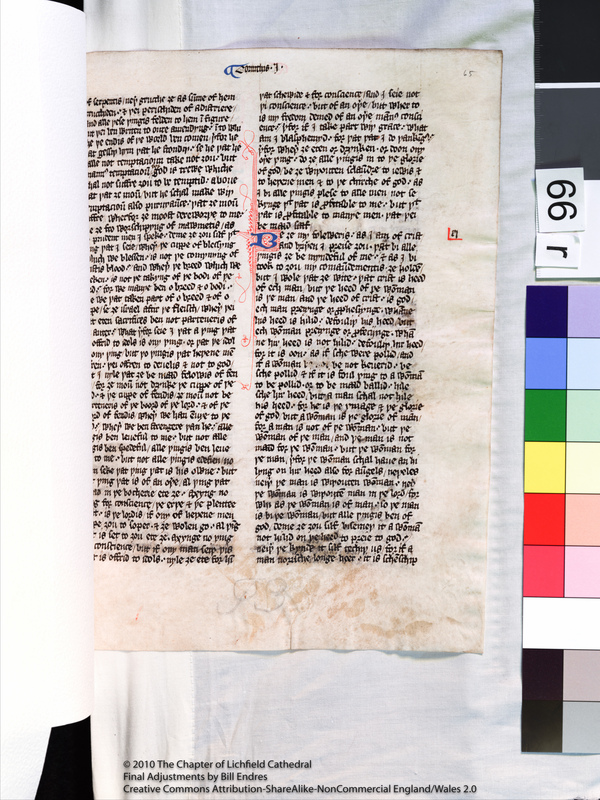 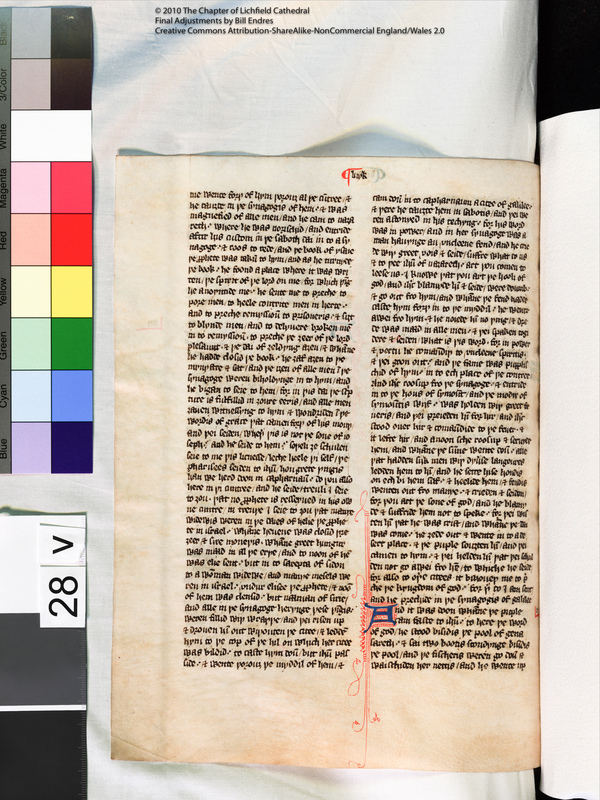 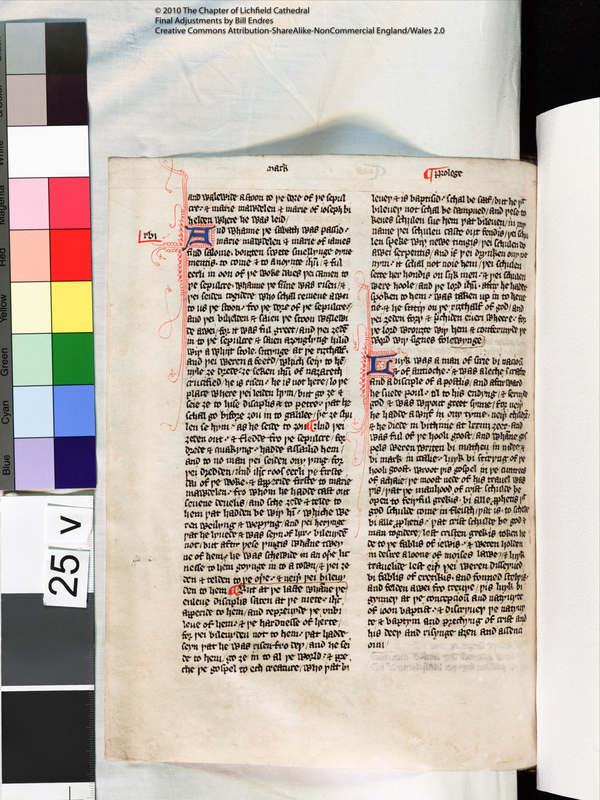 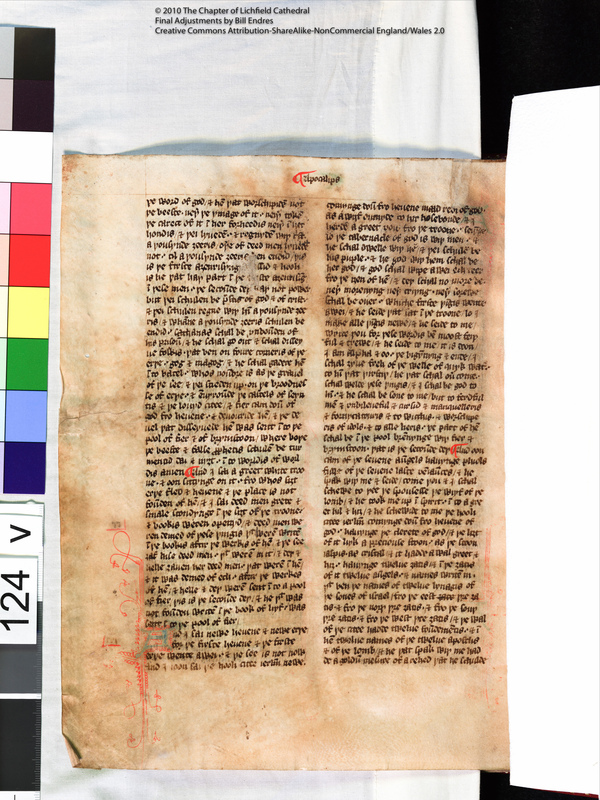 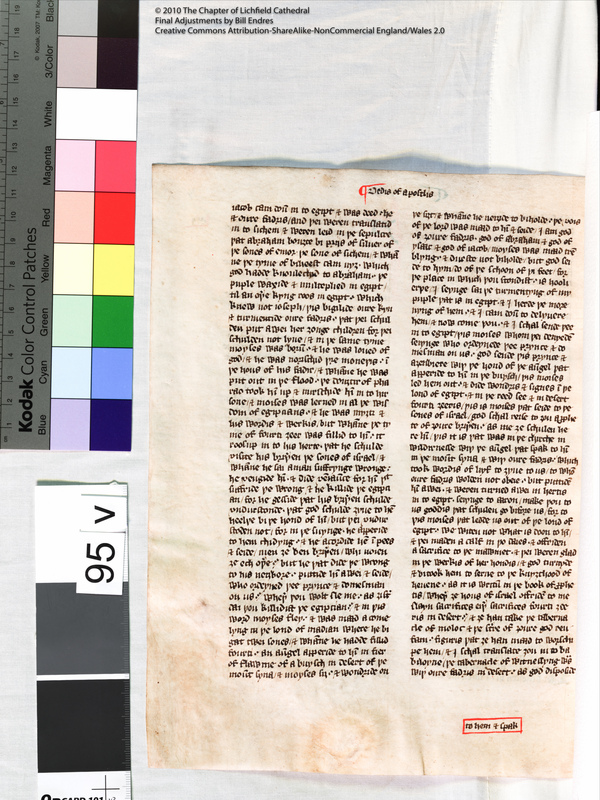 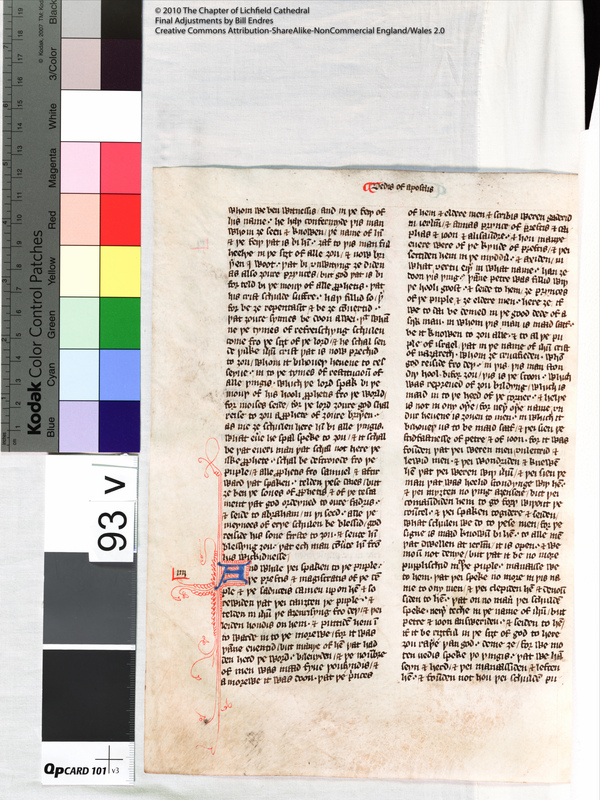 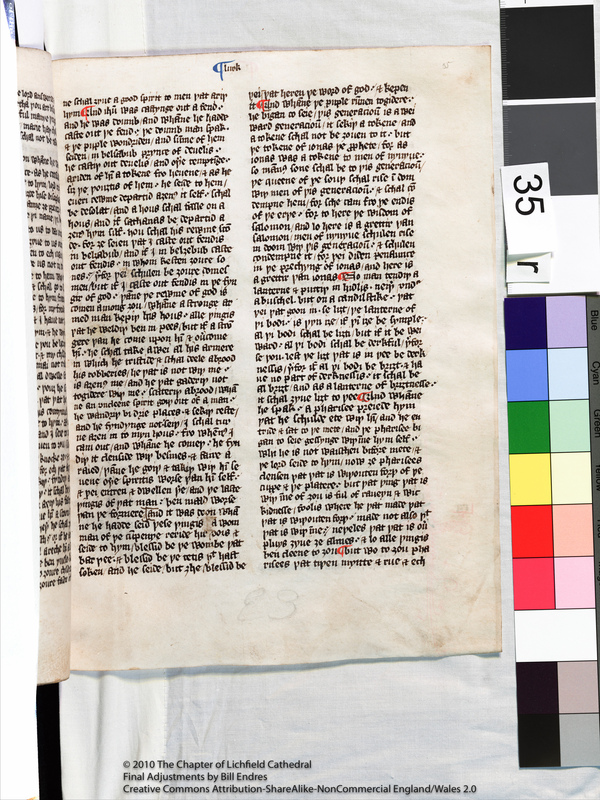 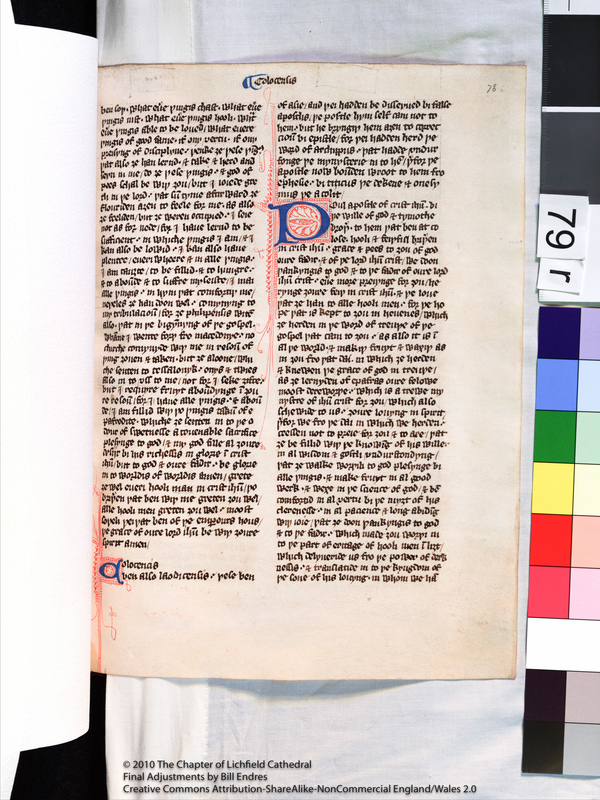 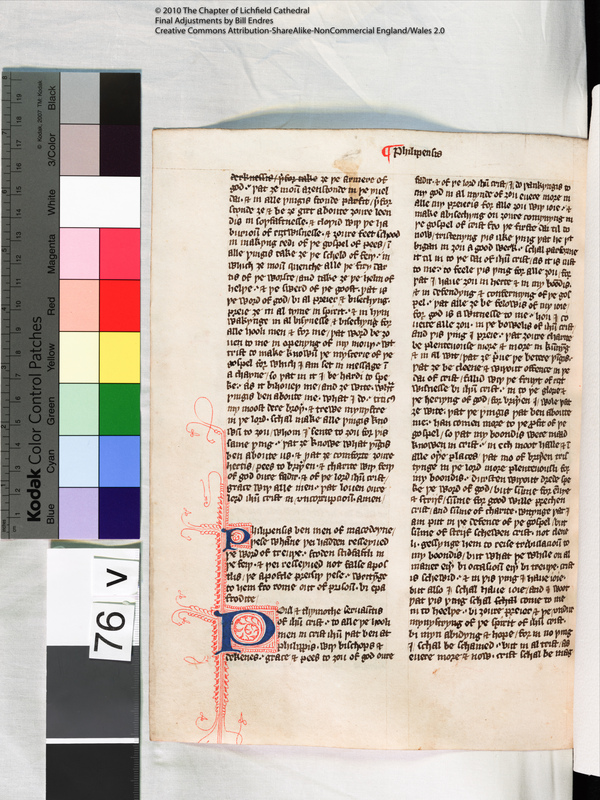 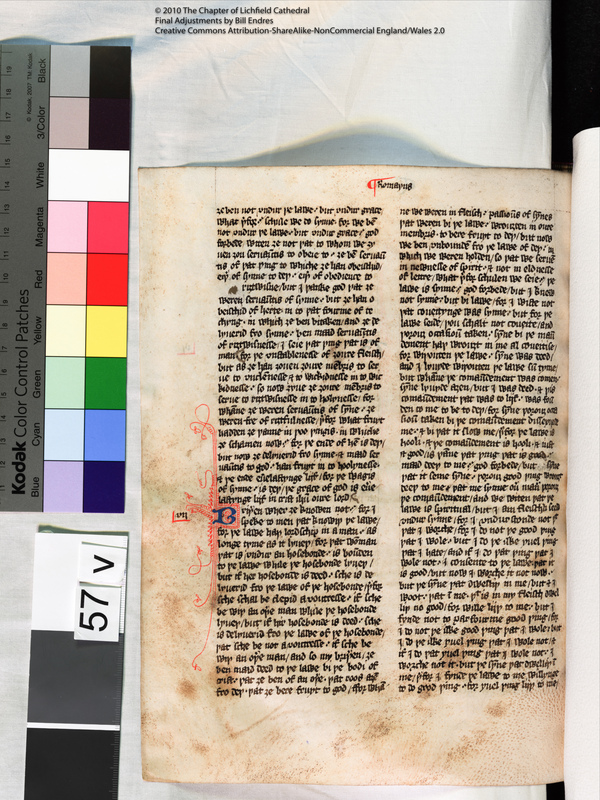 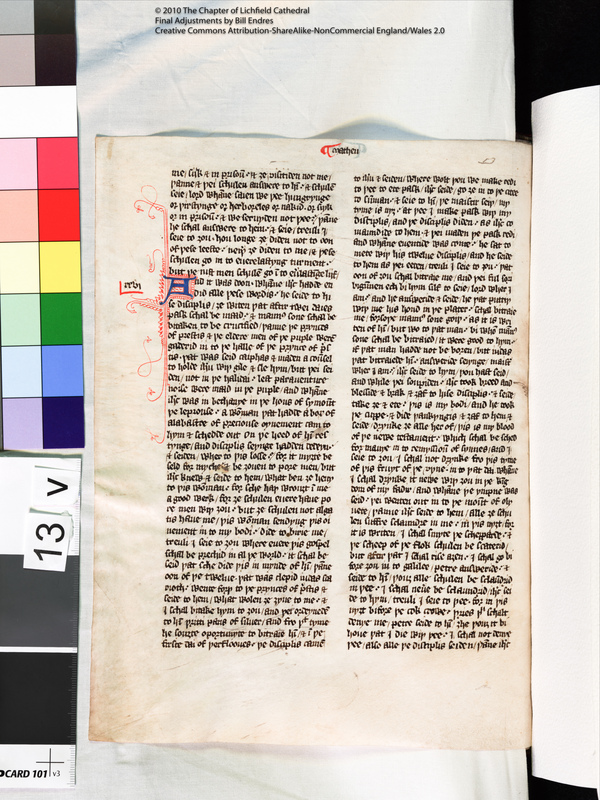 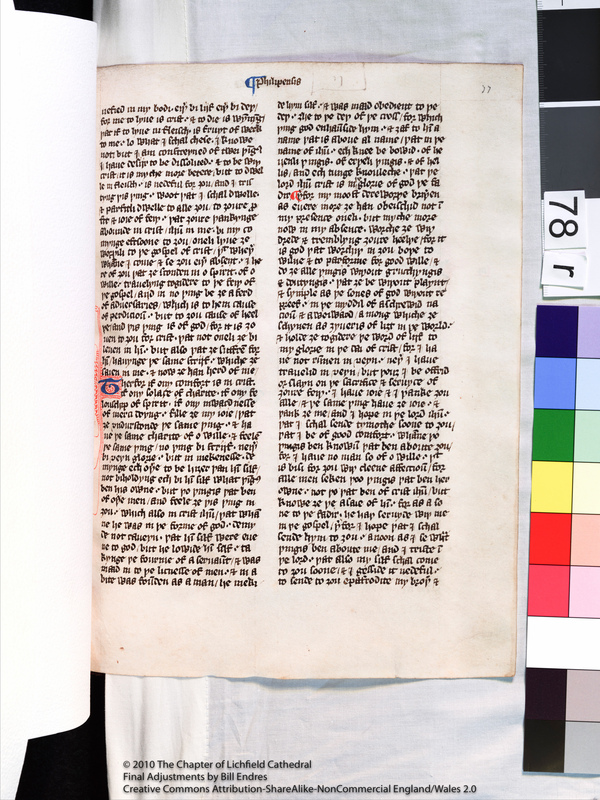 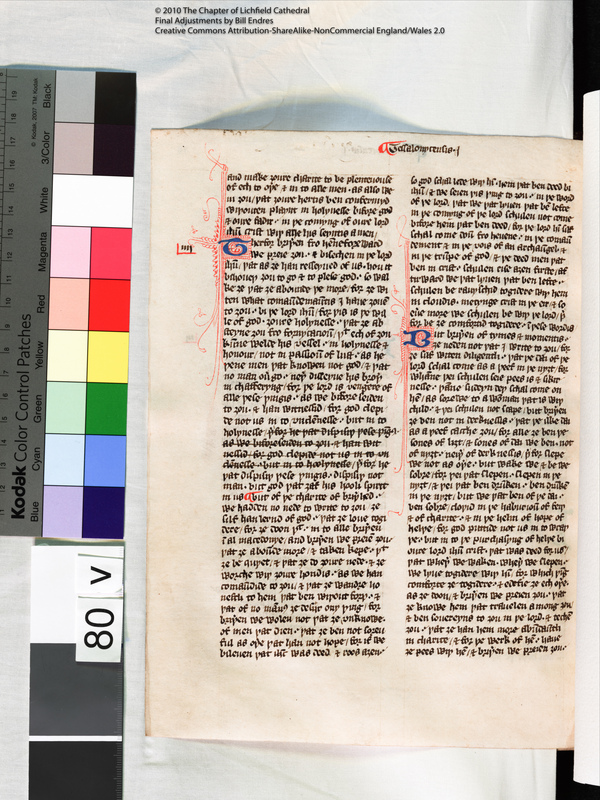 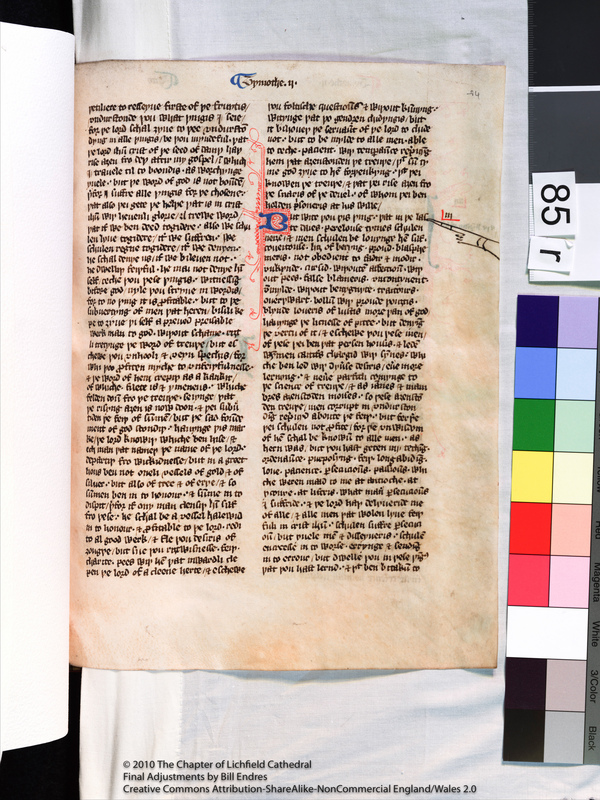 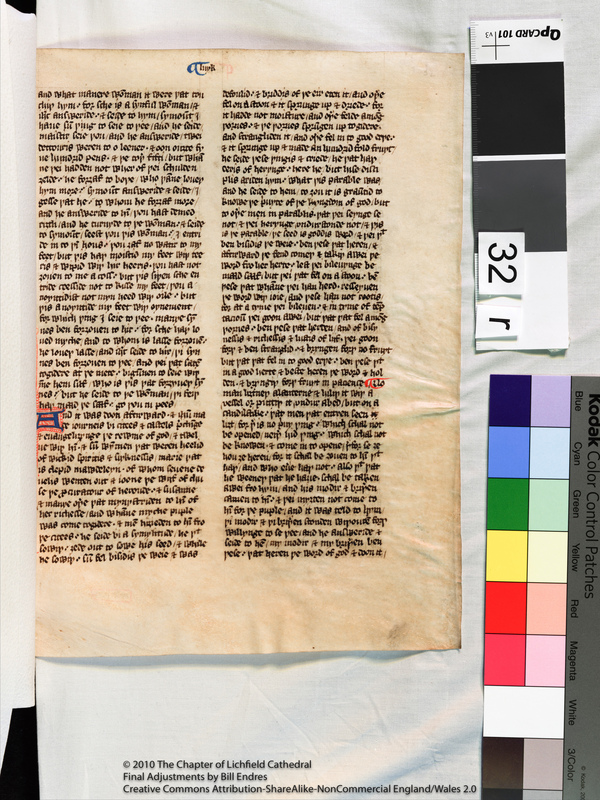 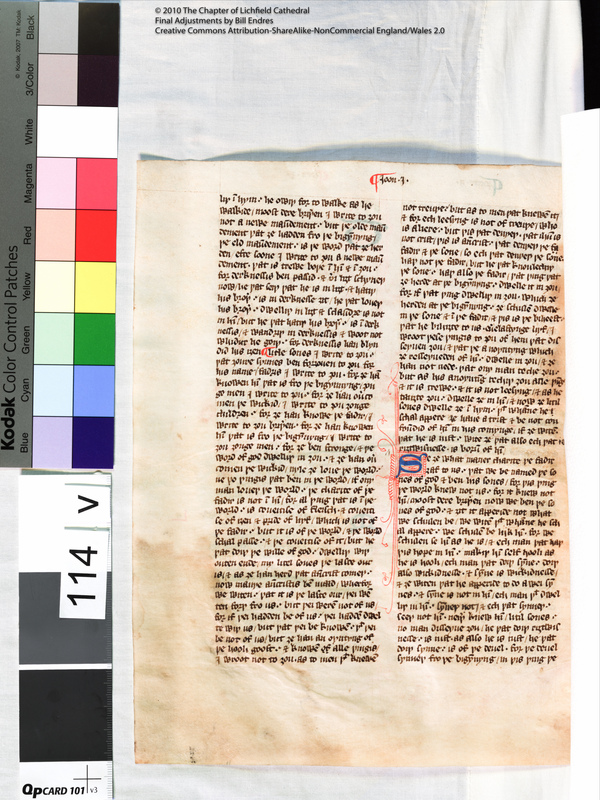 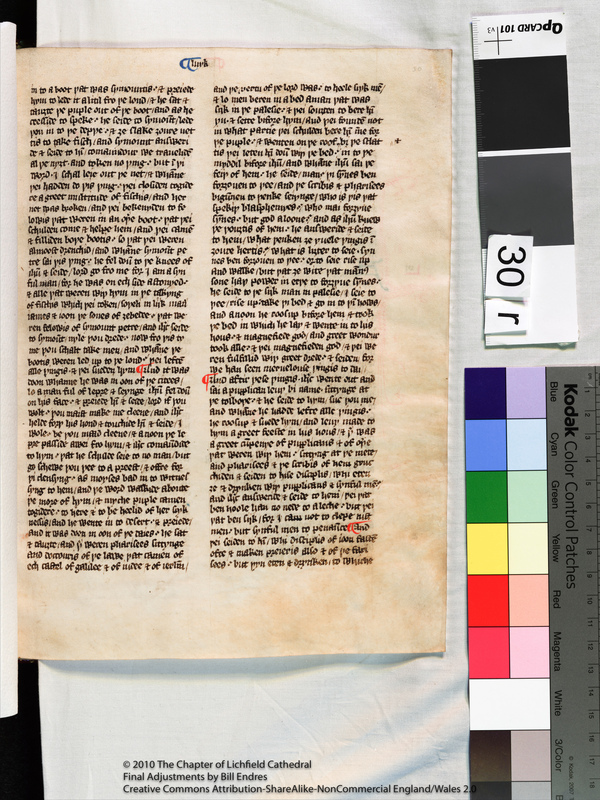 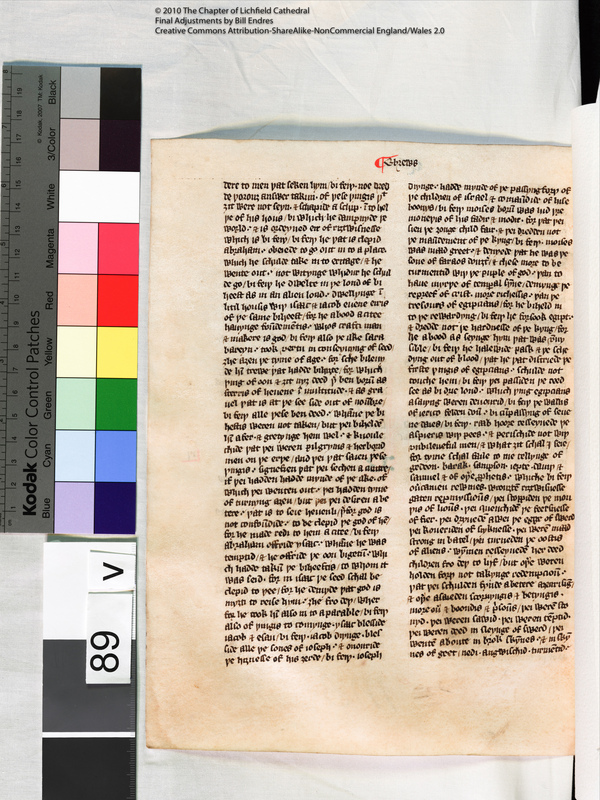 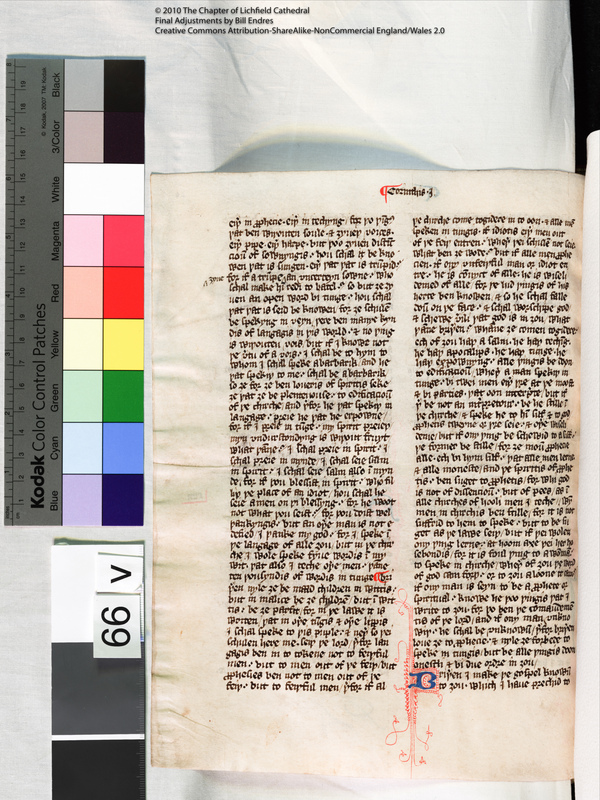 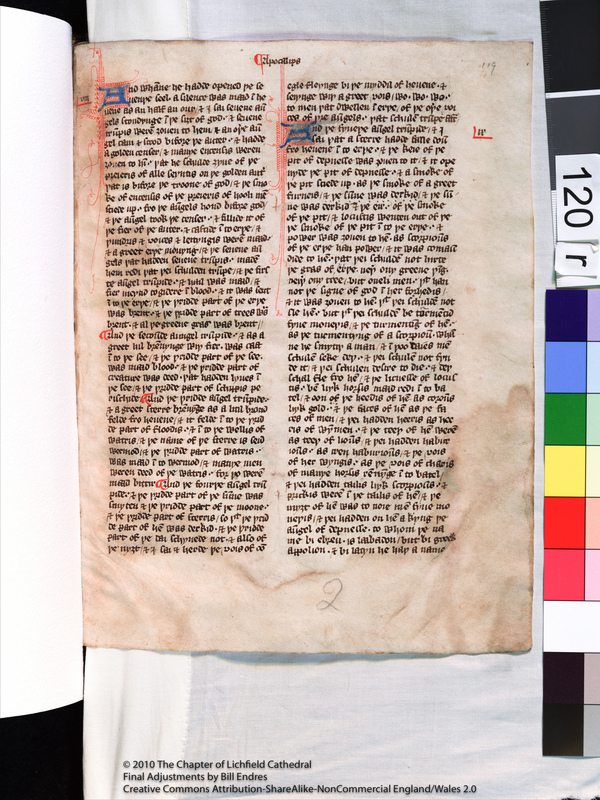 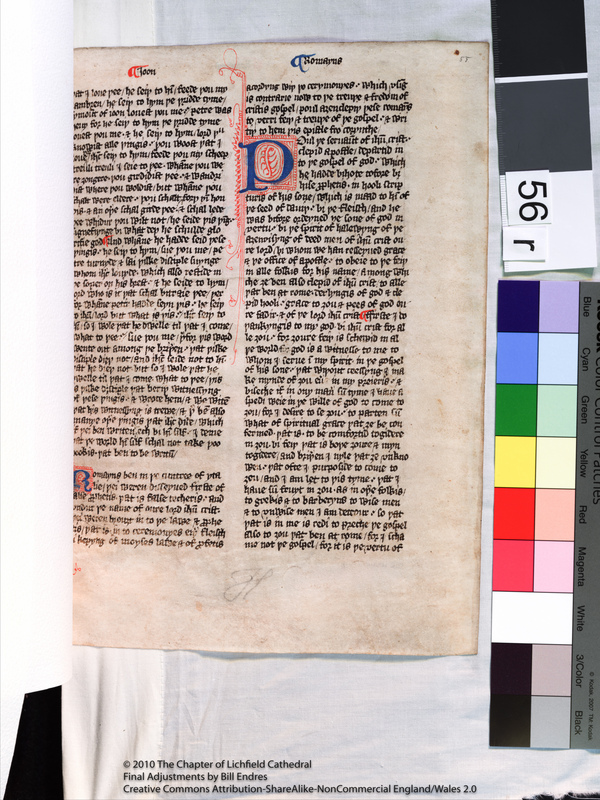 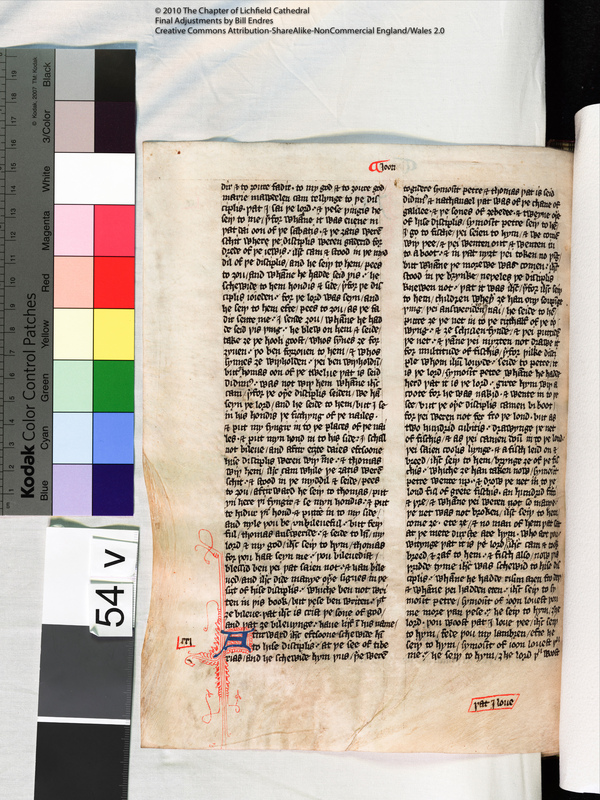 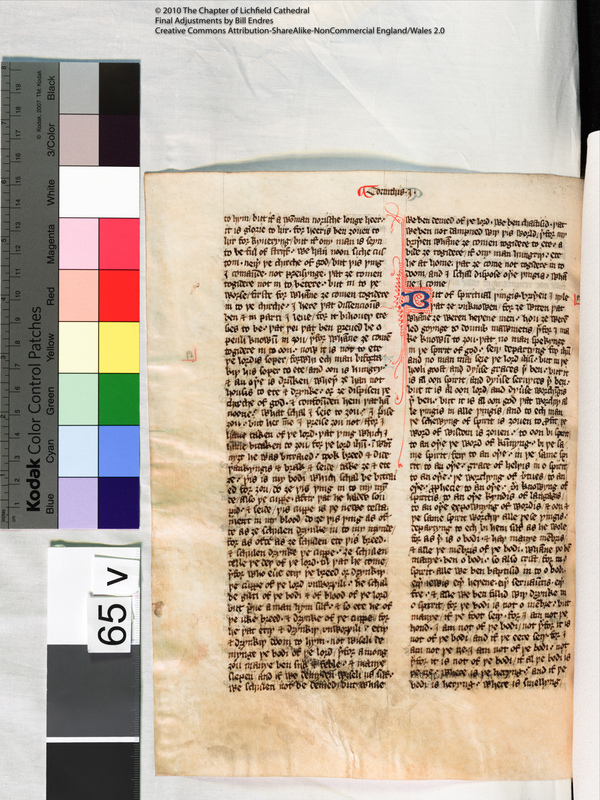 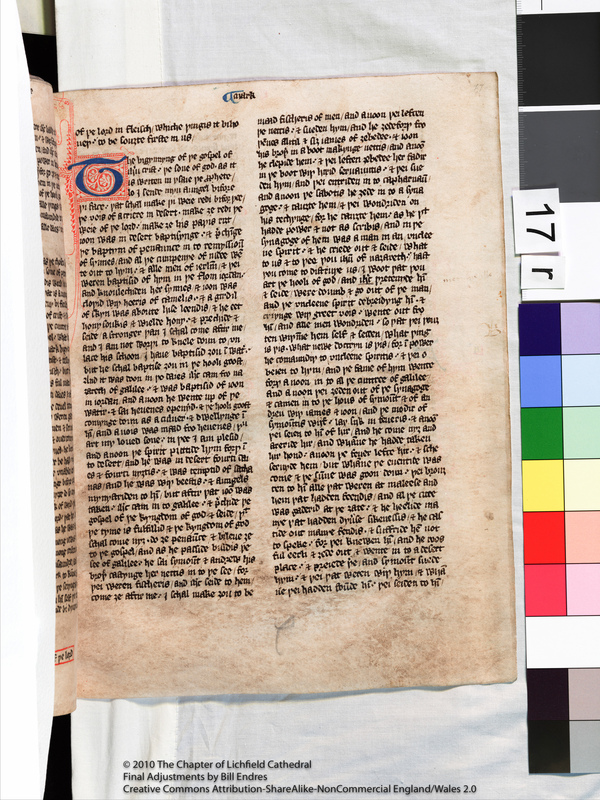 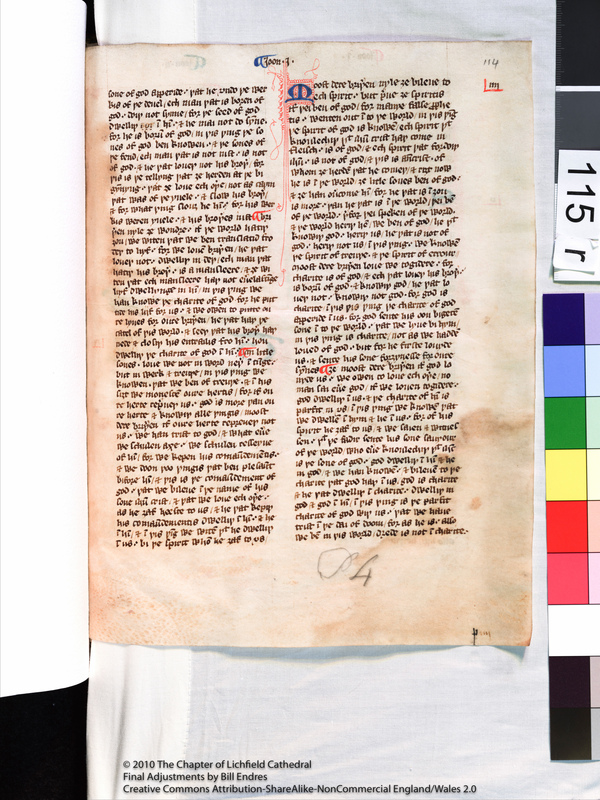 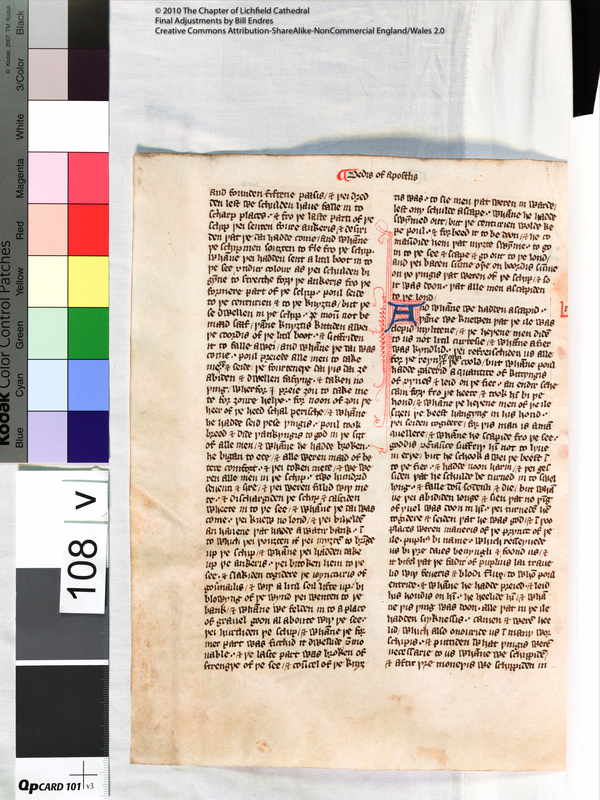 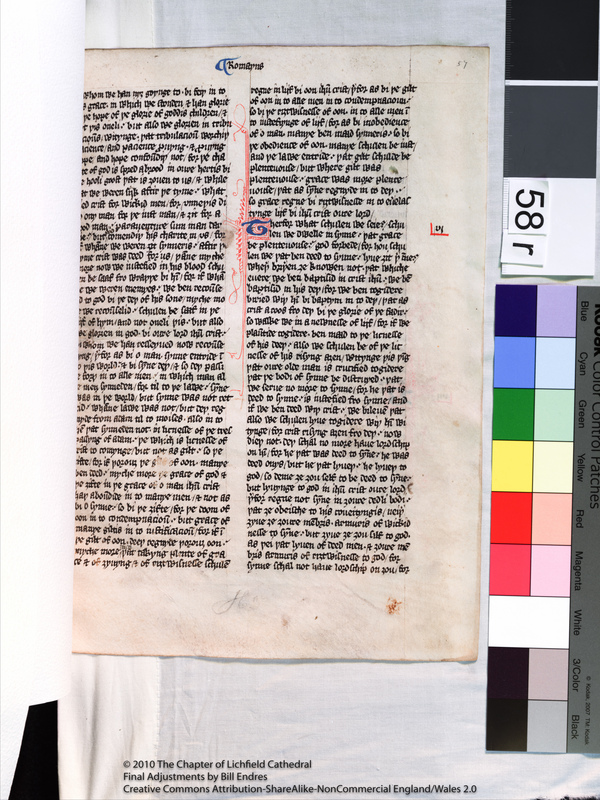 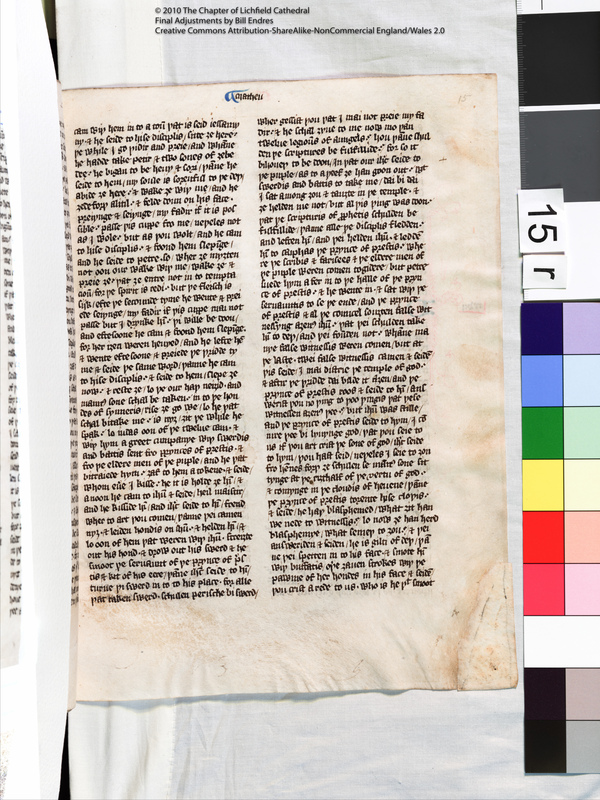 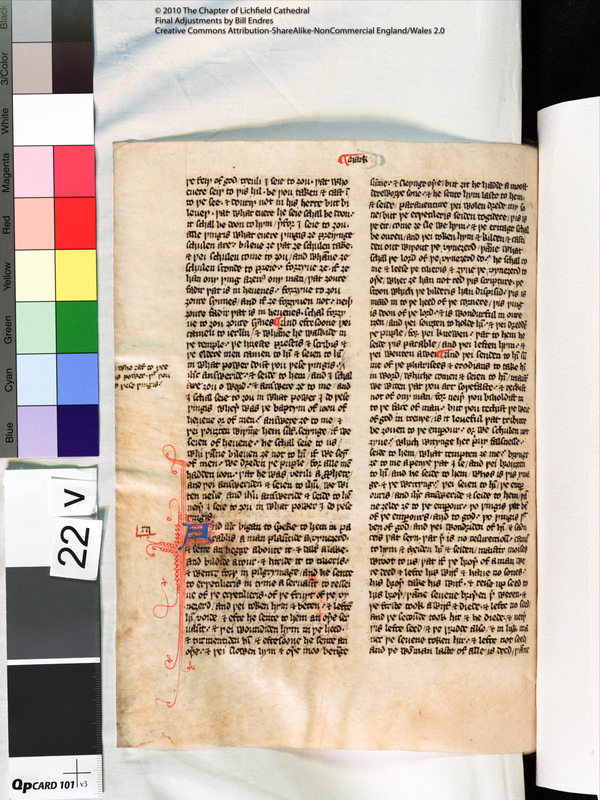 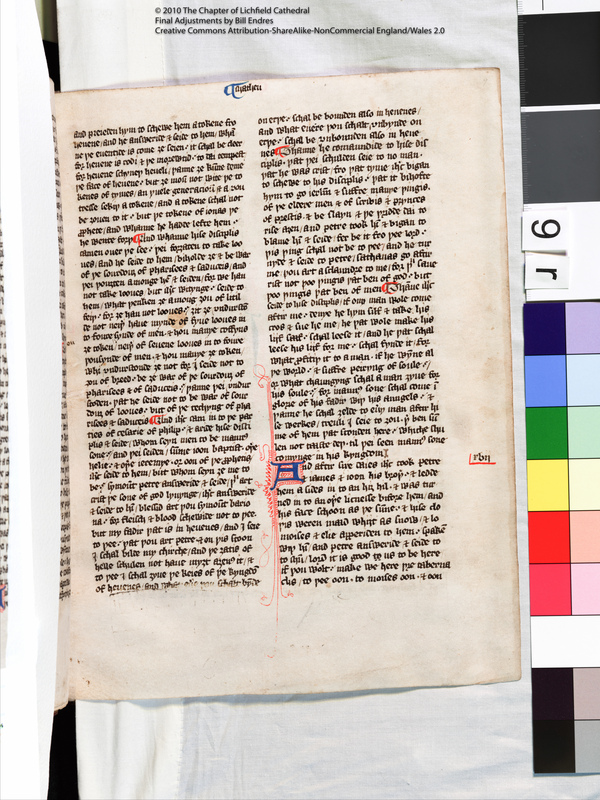 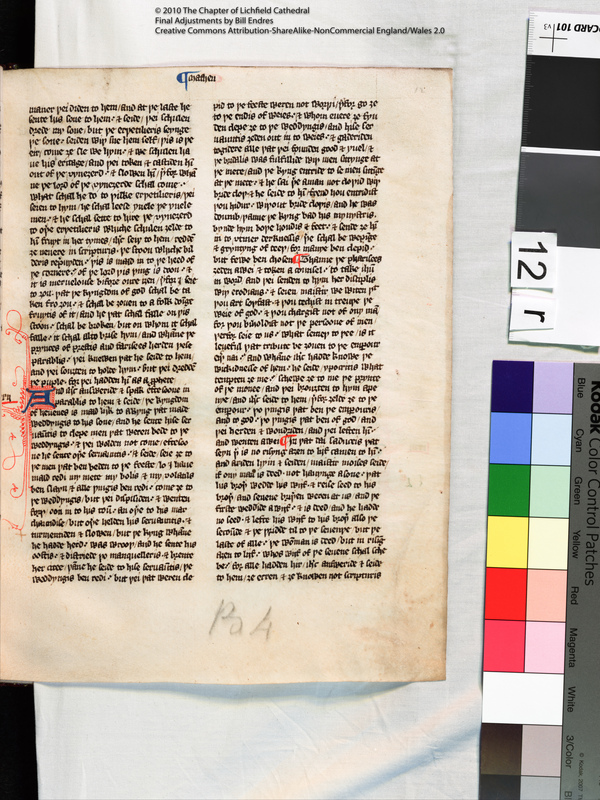 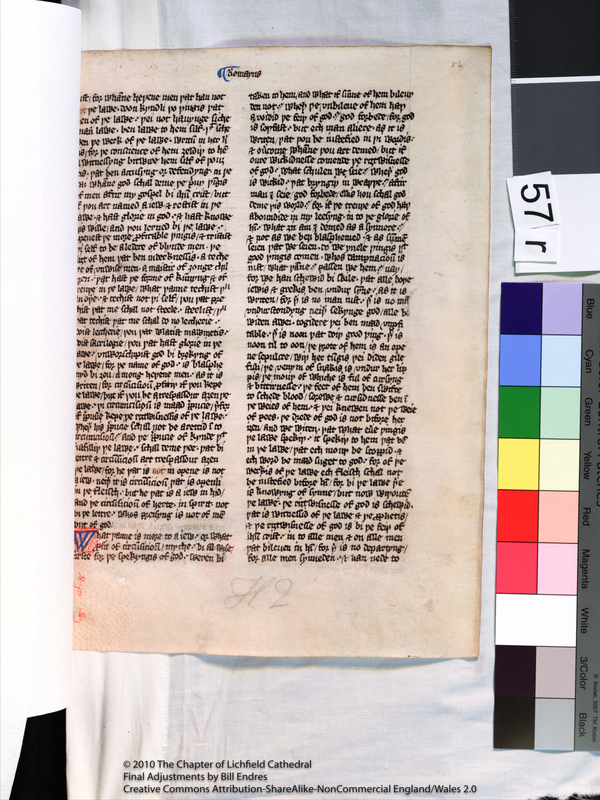 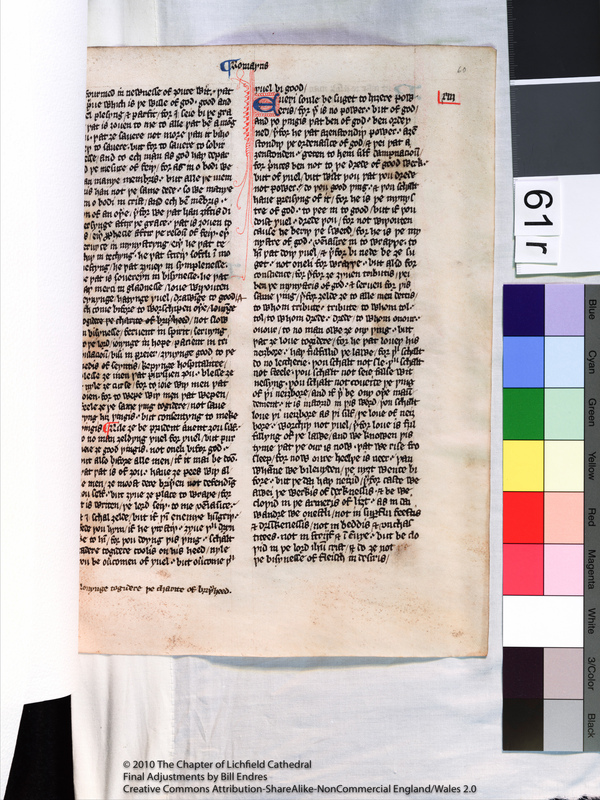 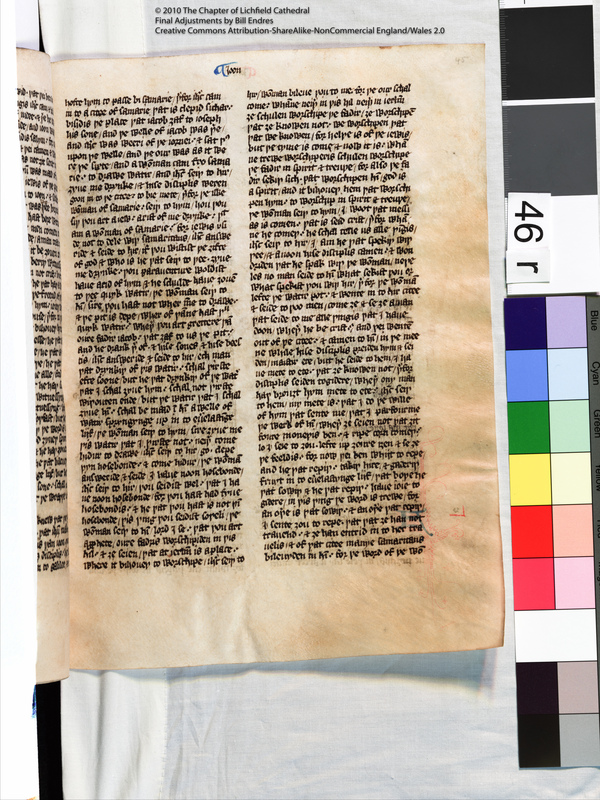 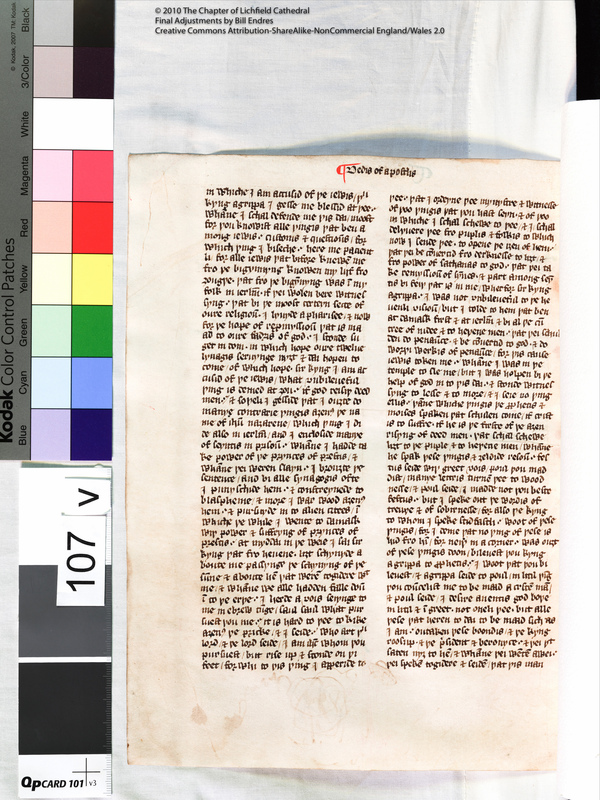 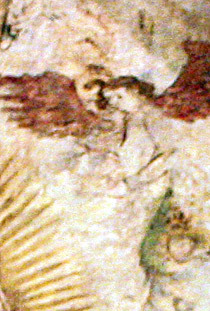 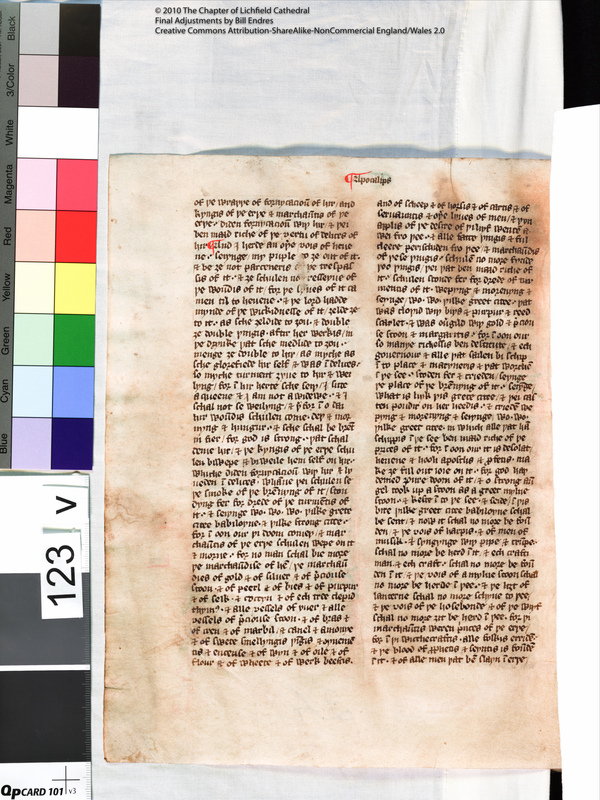 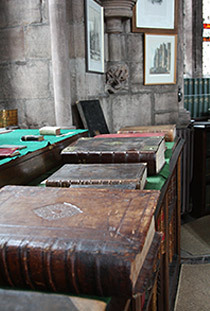 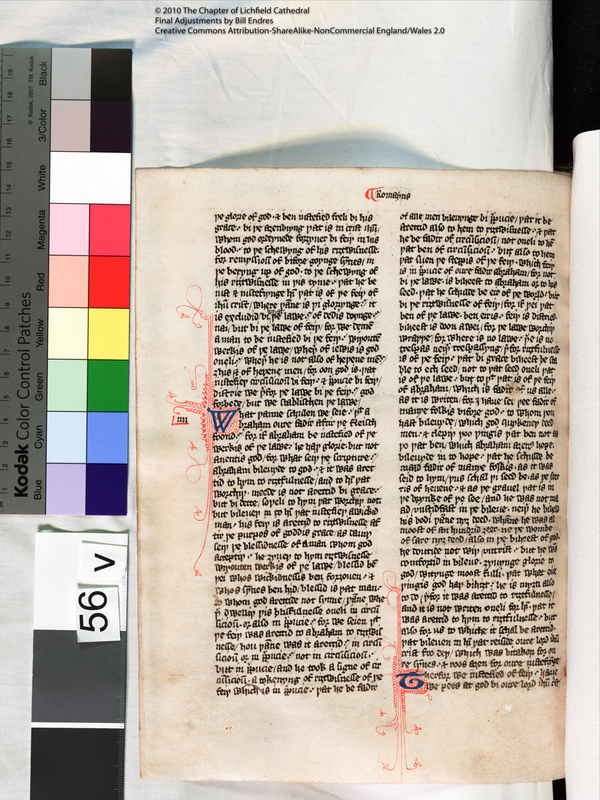 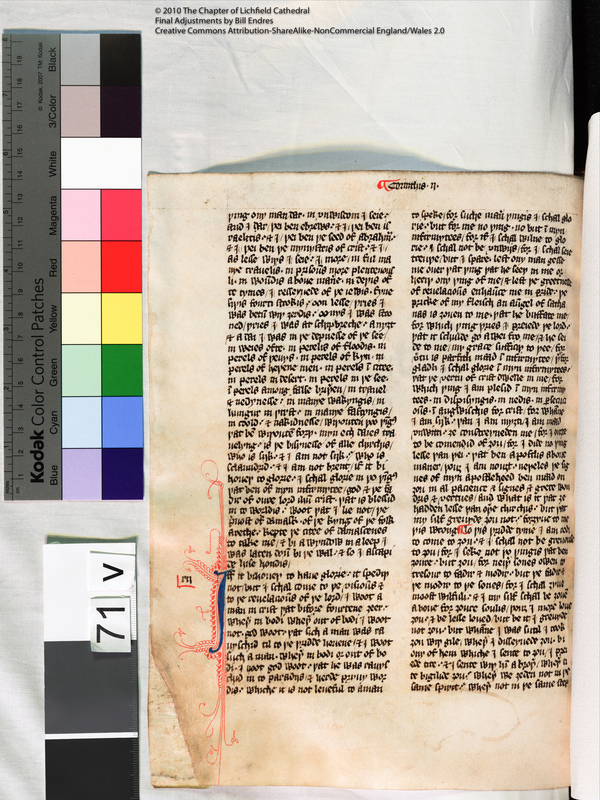 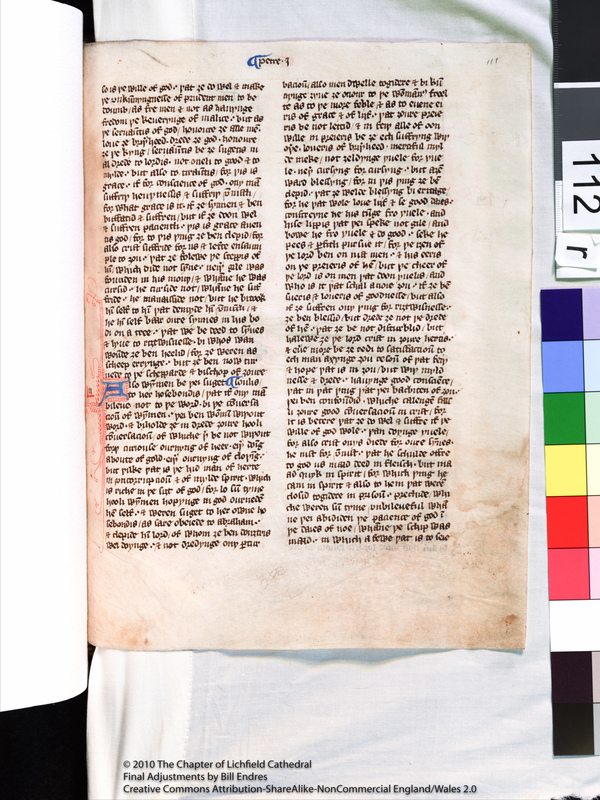 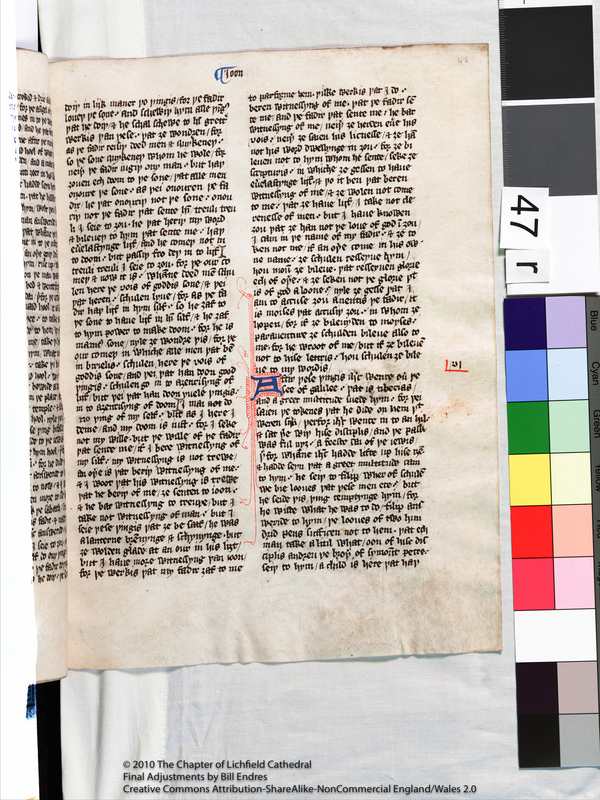 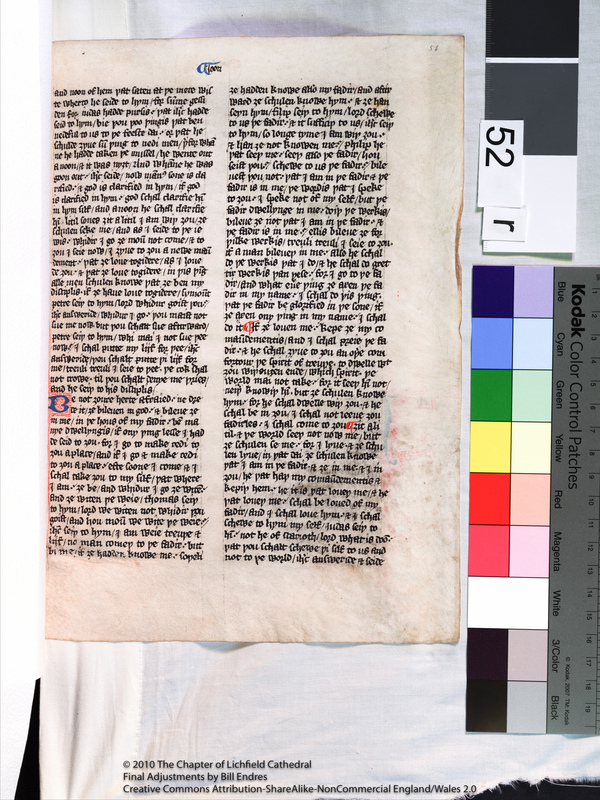 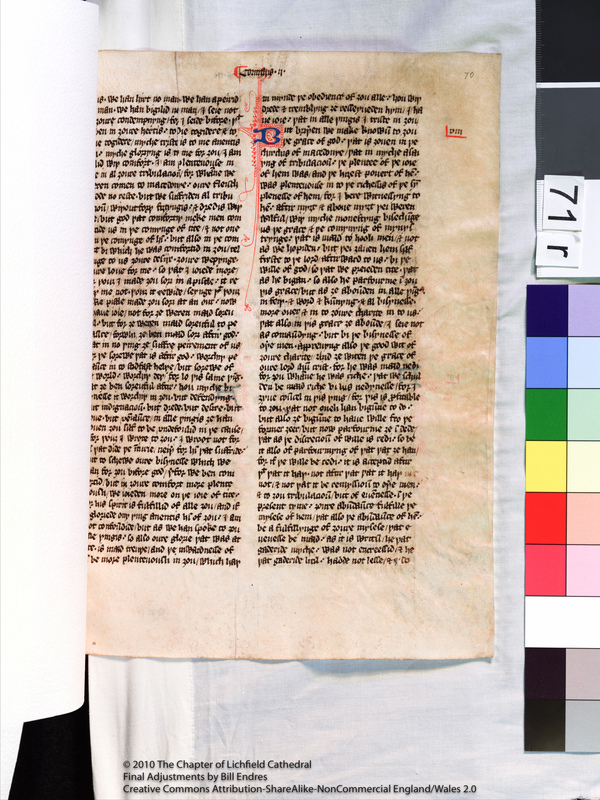 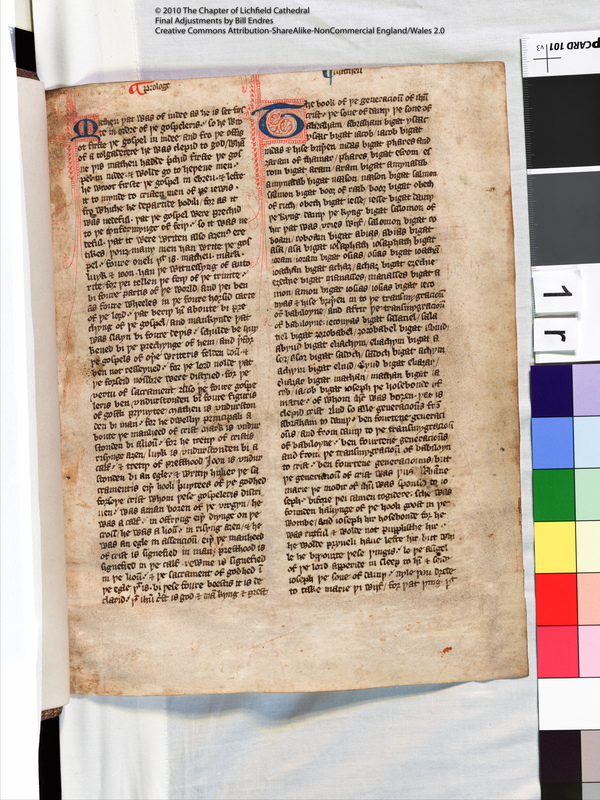 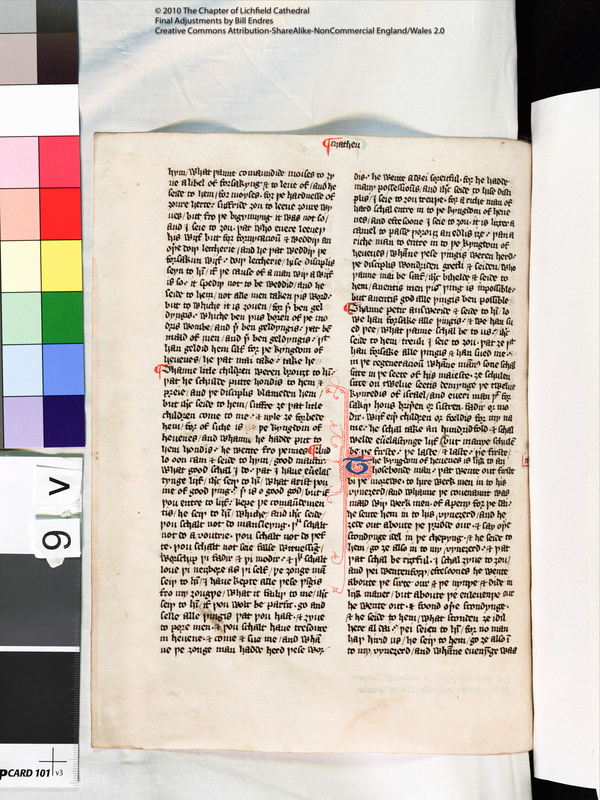 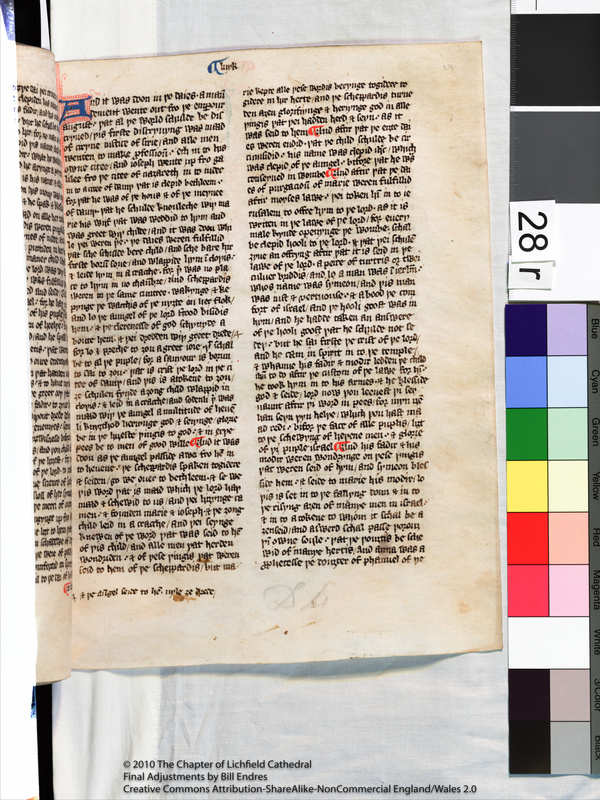 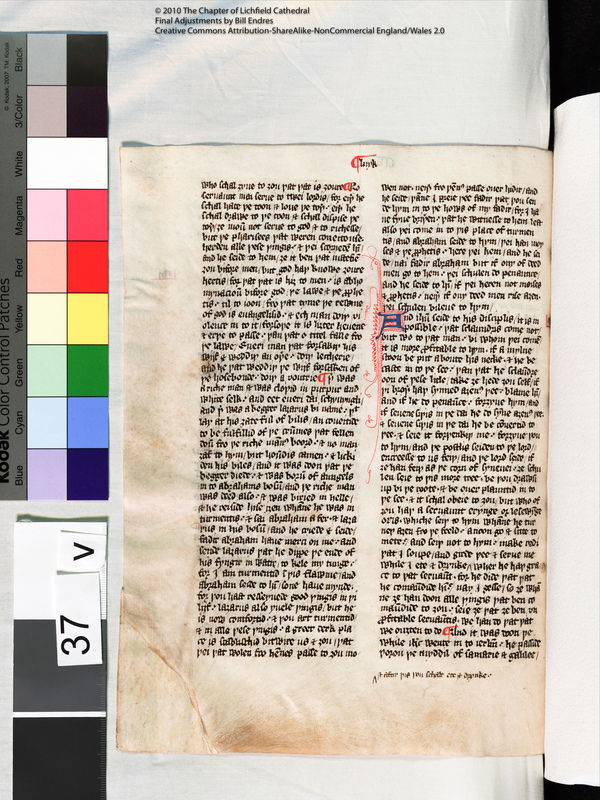 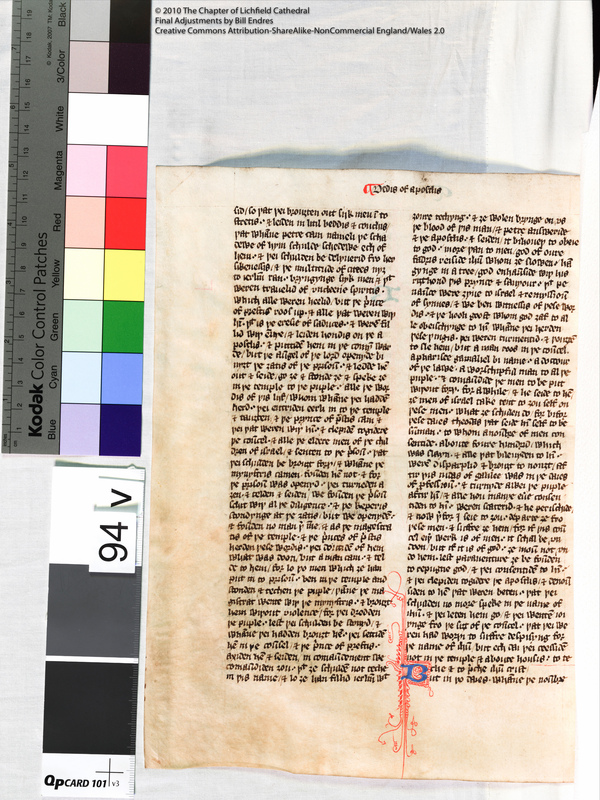 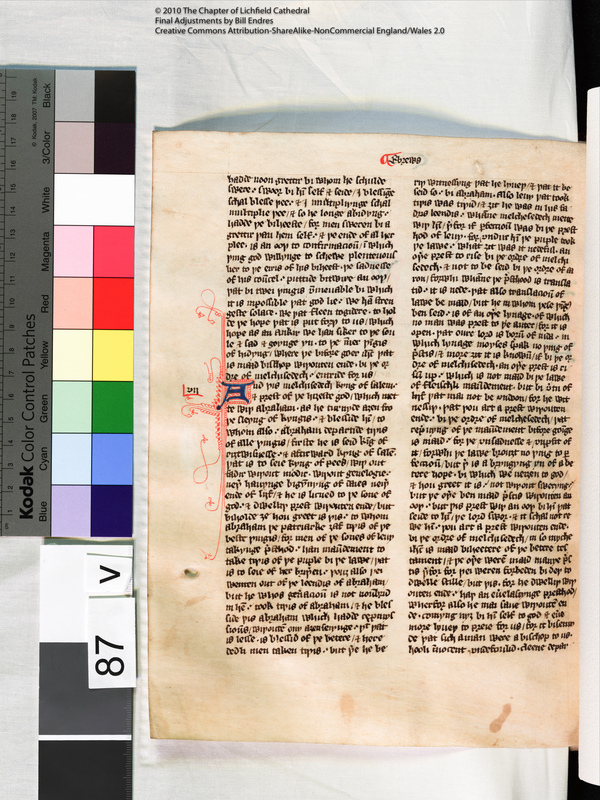 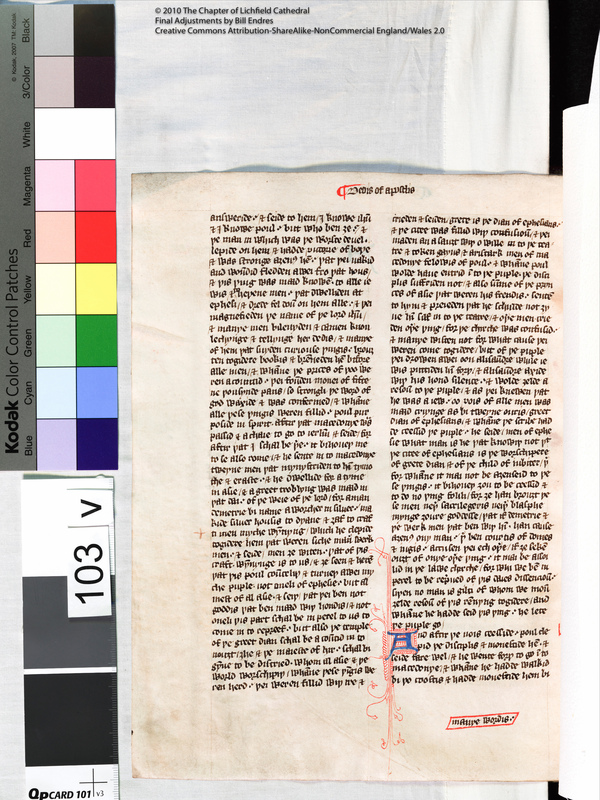 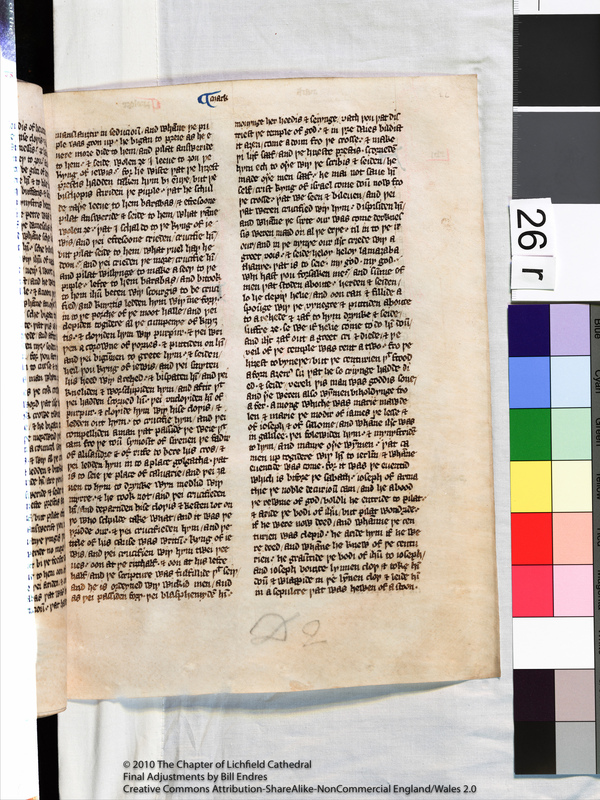 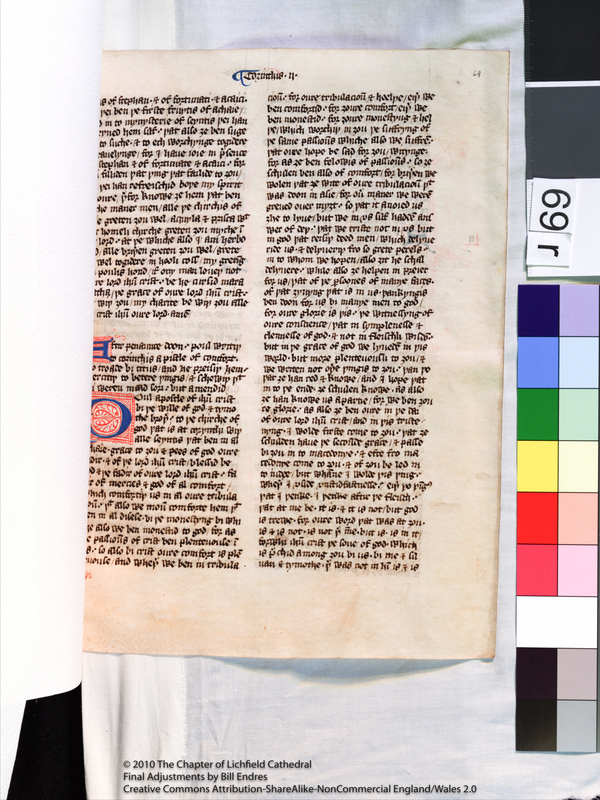 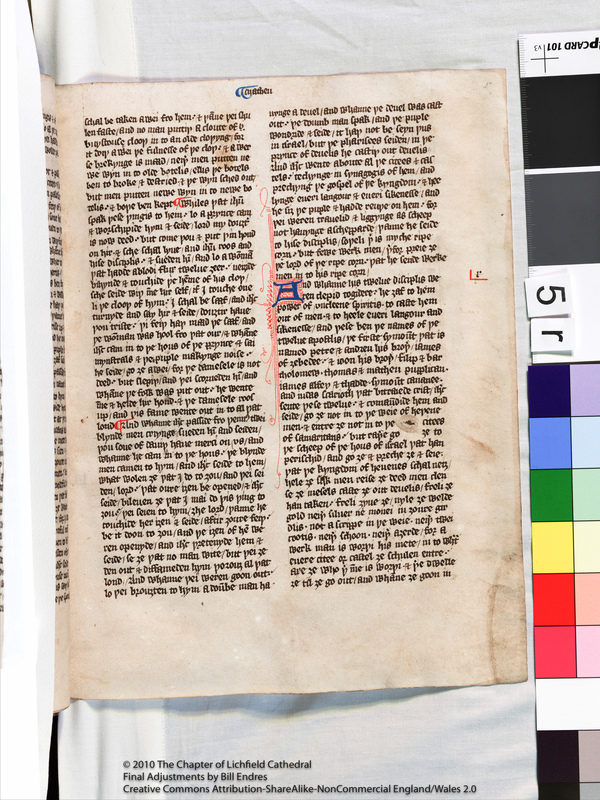 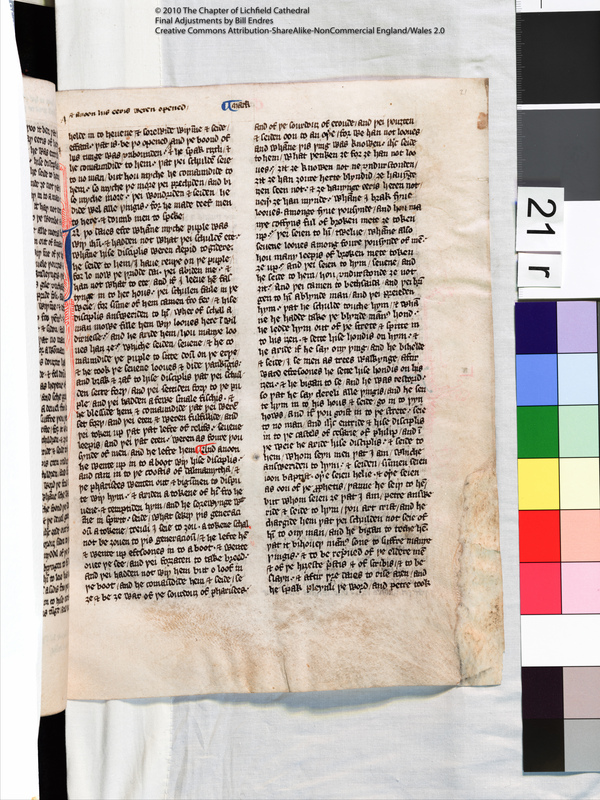 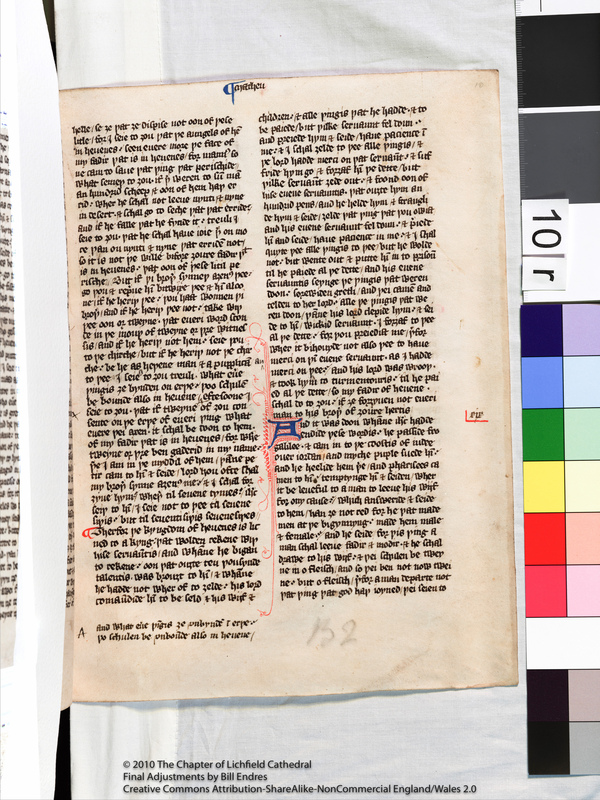 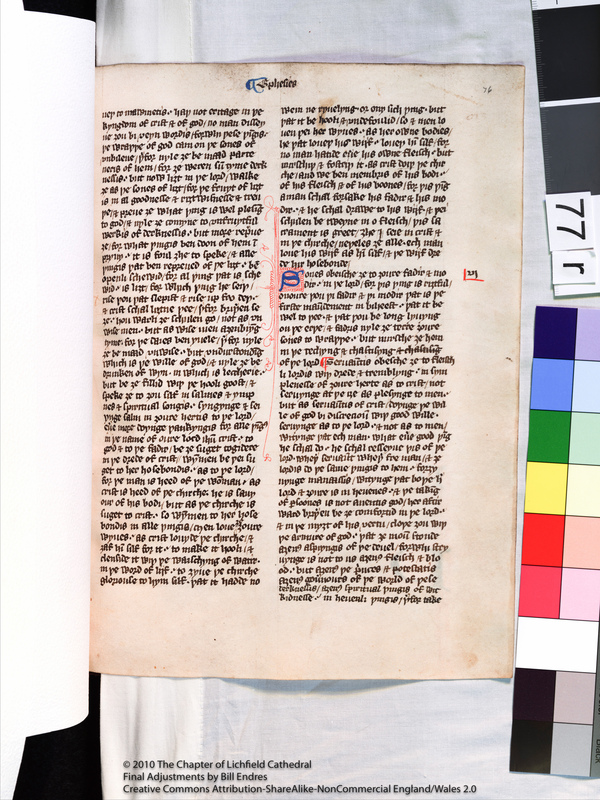 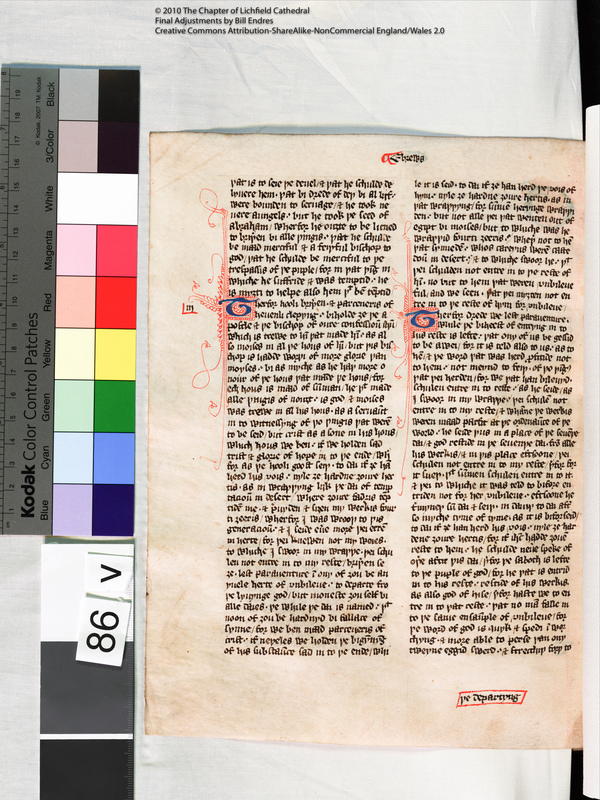 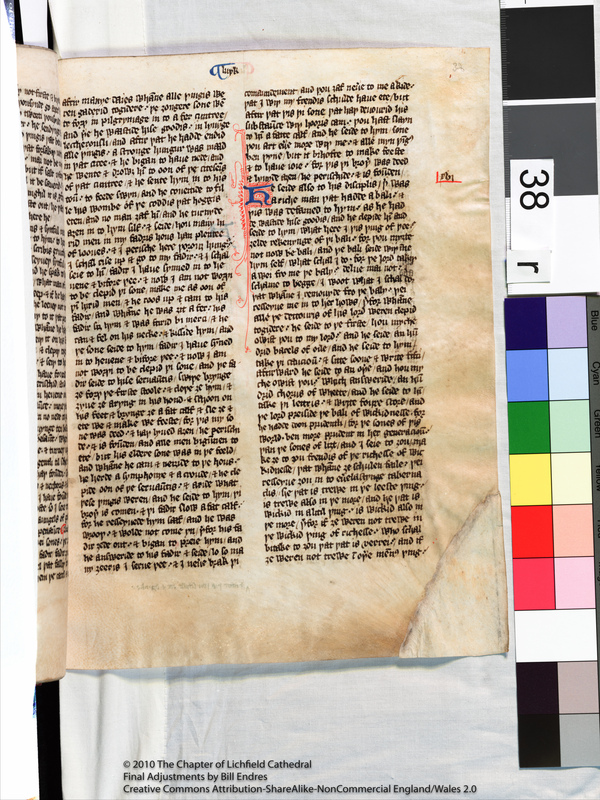 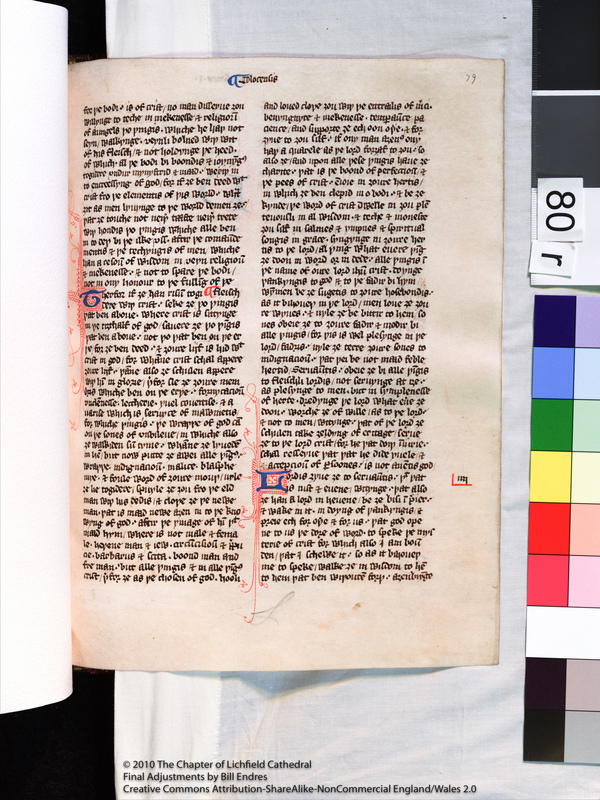 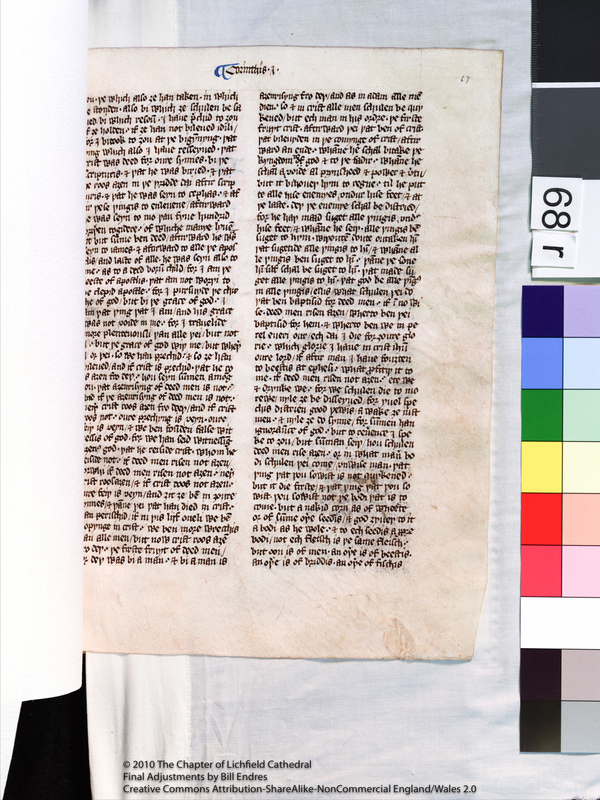 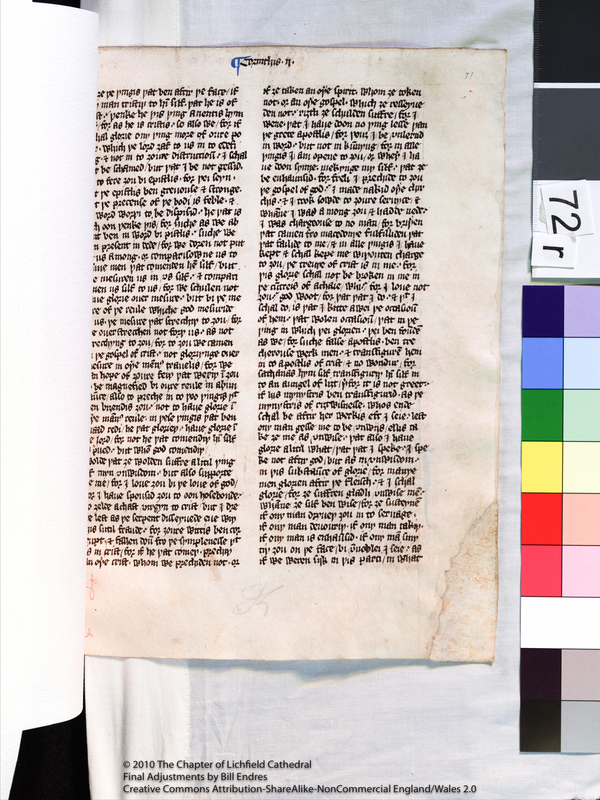 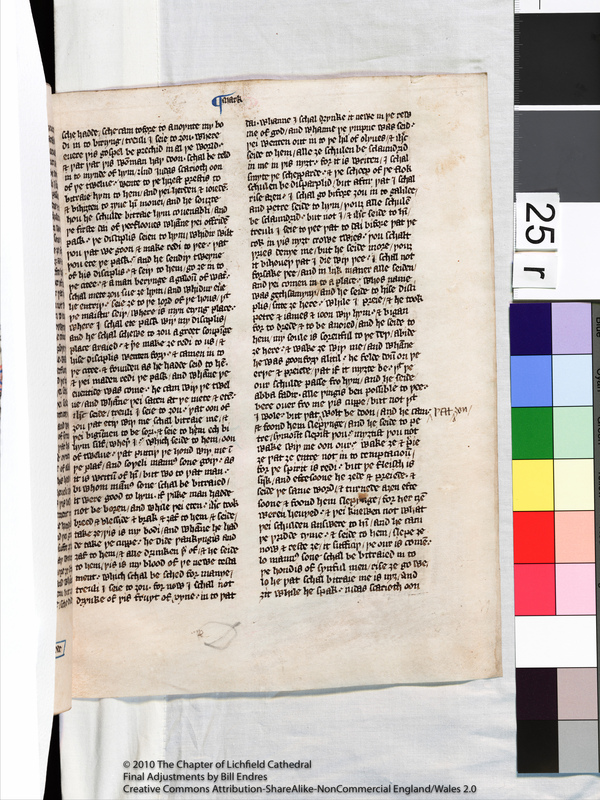 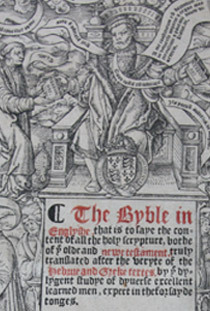 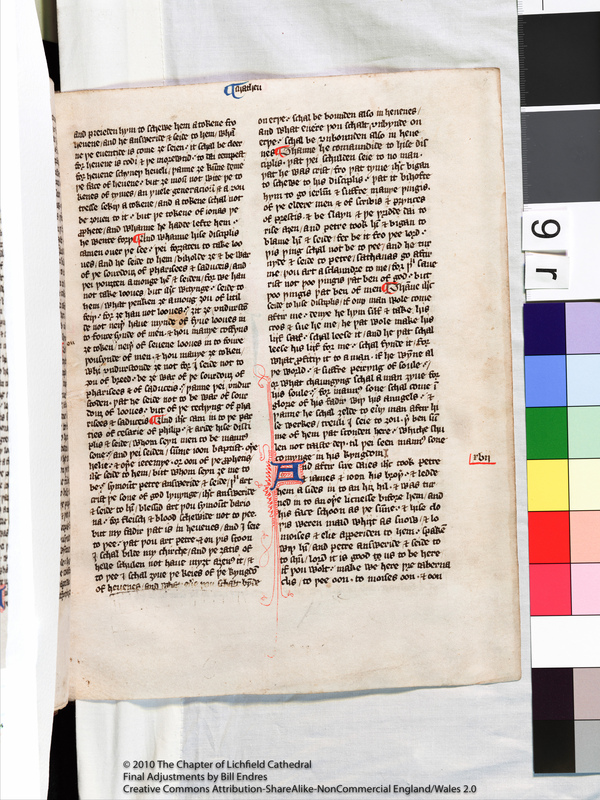 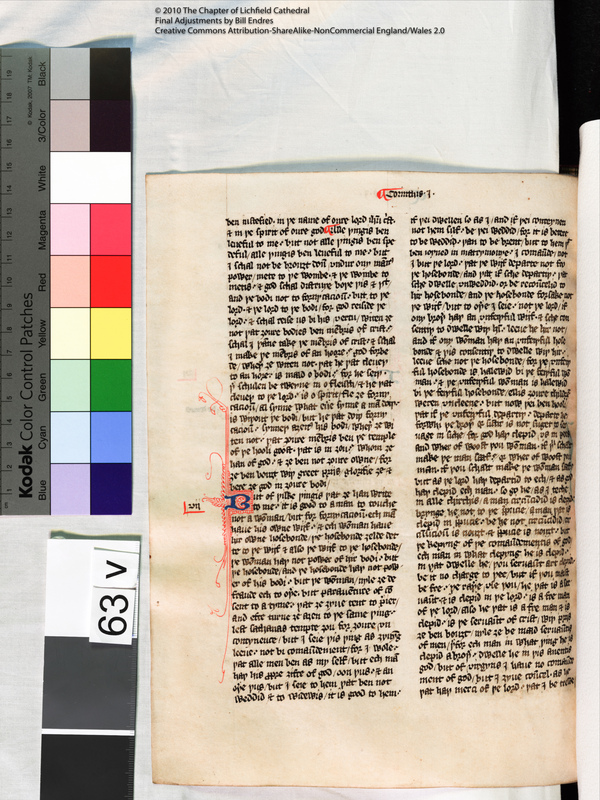 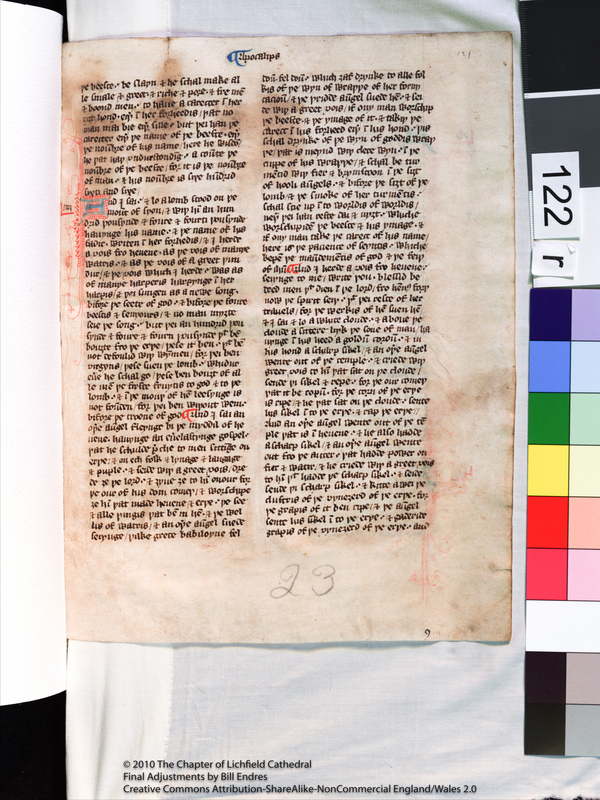 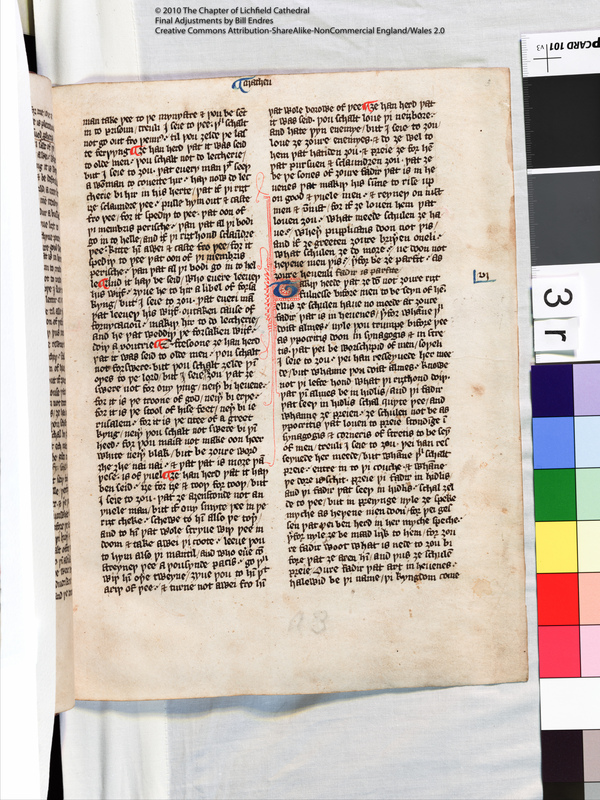 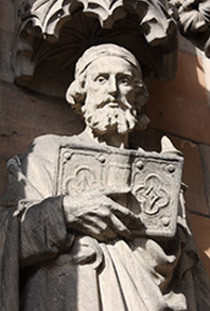 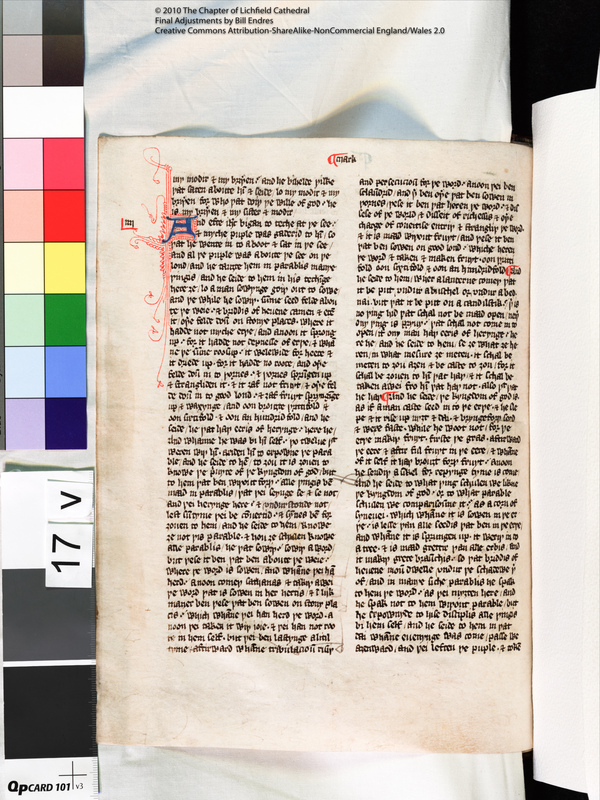 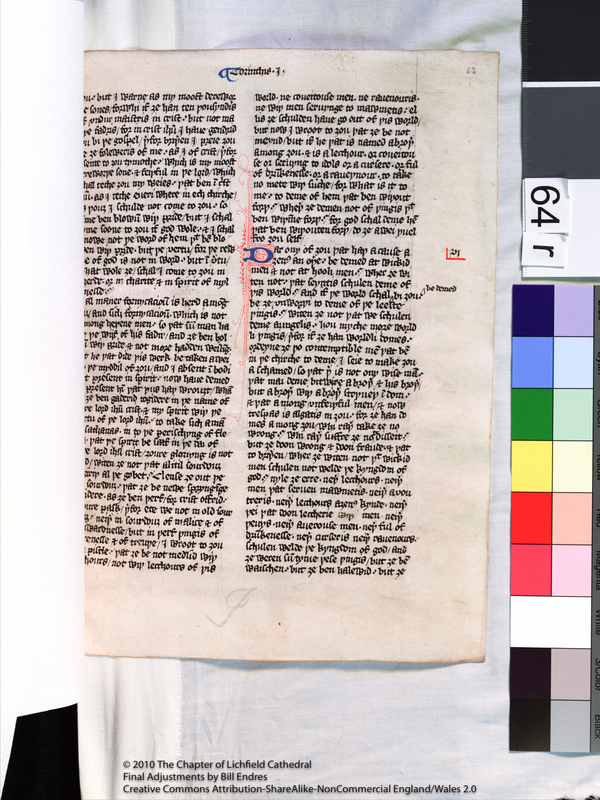 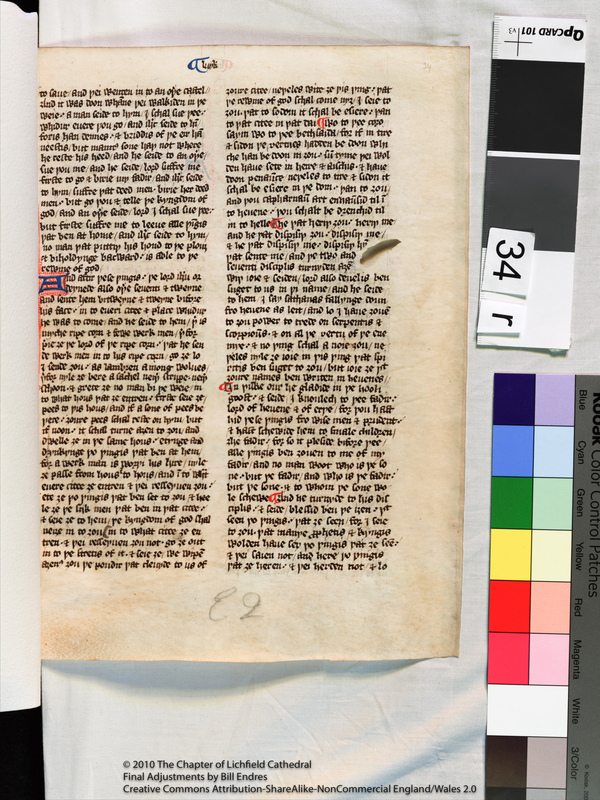 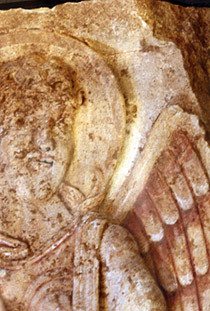 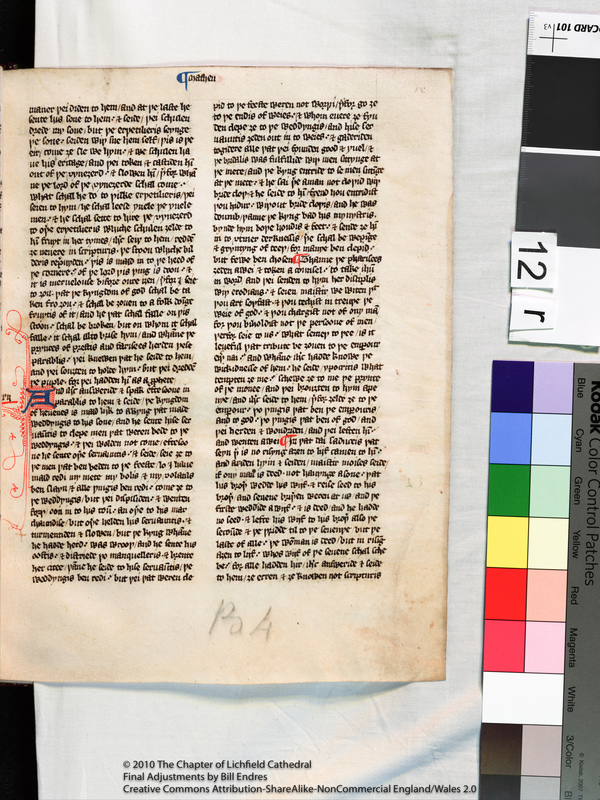 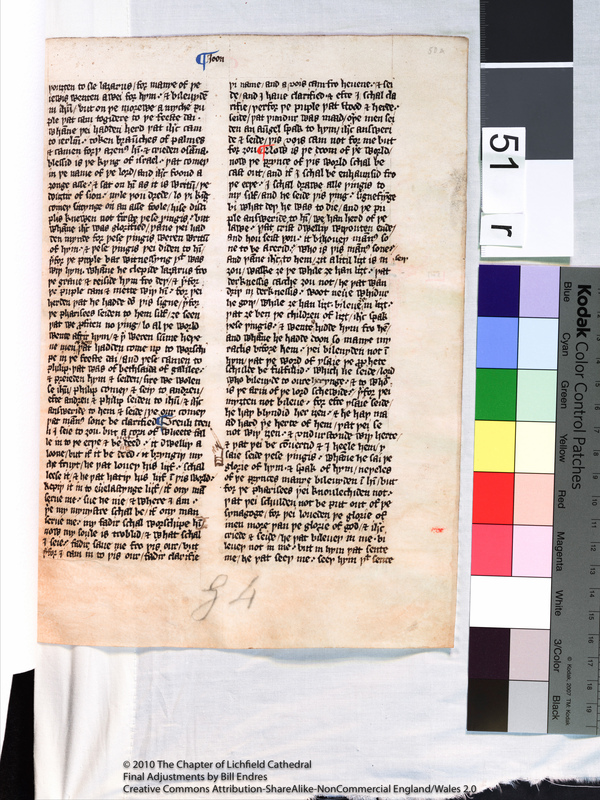 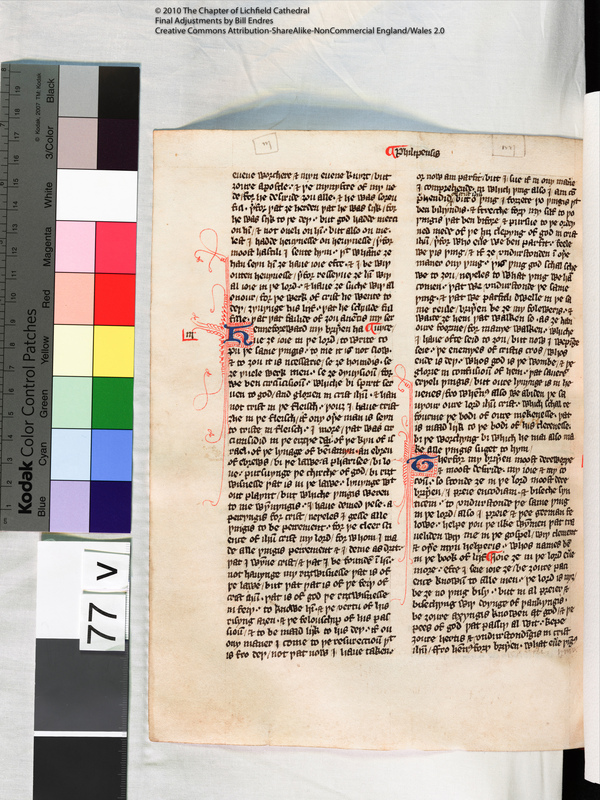 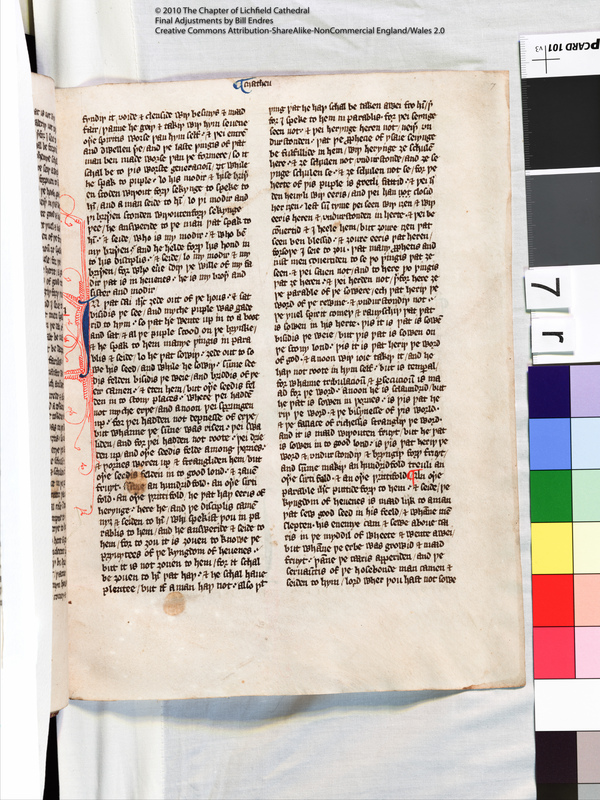 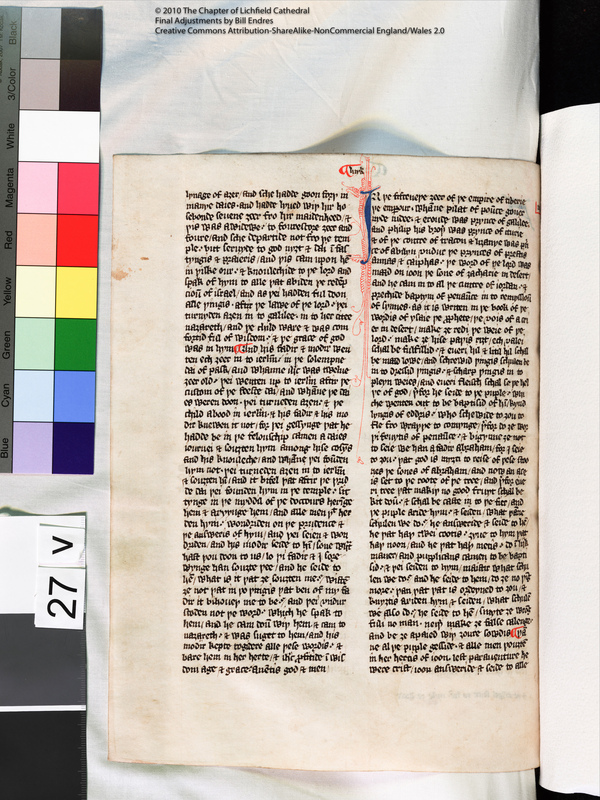 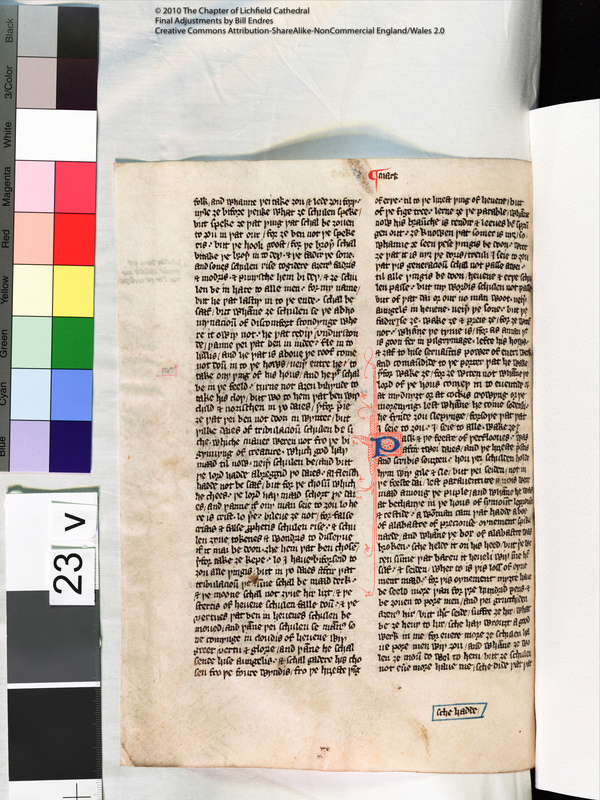 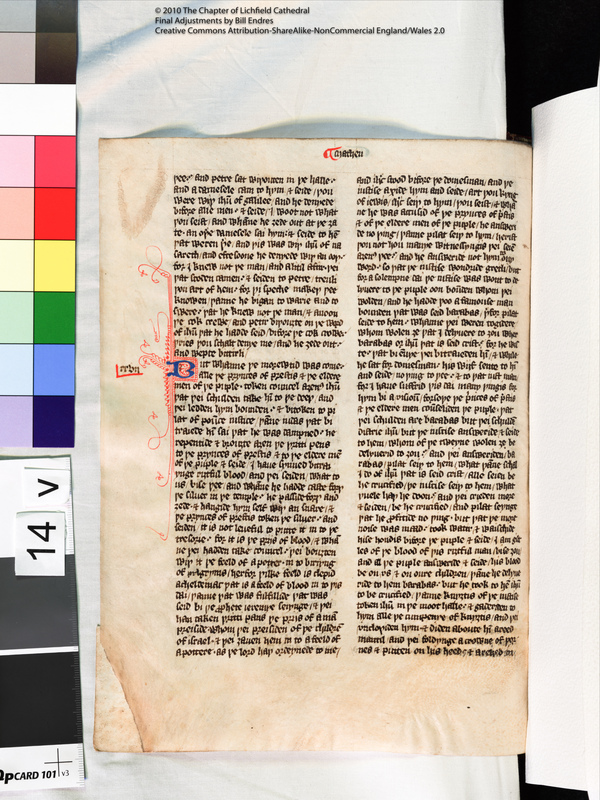 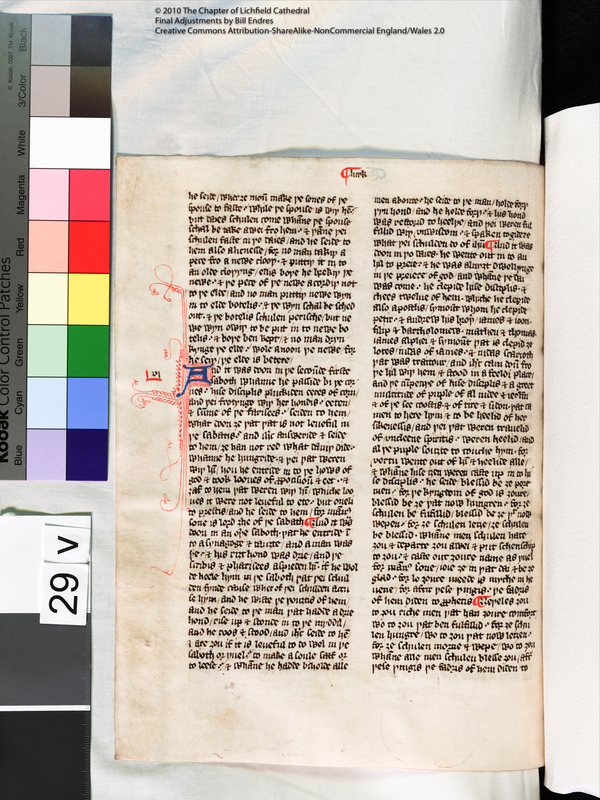 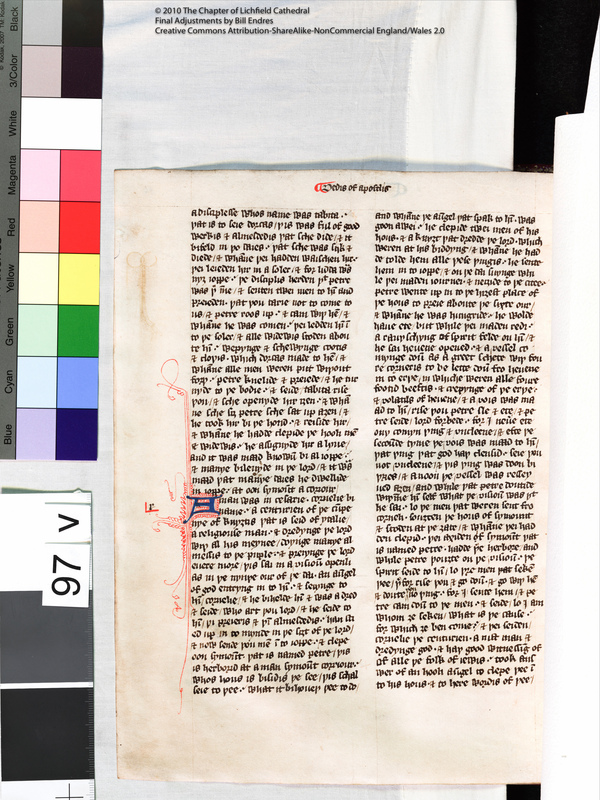 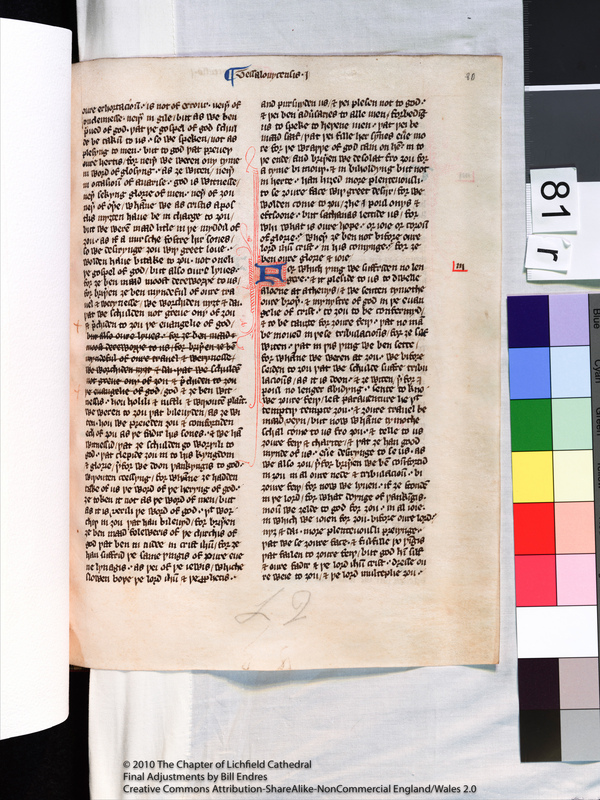 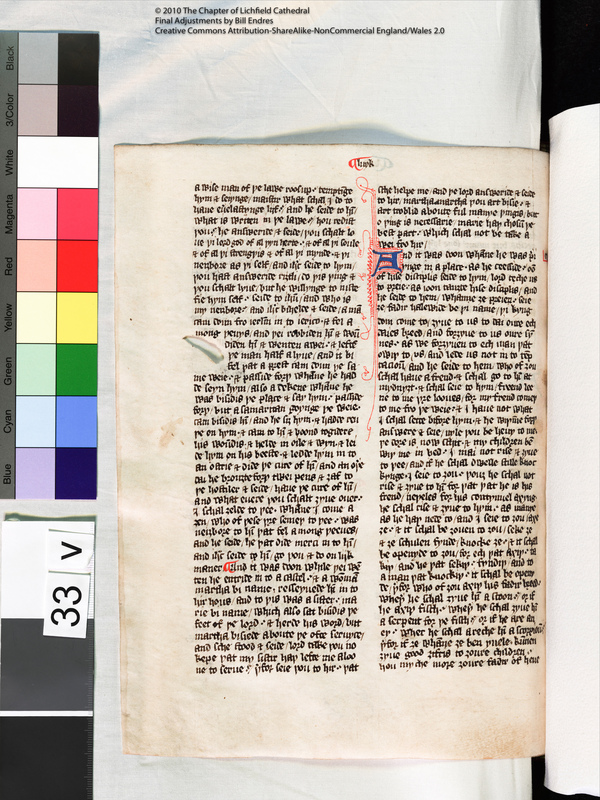 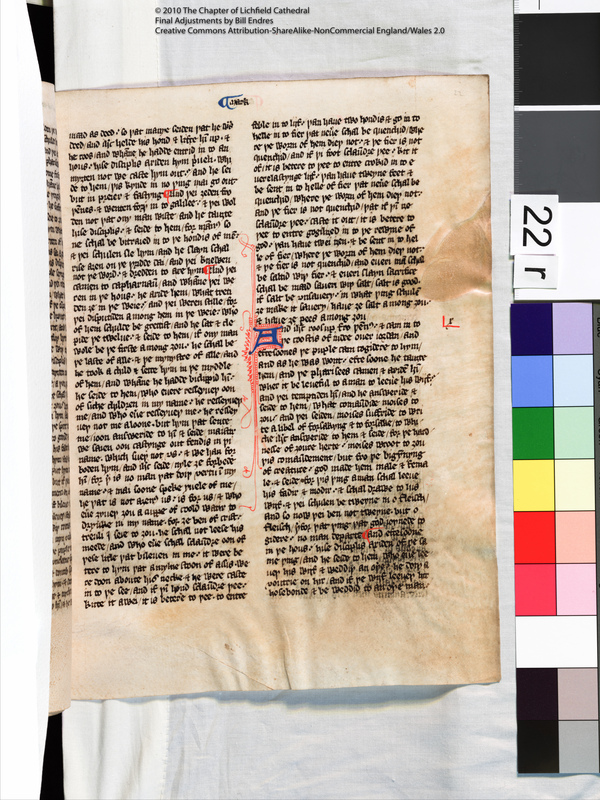 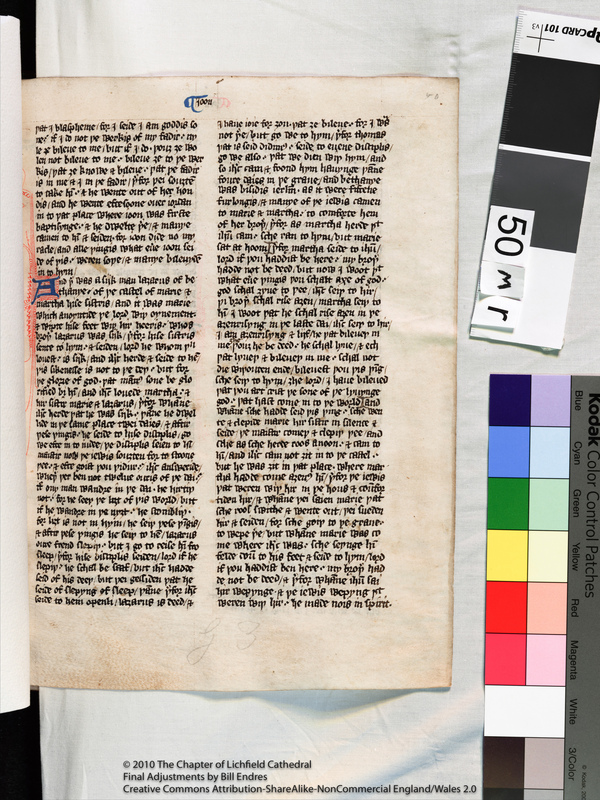 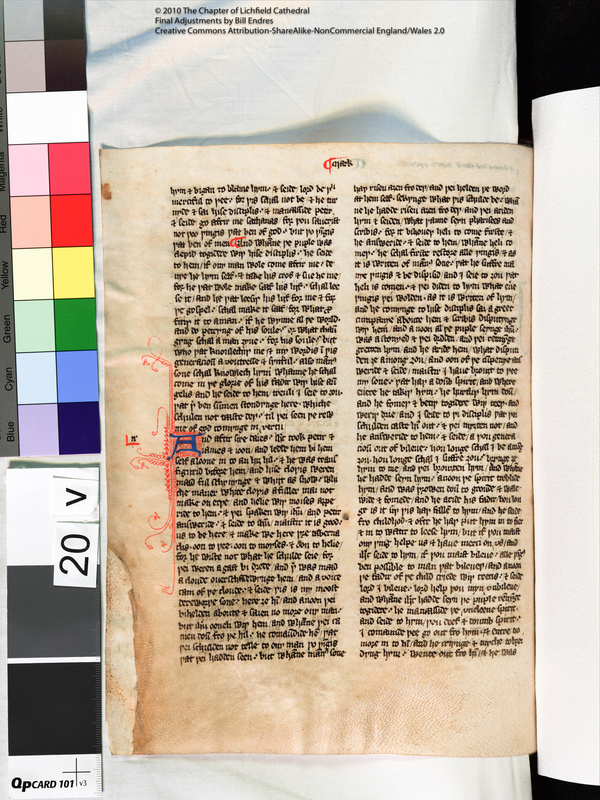 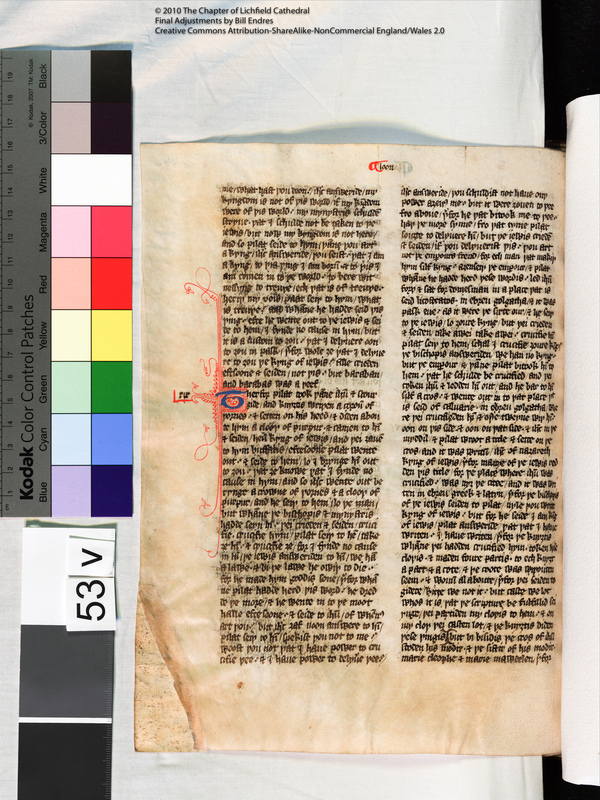 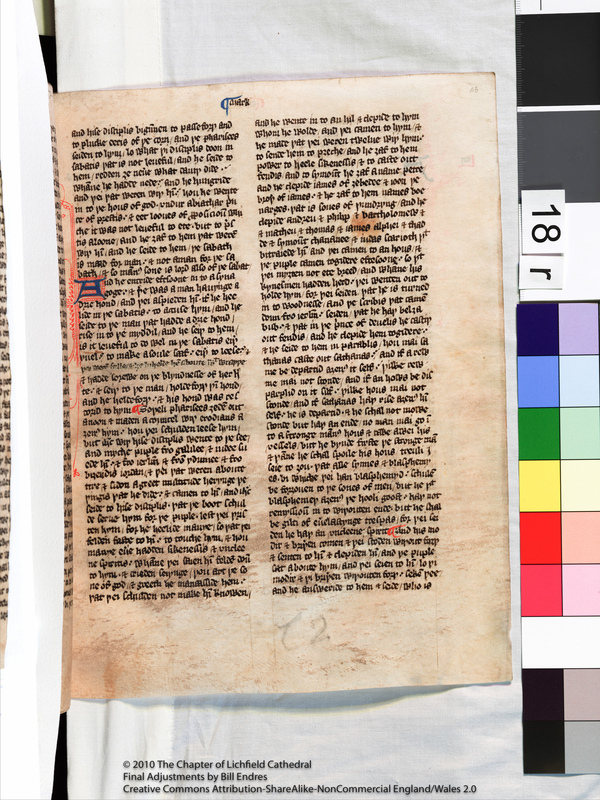 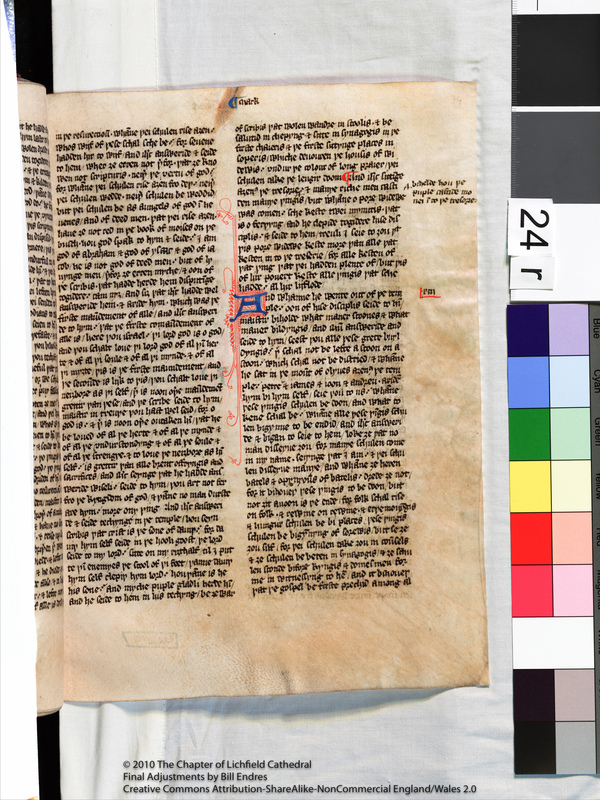 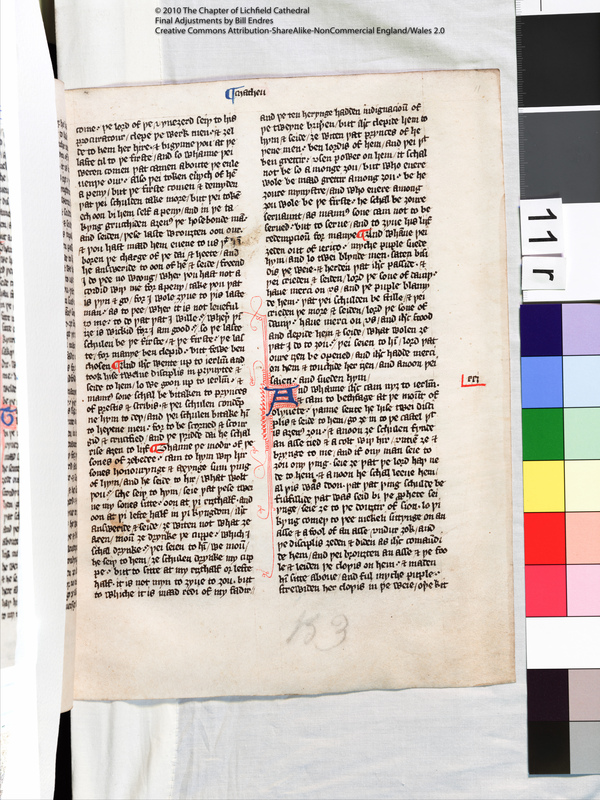 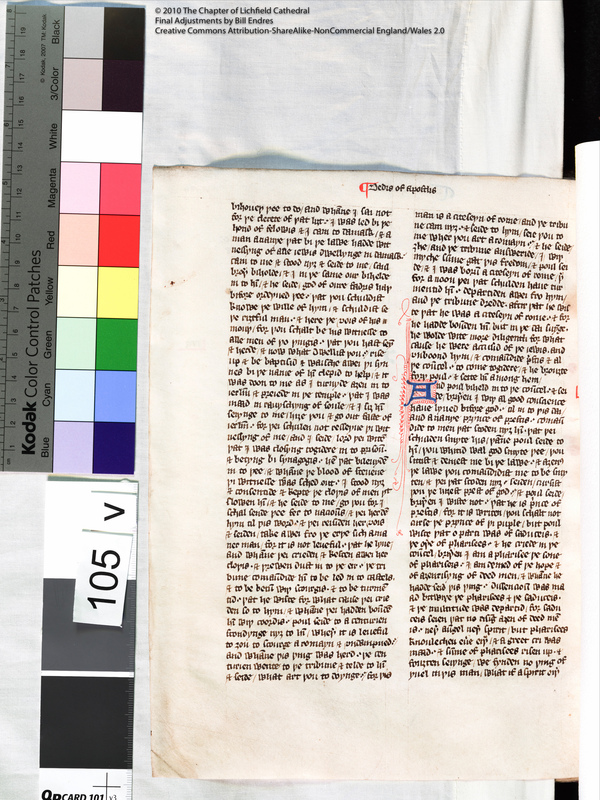 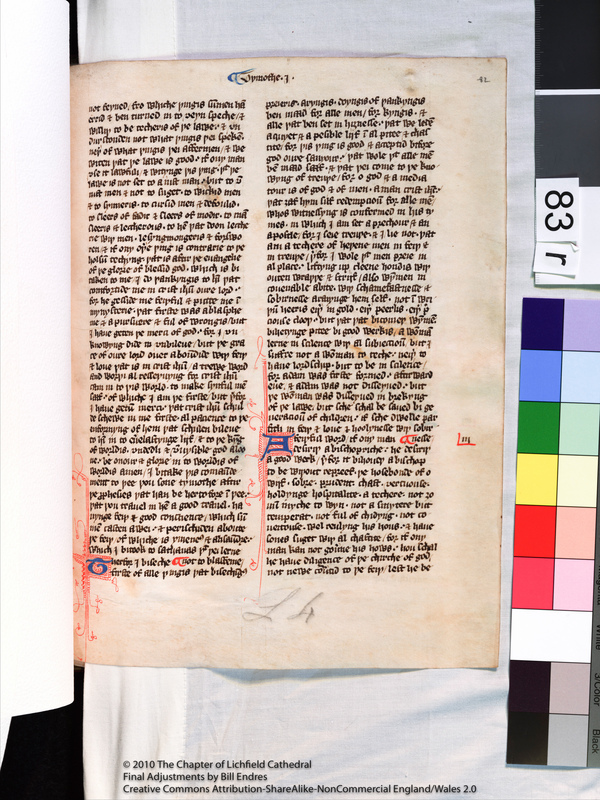 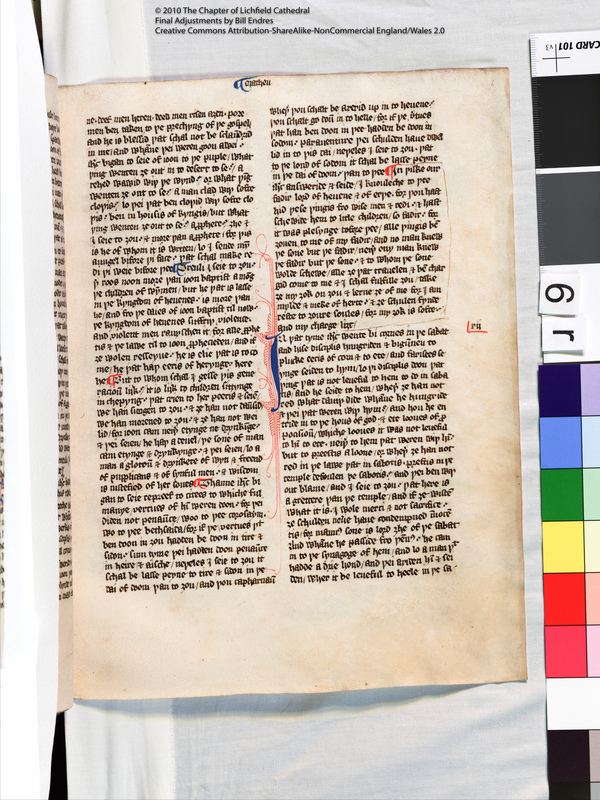 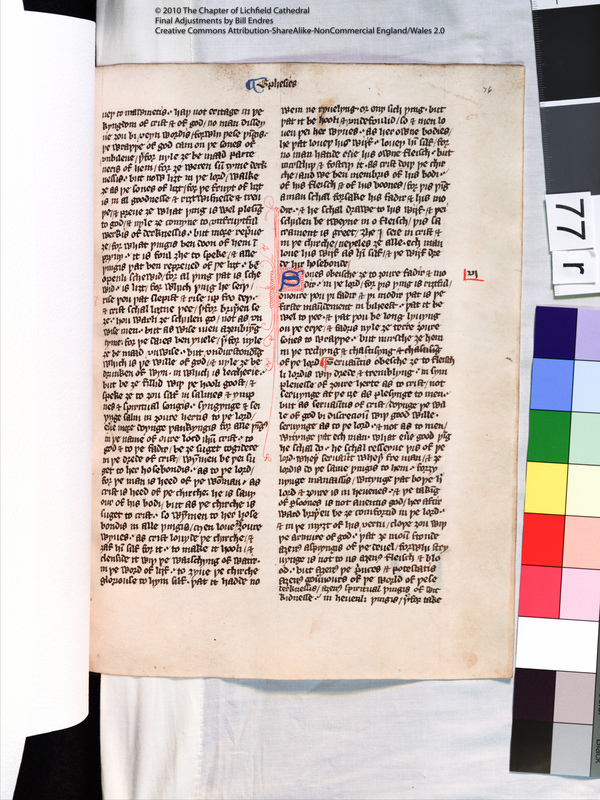 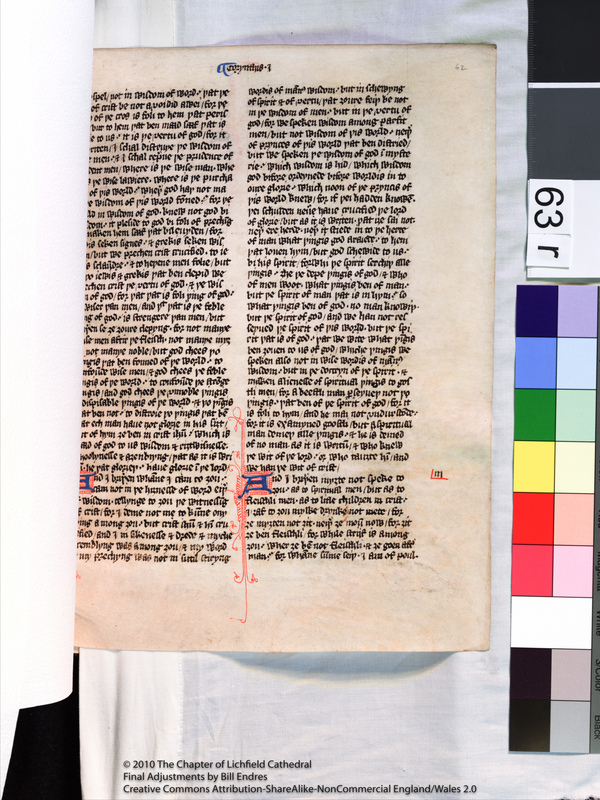 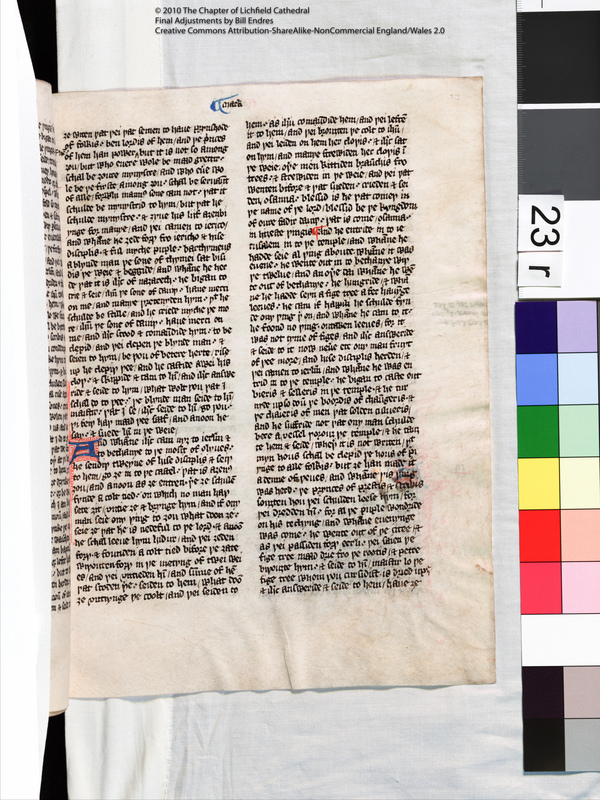 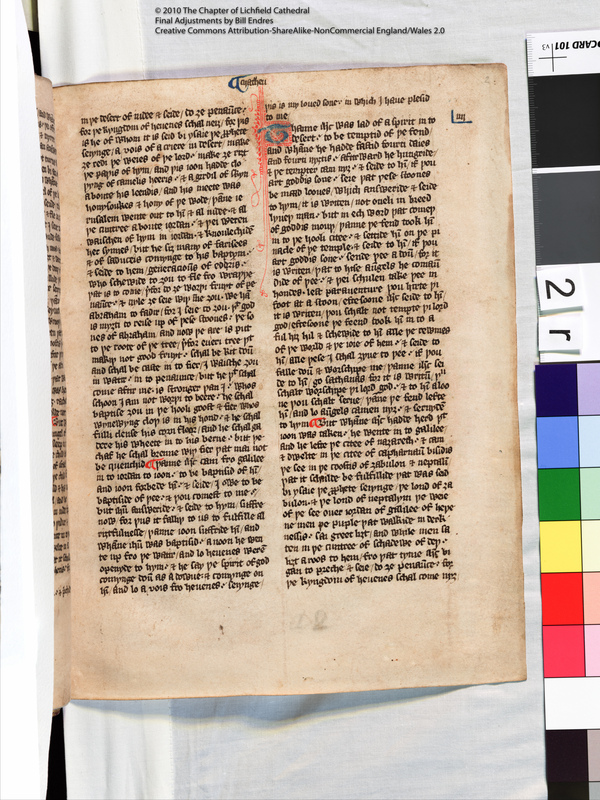 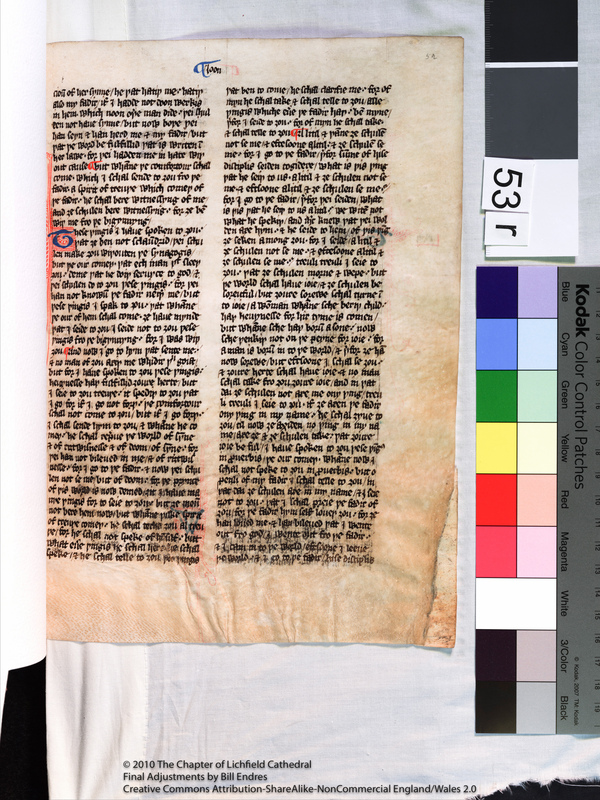 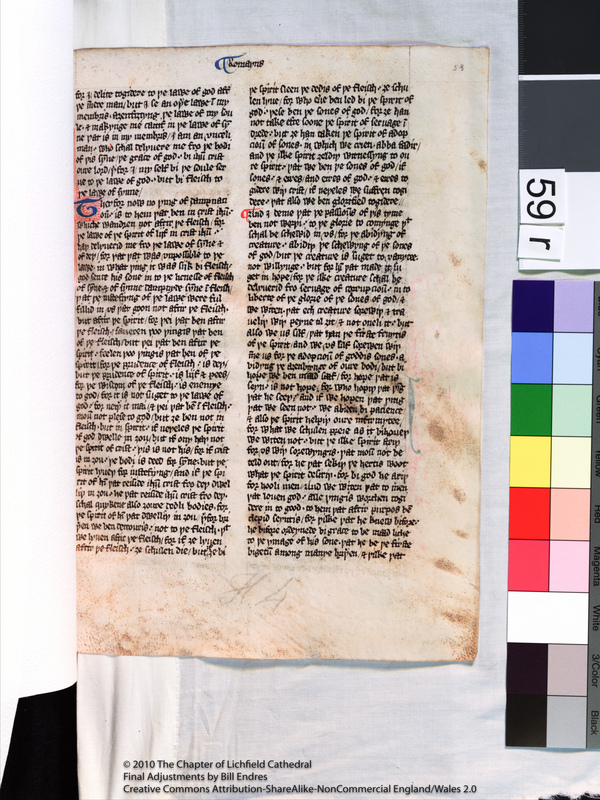 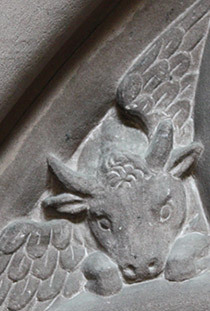 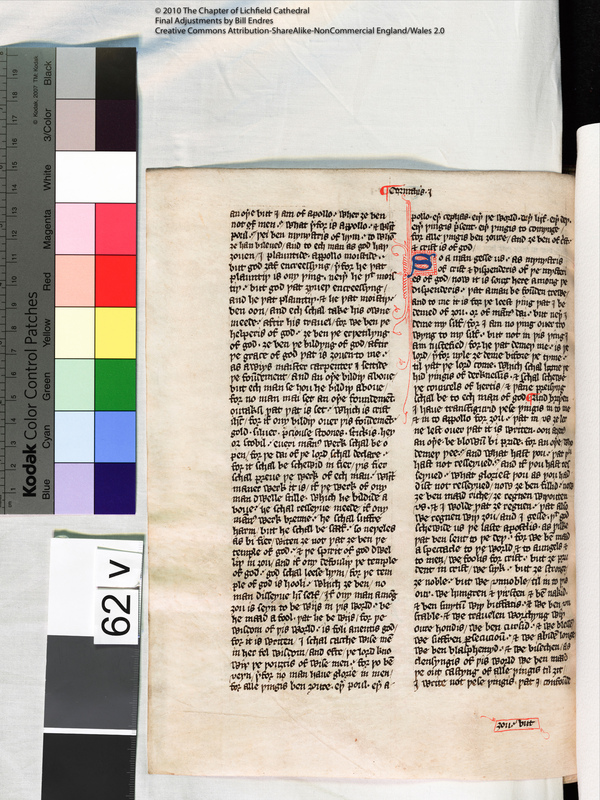 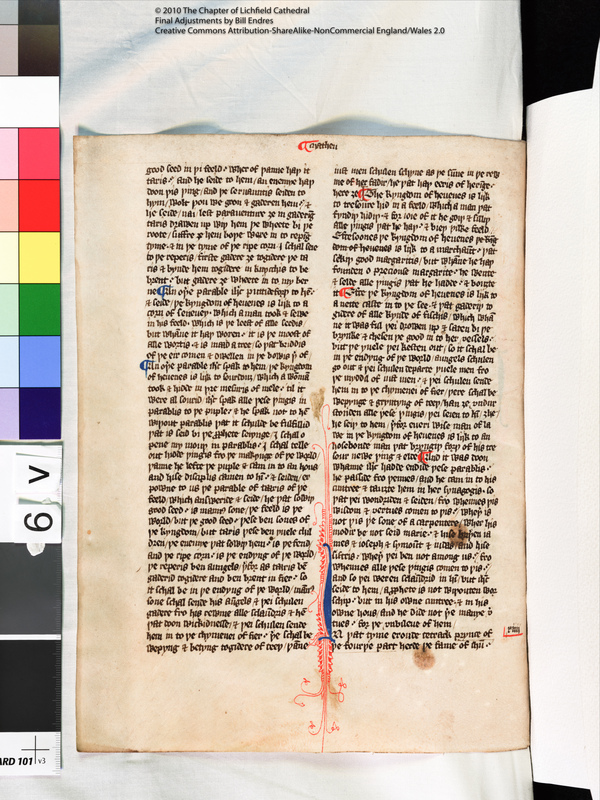 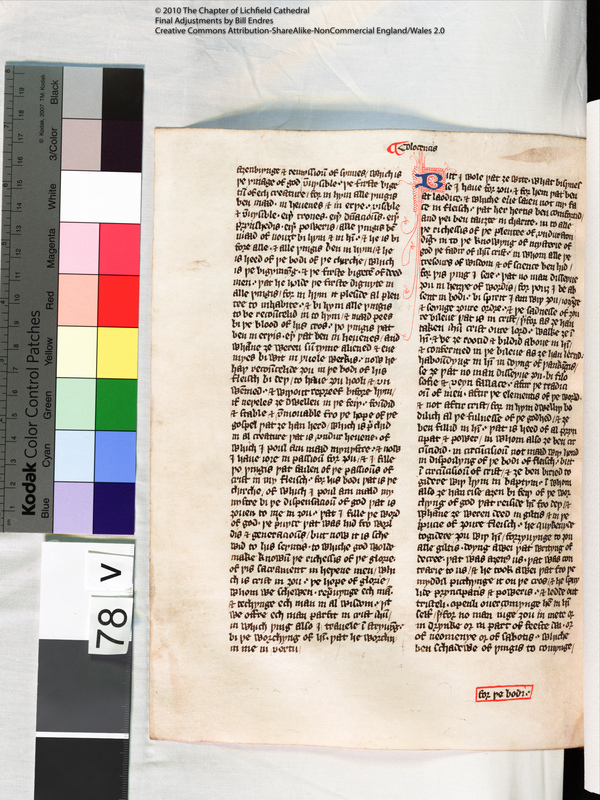 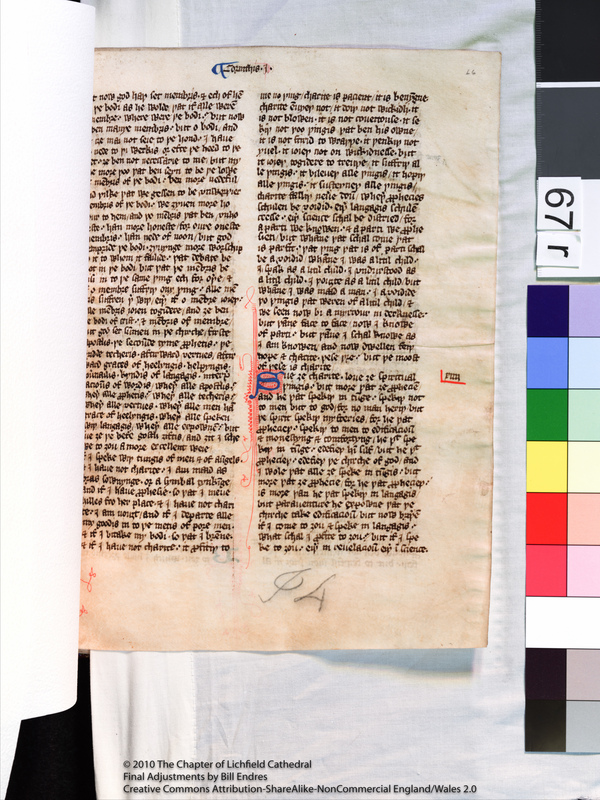 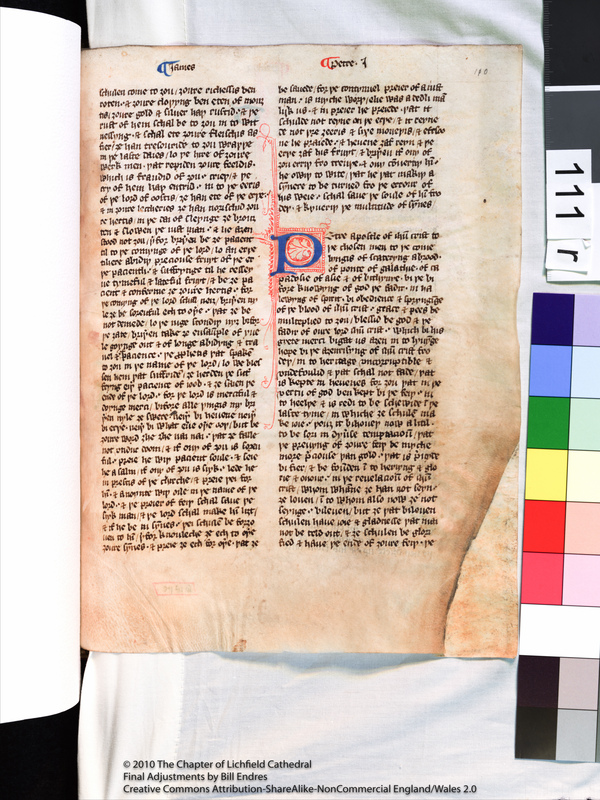 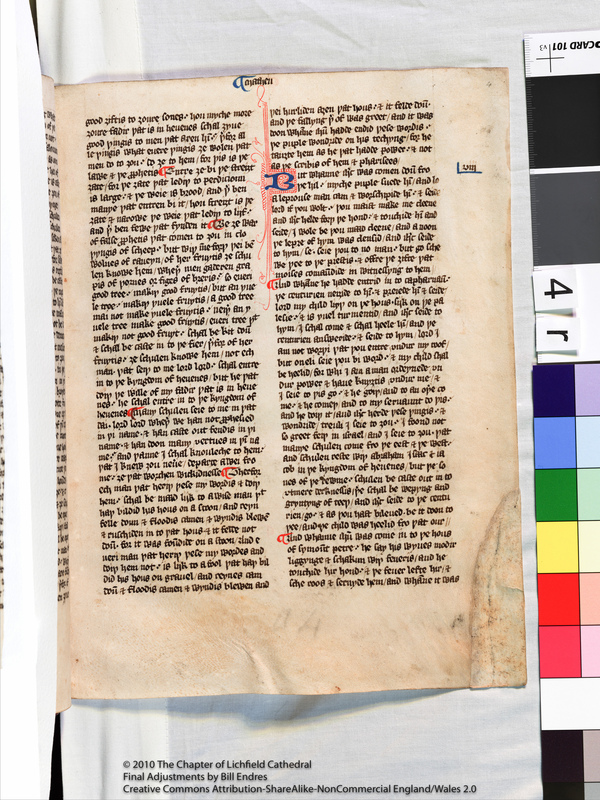 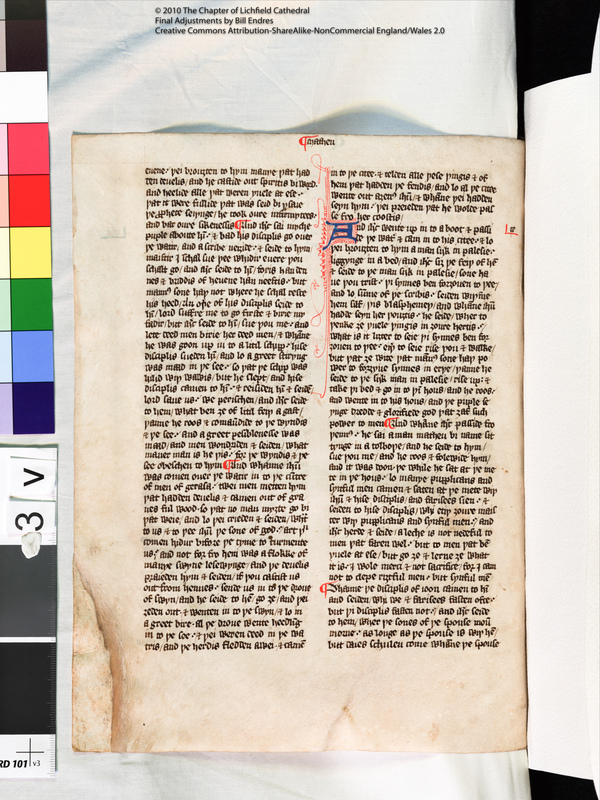 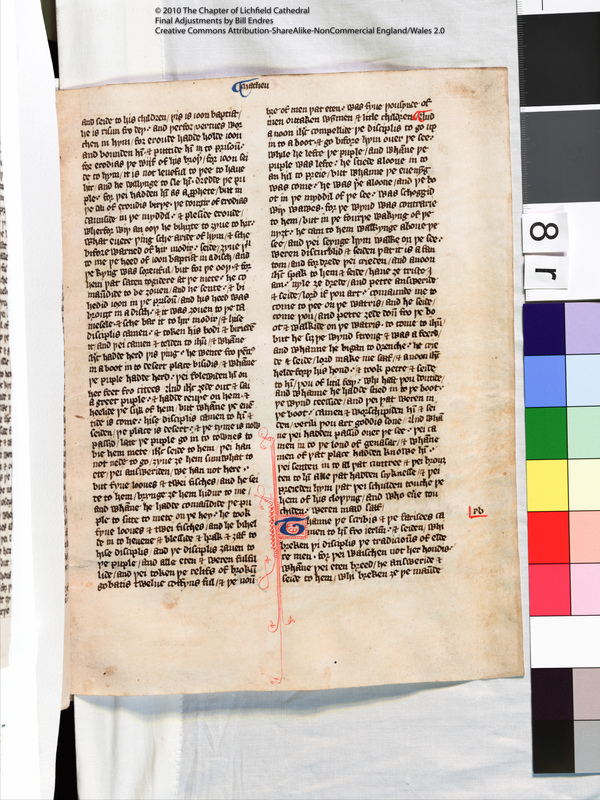 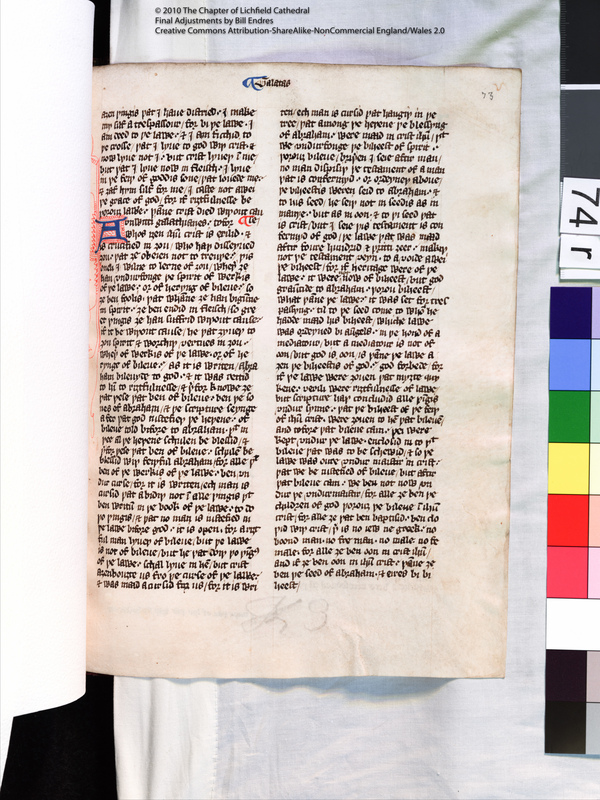 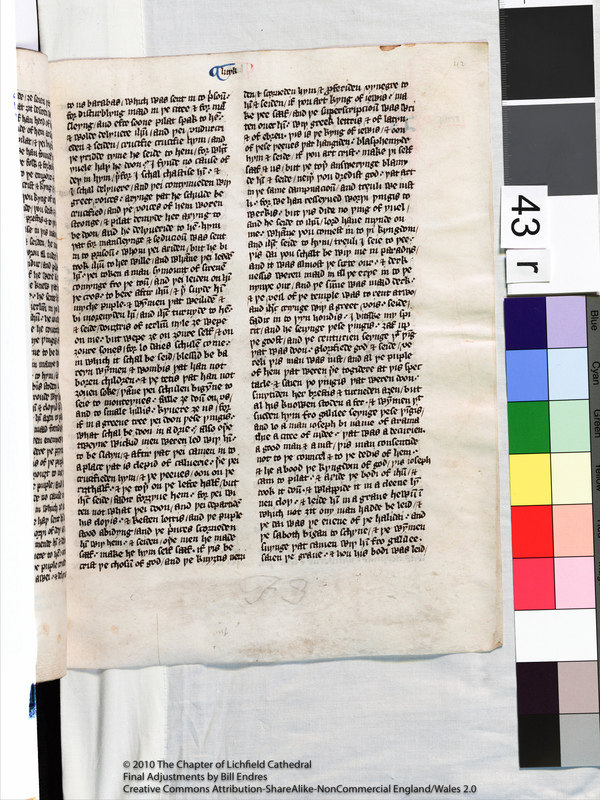 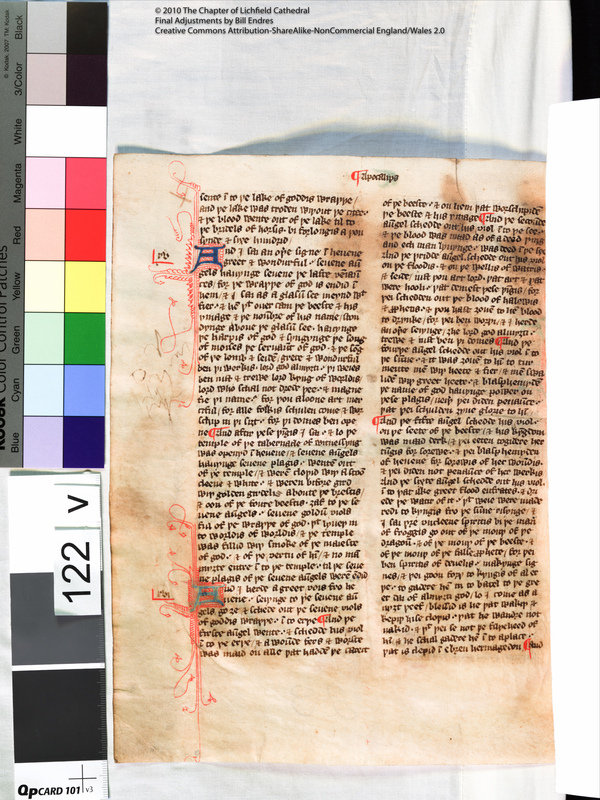 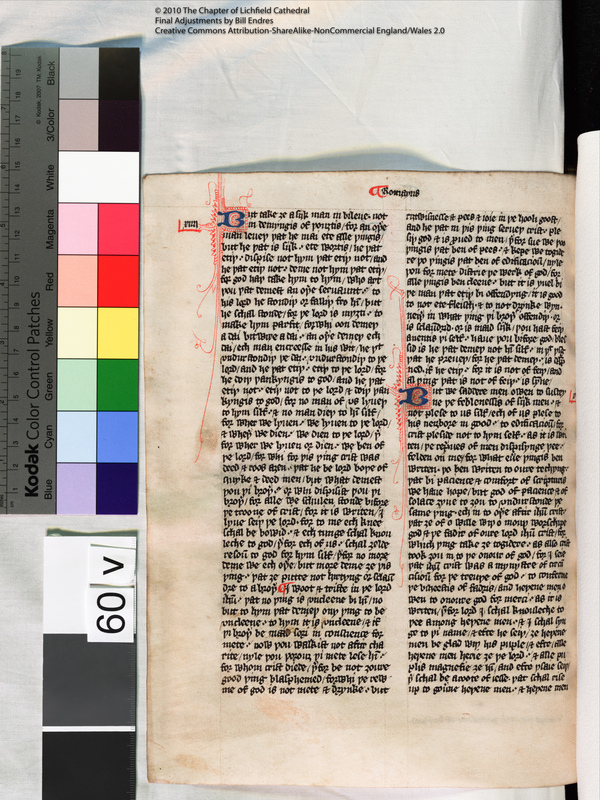 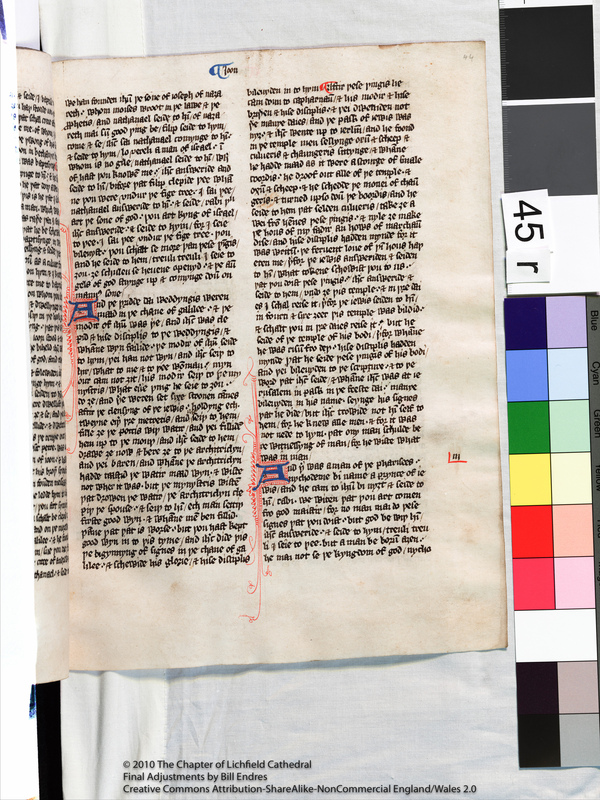 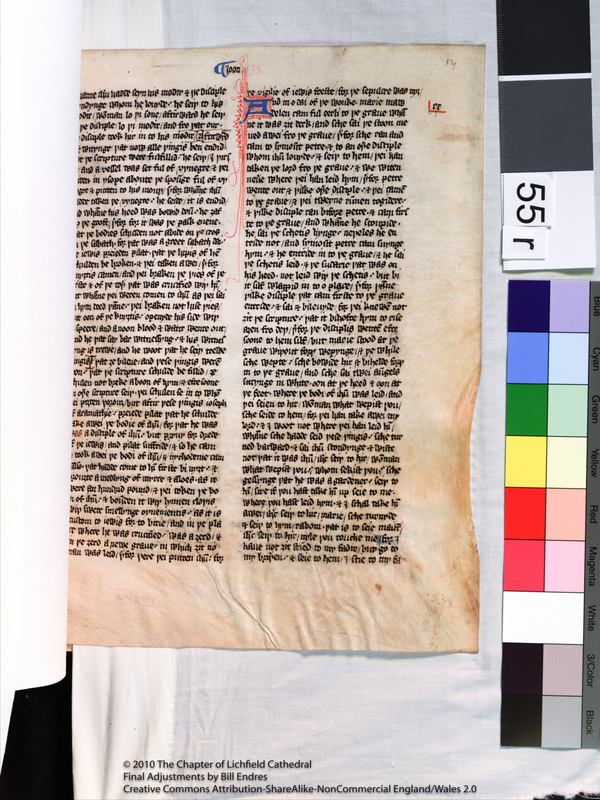 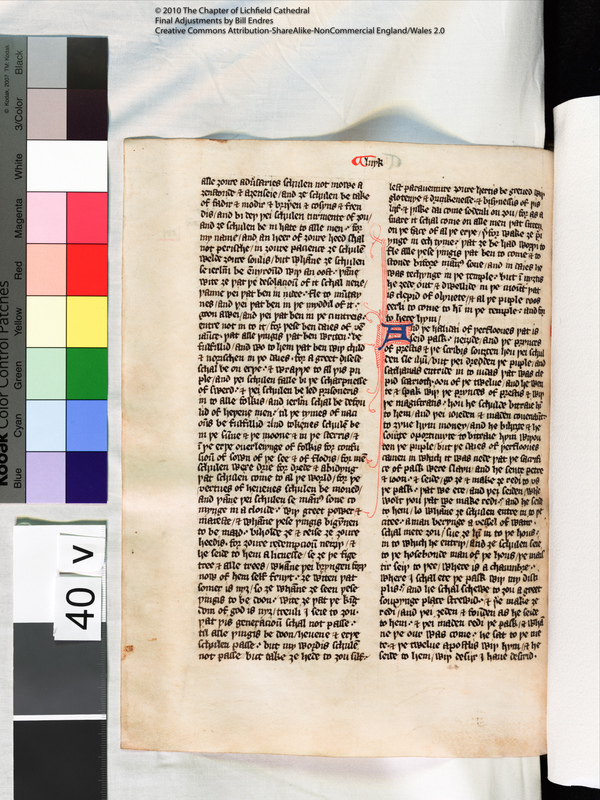 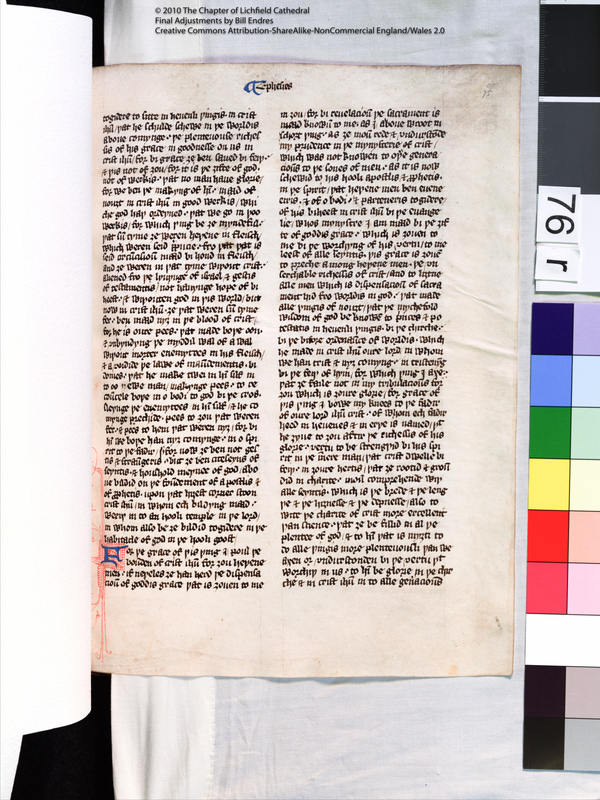 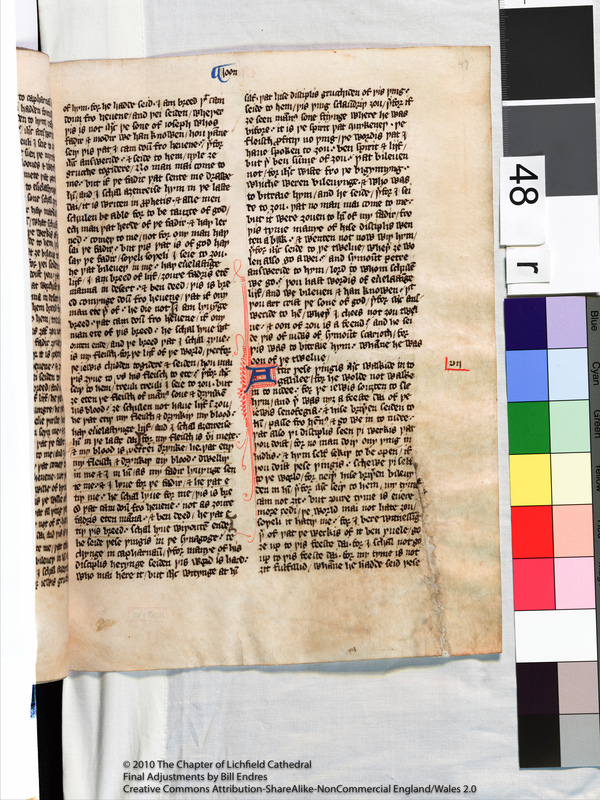 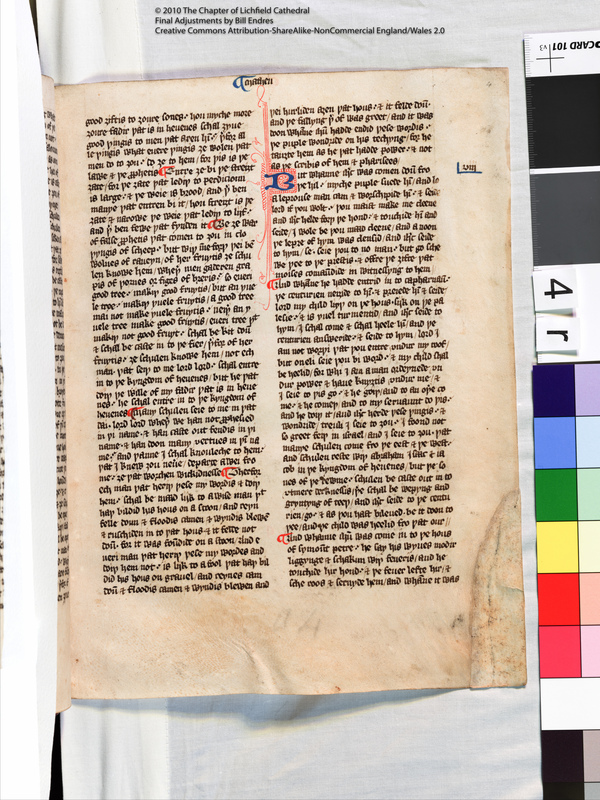 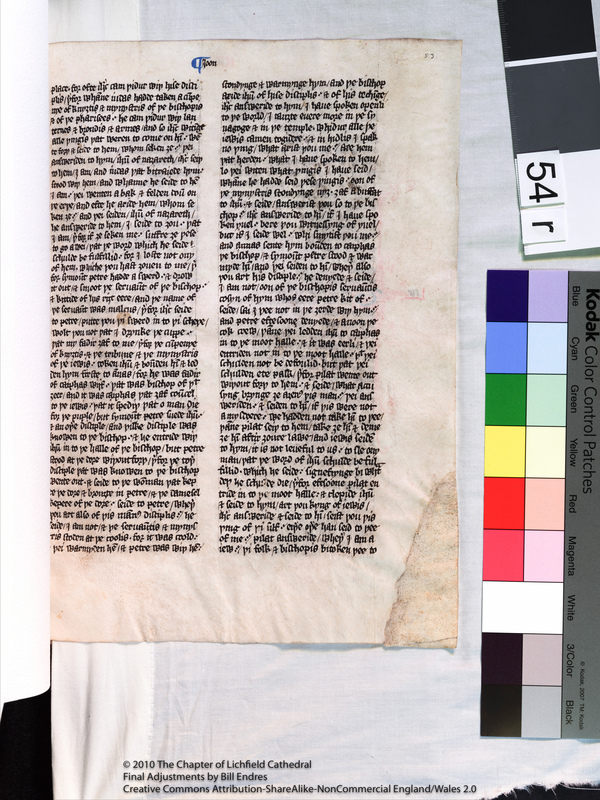 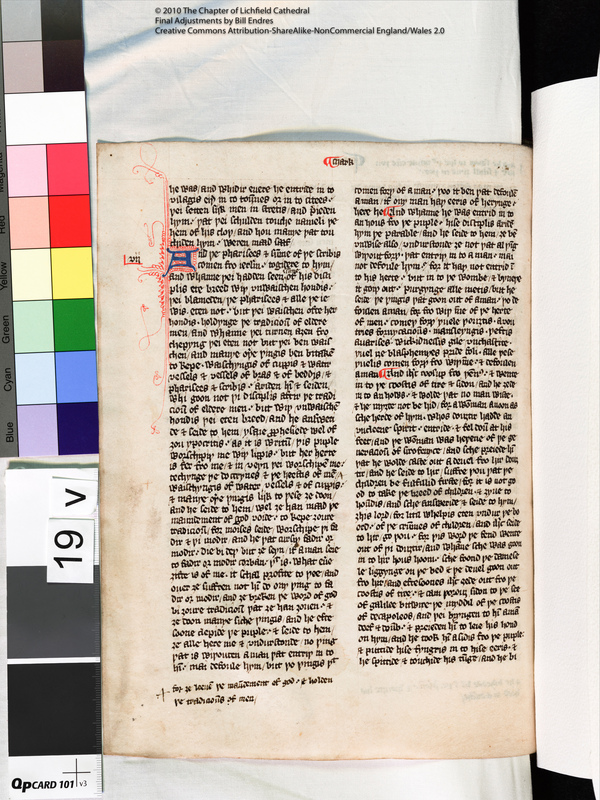 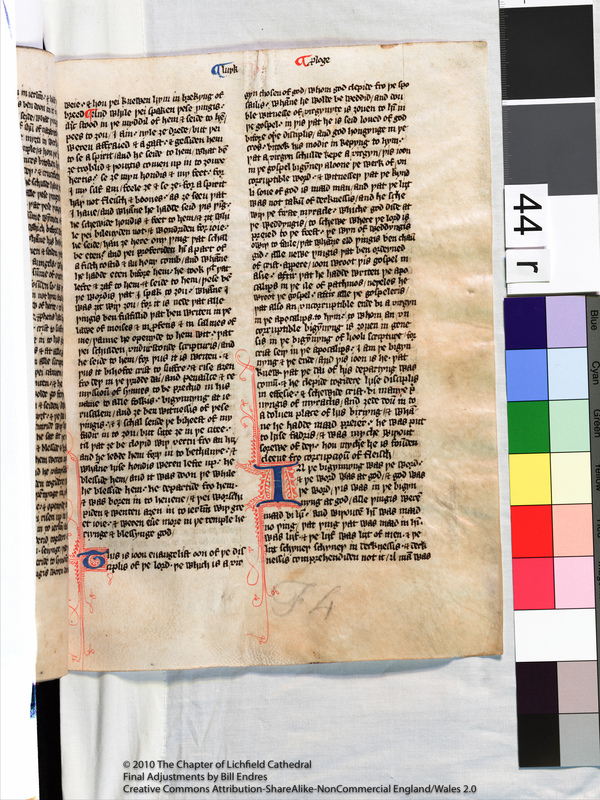 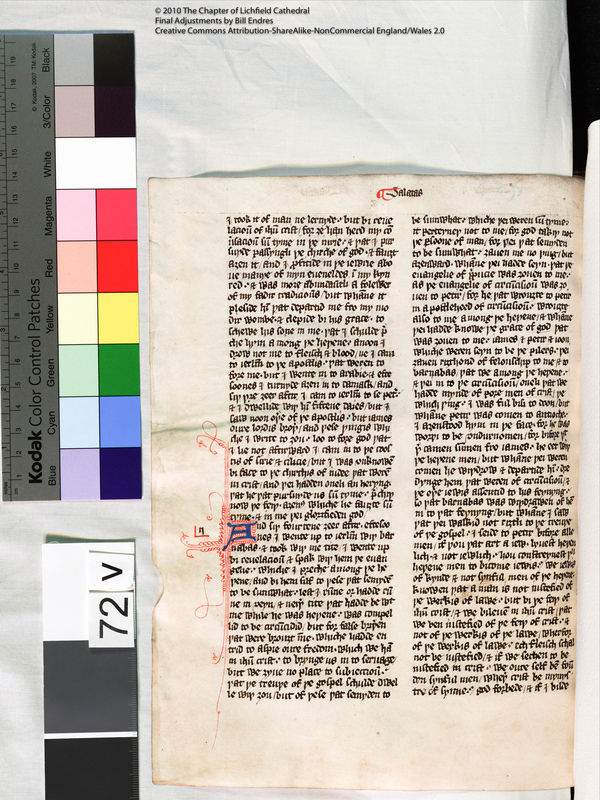 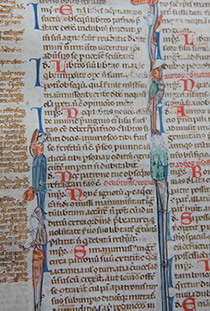 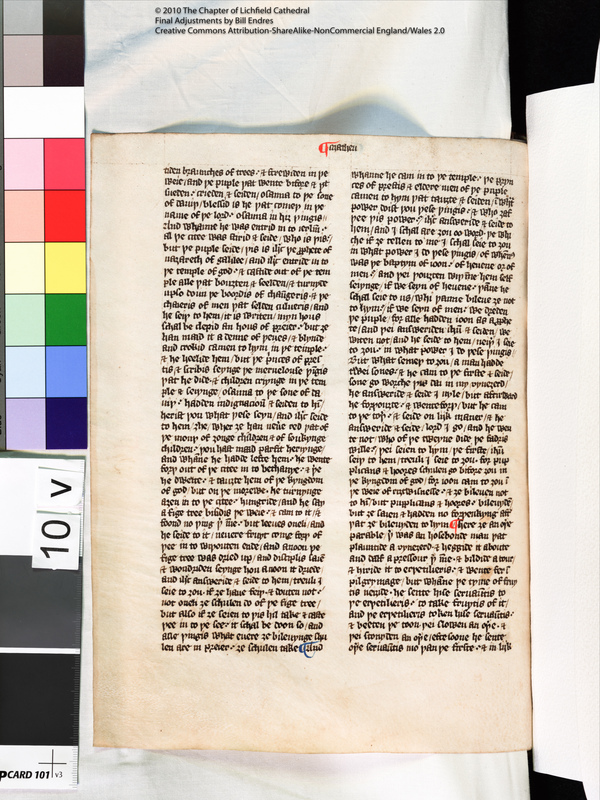 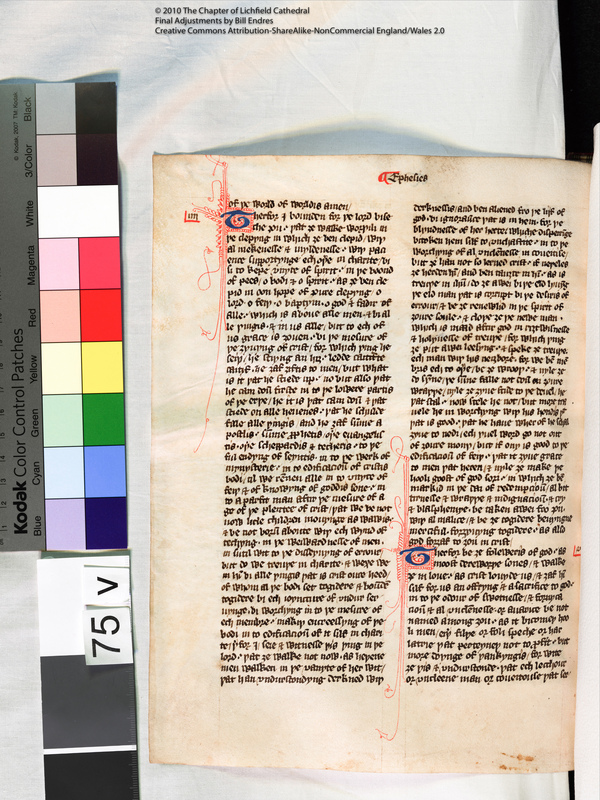 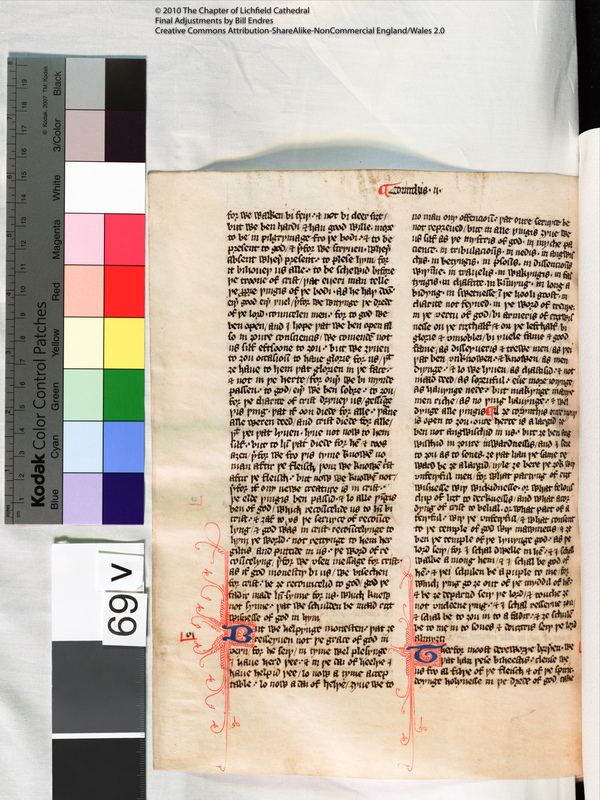 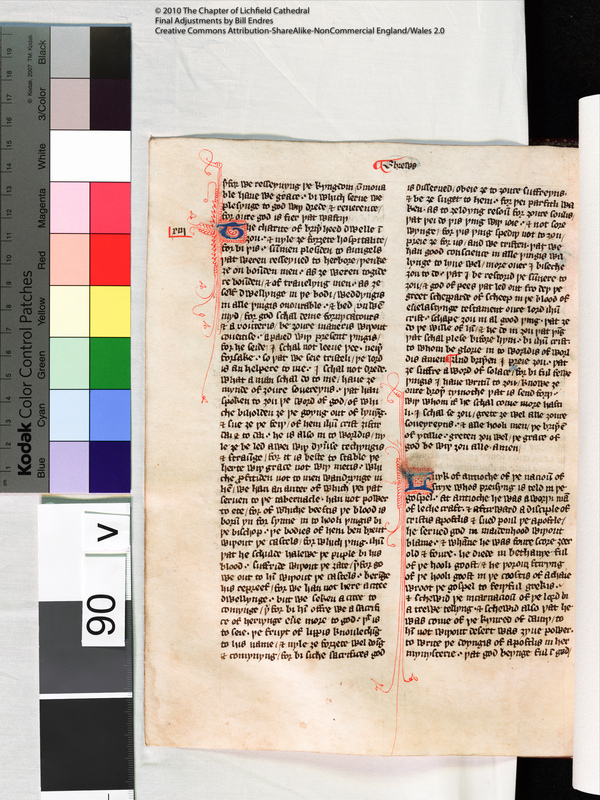 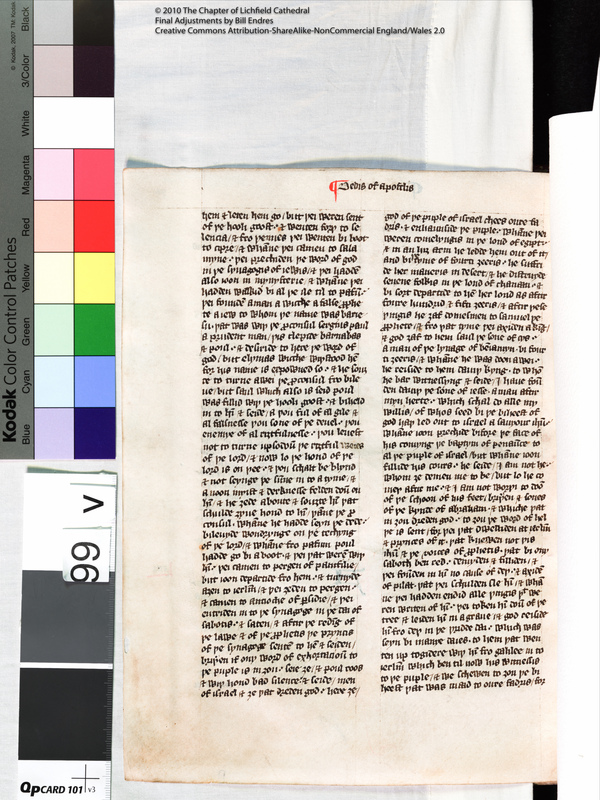 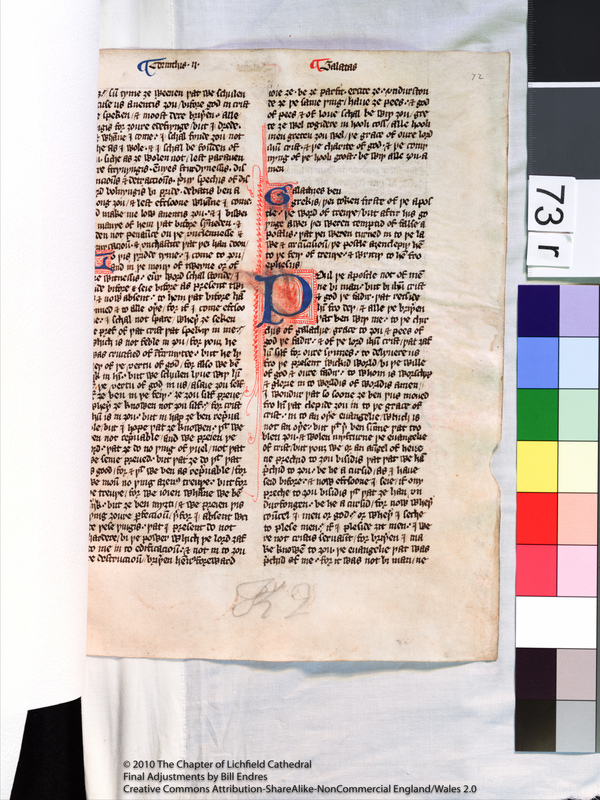 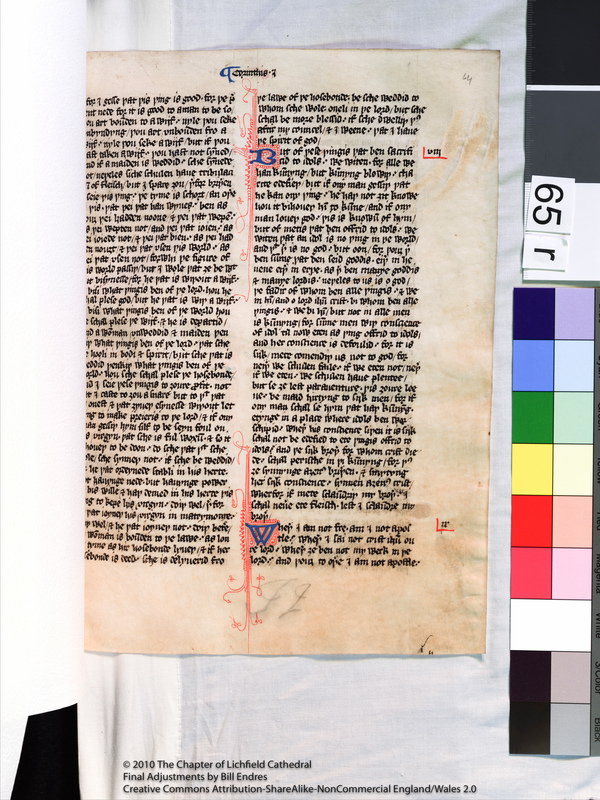 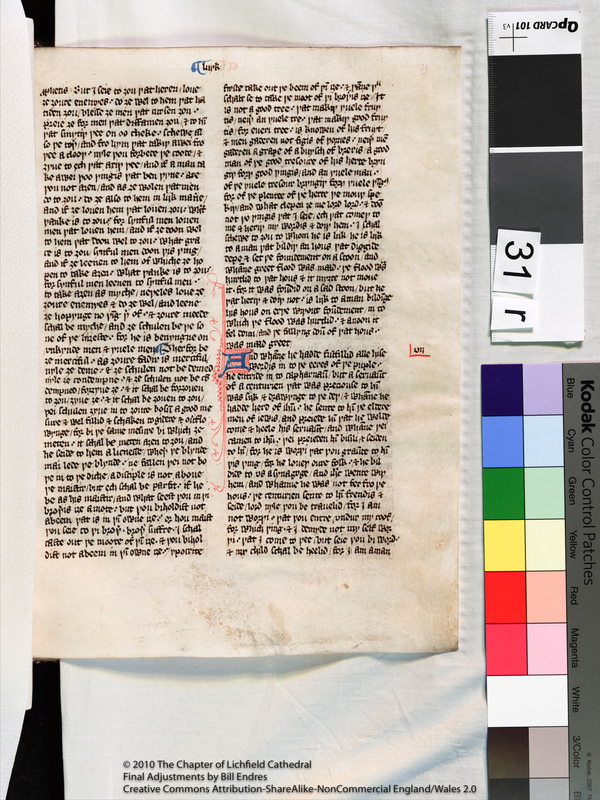 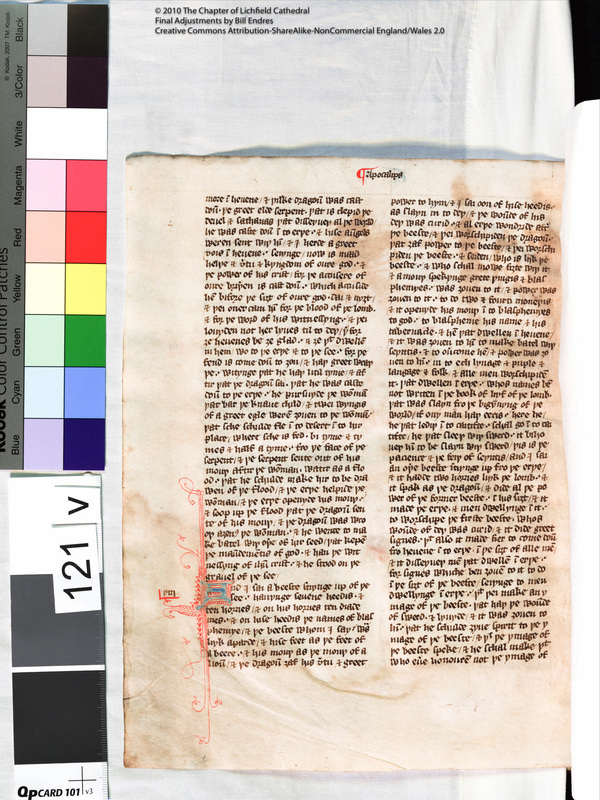 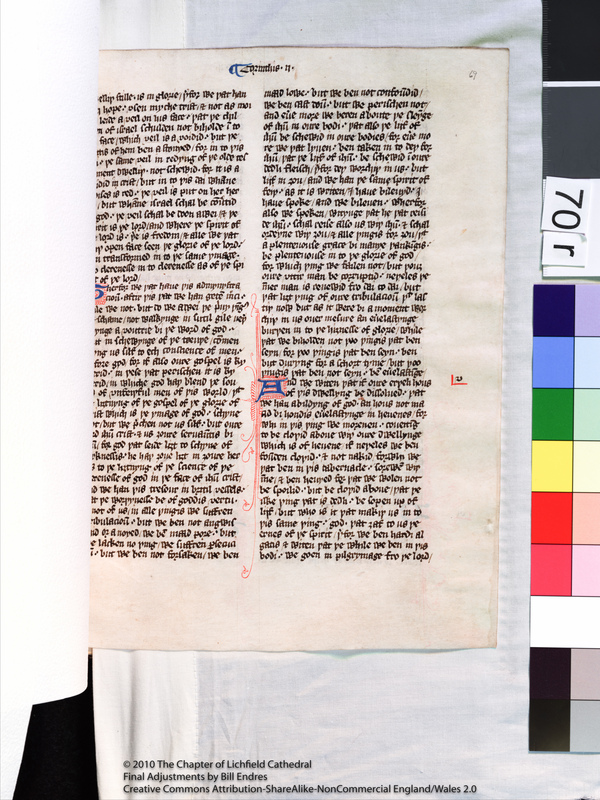 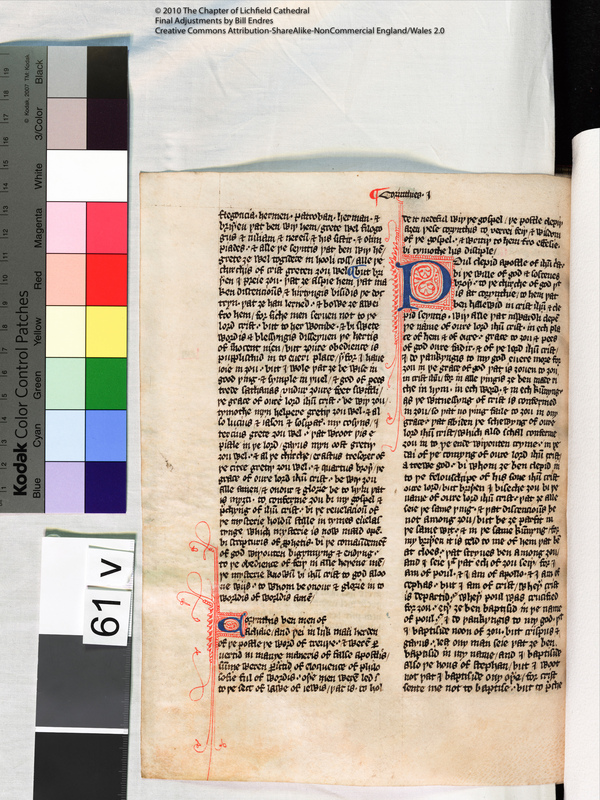 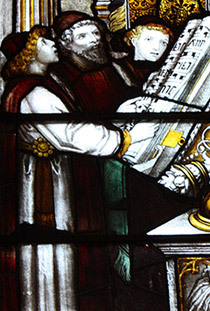 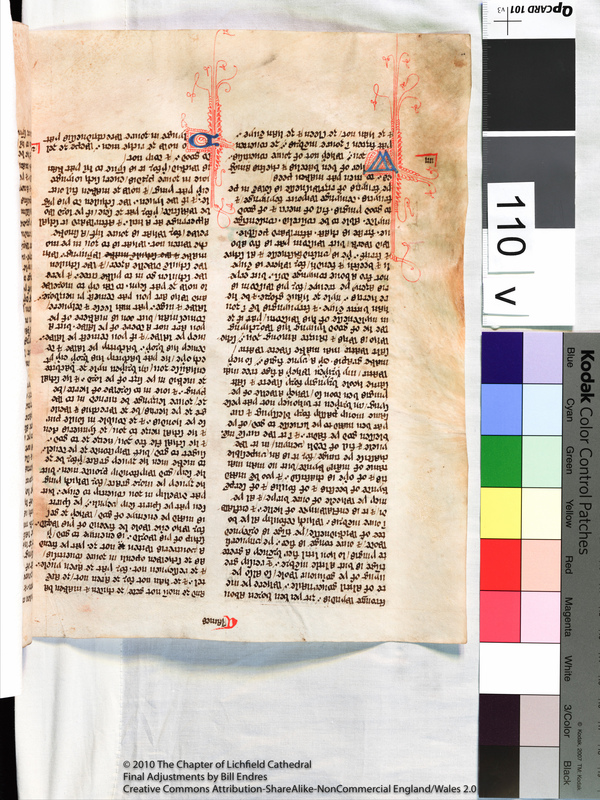 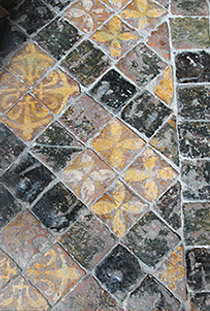 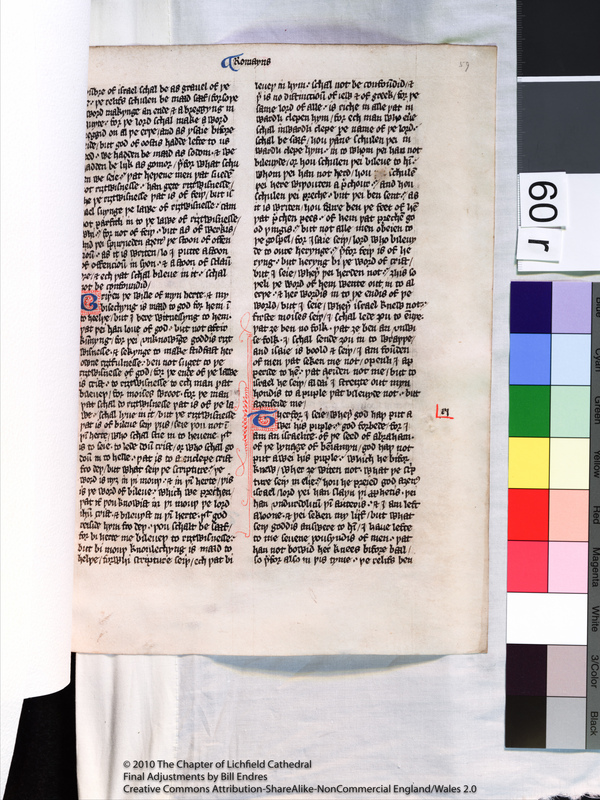 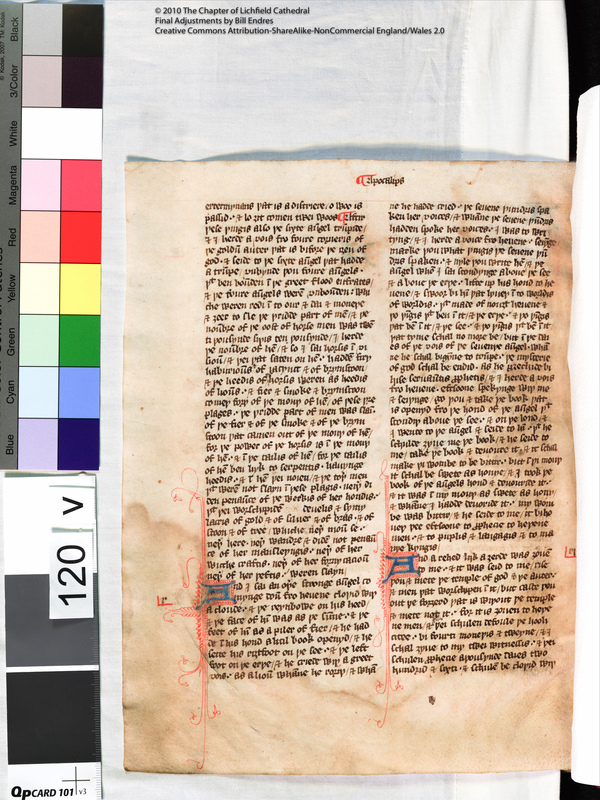 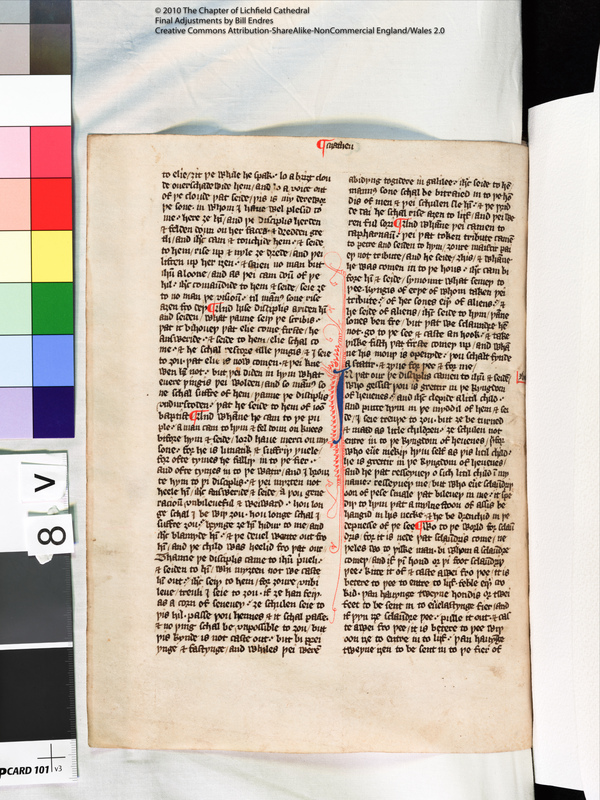 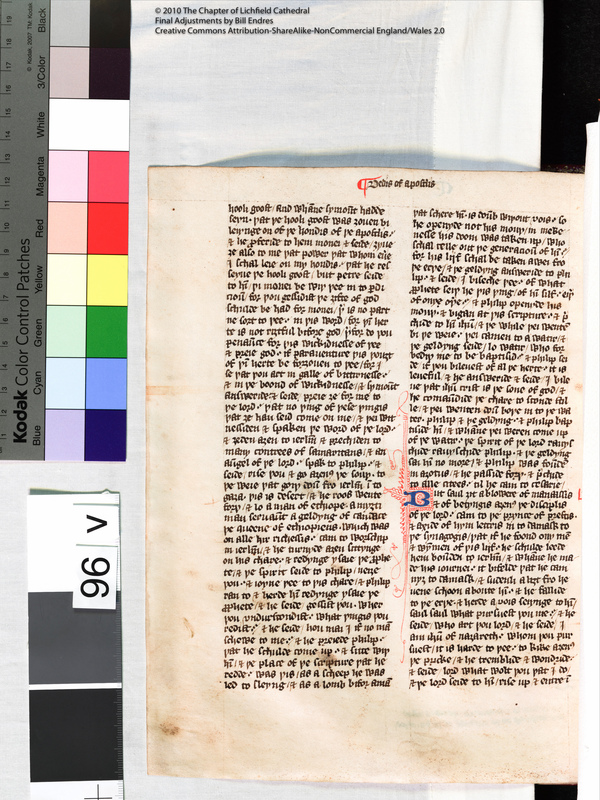 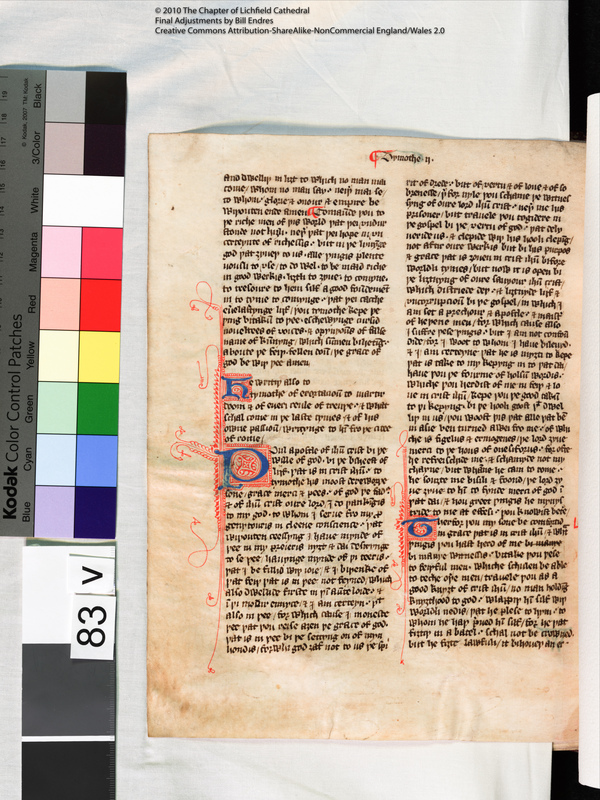 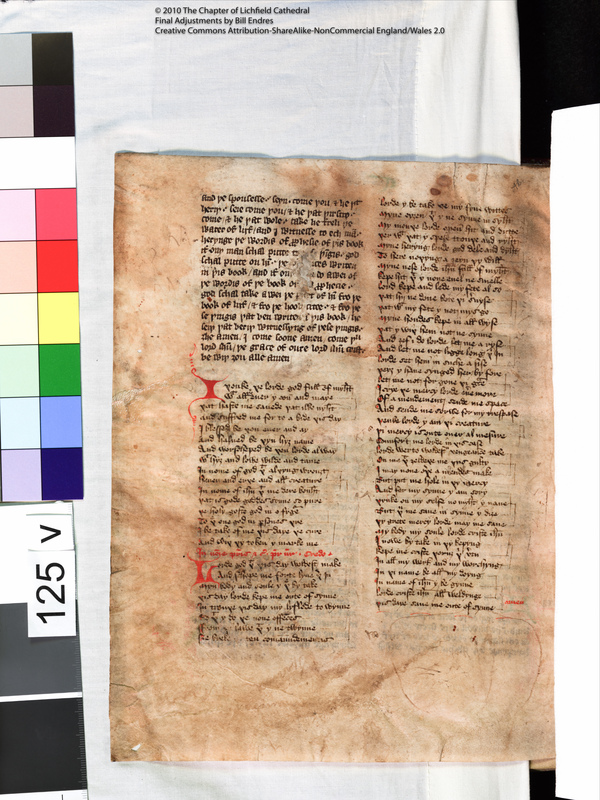 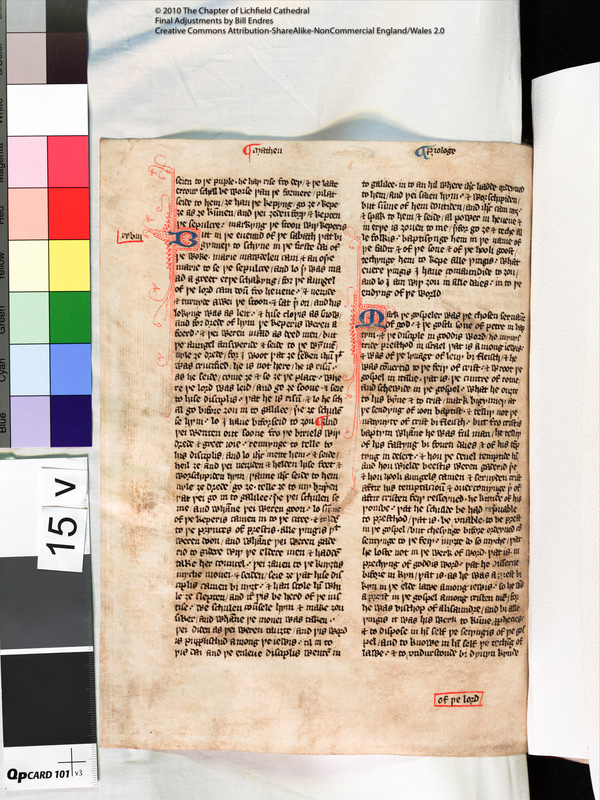 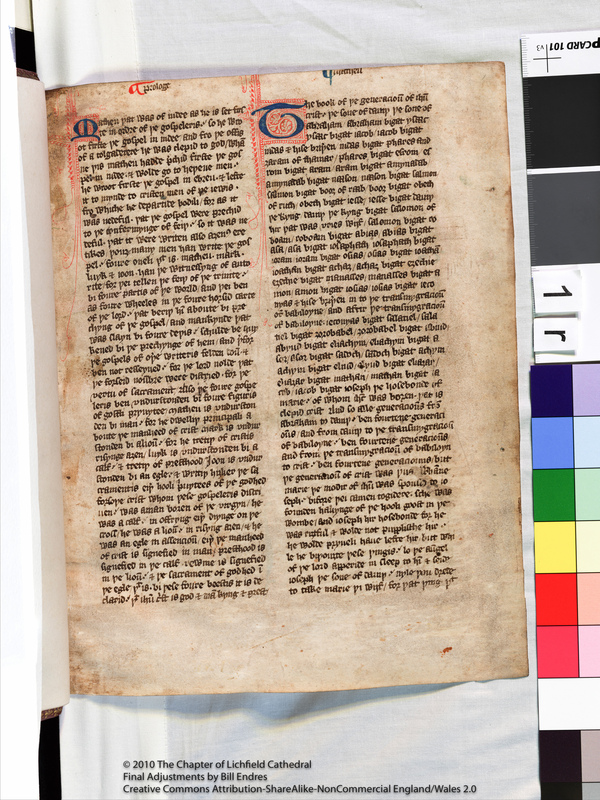 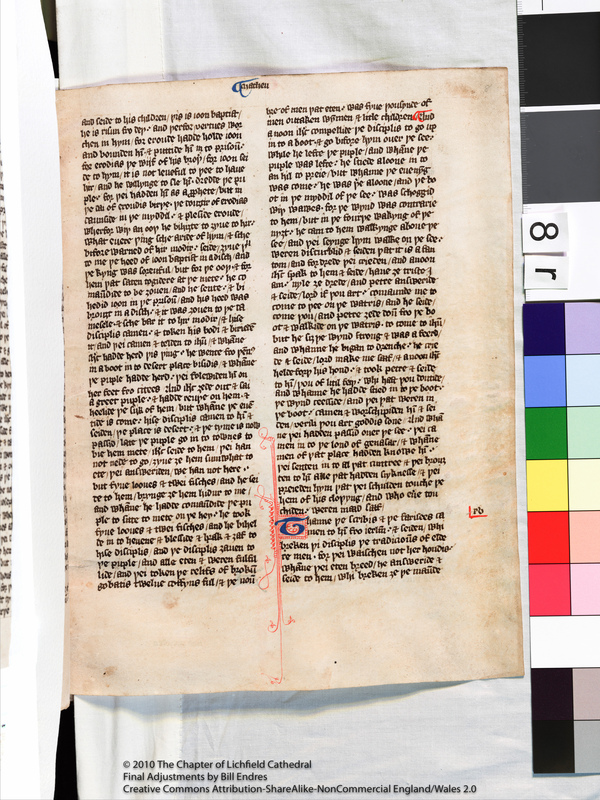 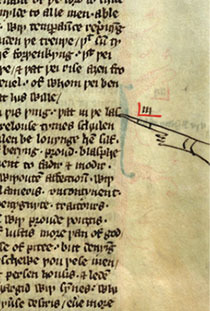 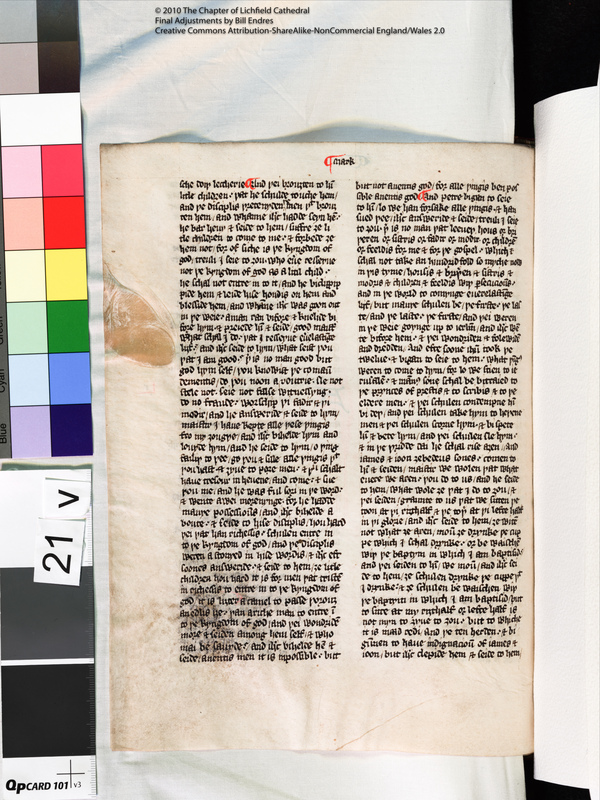 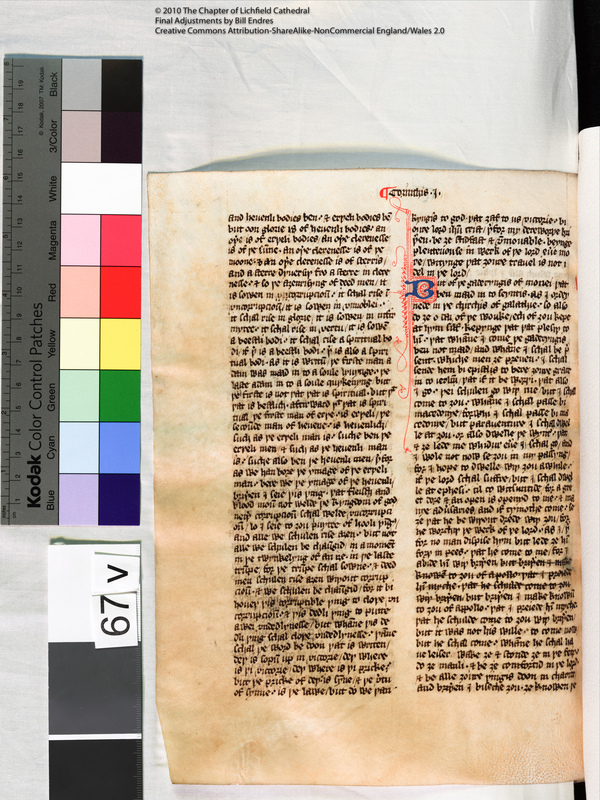 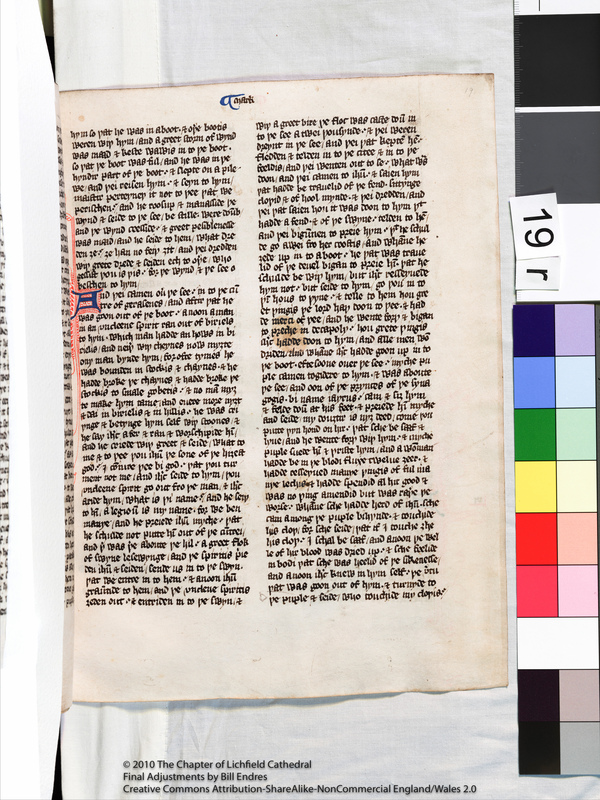 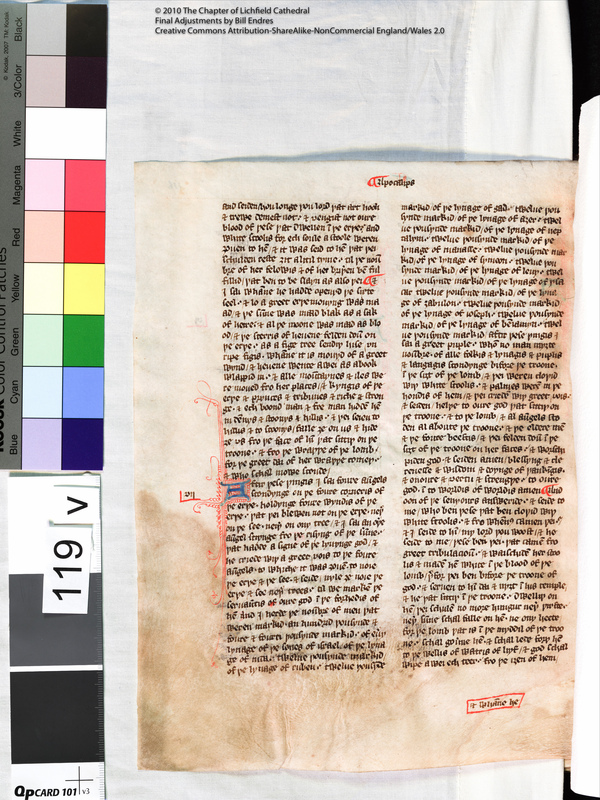 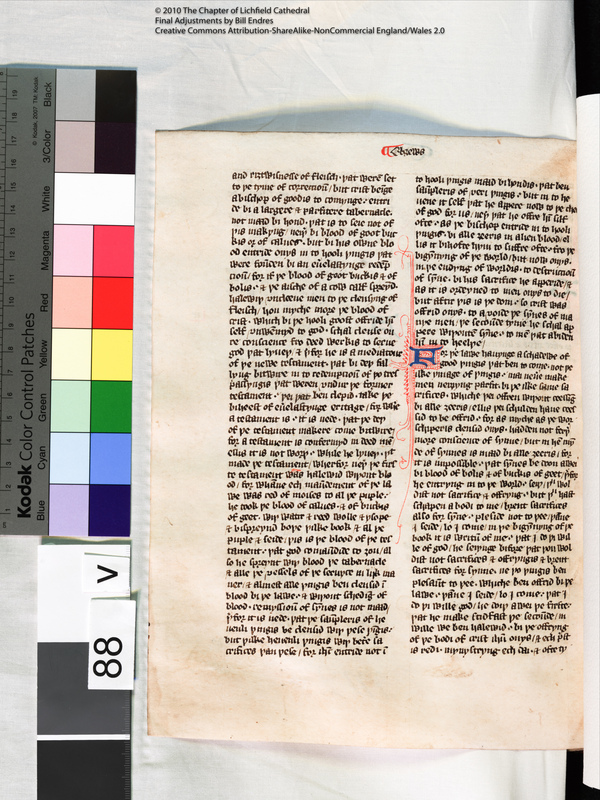 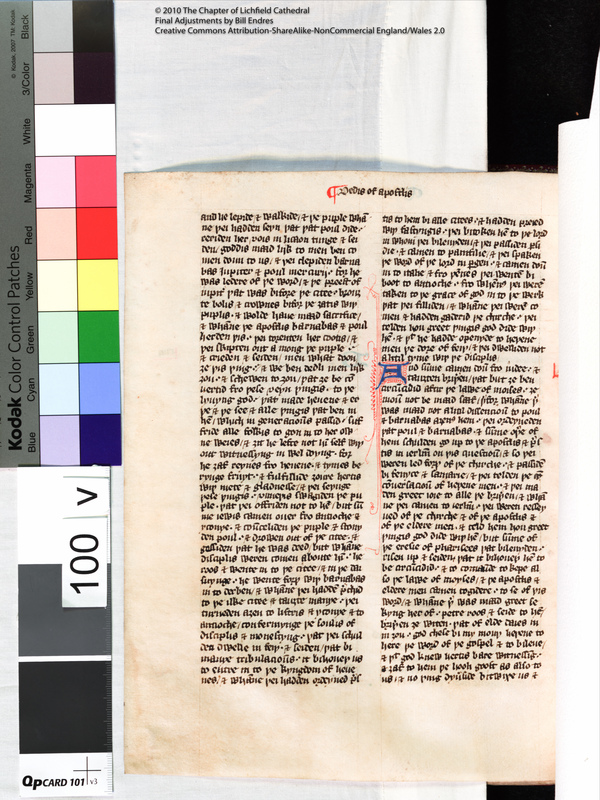 The Chapter of Lichfield Cathedgral granted Creative Commons rights for the multispectral imaging of their Wycliffe New Testament (2010). 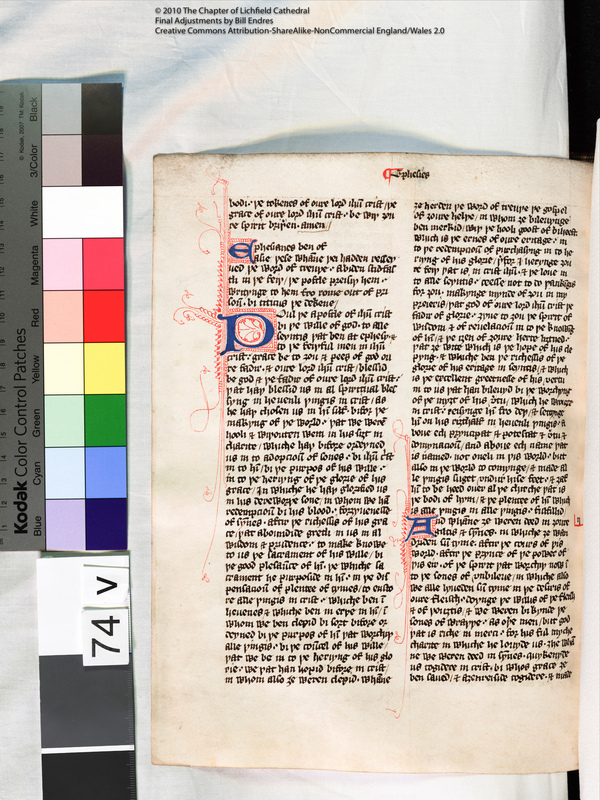 This work is licensed under a Creative Commons Attribution-NonCommercial-ShareAlike 2.0 England and Wales License. 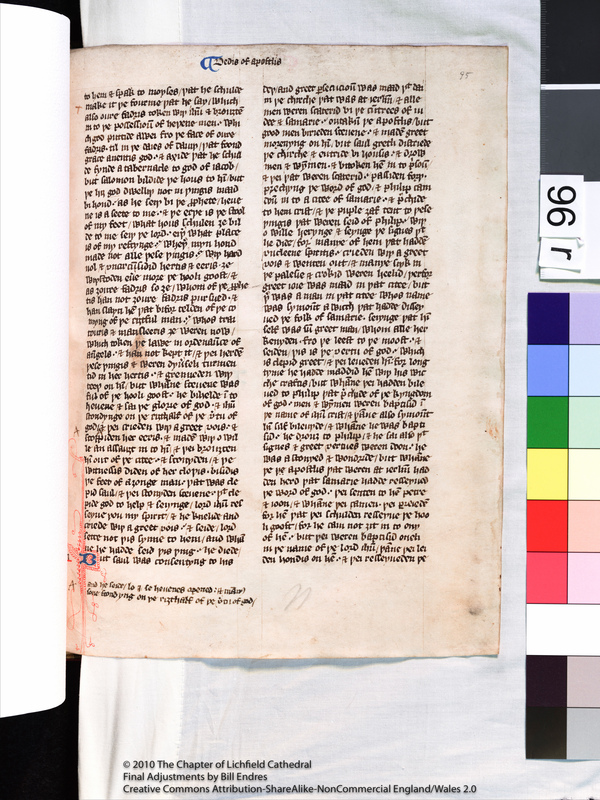 Lichfield Cathedral prefers this license because it recognizes the care taken of the St Chad Gospels by the community of St Teilo's Church in Llandeilo Fawr, Wales, when Gelhi traded his best horse to save this great gospel-book. 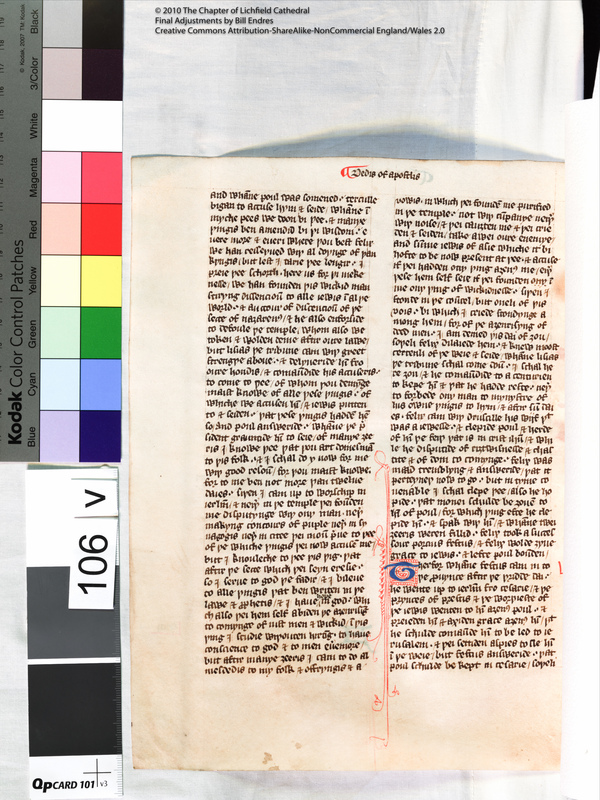 As mentioned on the front page, granting a CC license represents a generosity that exceeds most publicly funded libraries and museums. 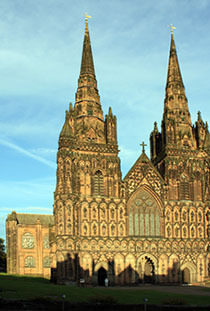 However, the Cathedral does not receive State funding. 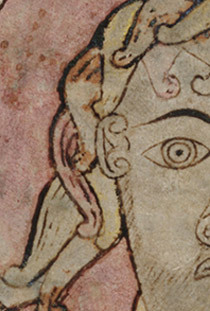 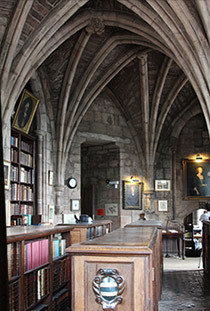 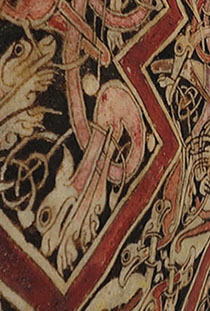 While the Cathedral provides these images free of charge, it faces many challenges in preserving these precious manuscripts. 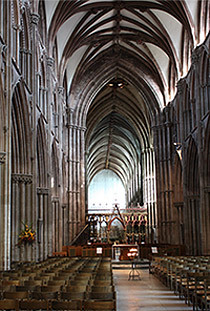 Located in the English Midlands, although beautiful, the Cathdral does not benefit from the tourist traffic that a major city provides. 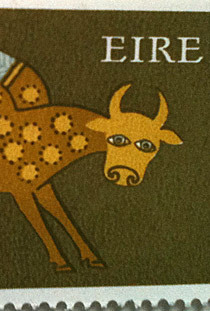 Therefore, I invite you to donate. To download, click the link for either Medium or Full, and the image with open in a viewer. Either control+click (Mac) or right click (Windows) to download the image. Or, if you know the image you want, simply control+click (Mac) or right click (Windows) a link to start downloading.